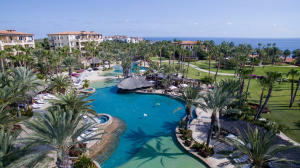 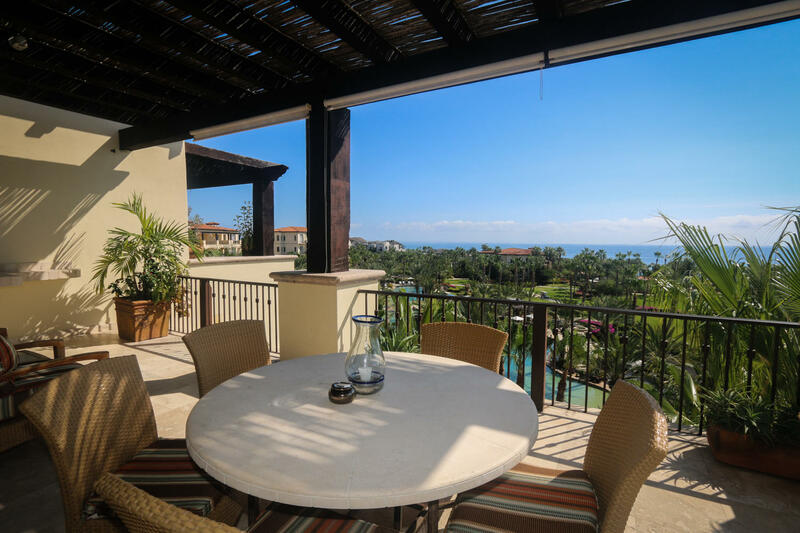 Description: Esperanza's Private Residences is proud to offer this spectacular penthouse residence. 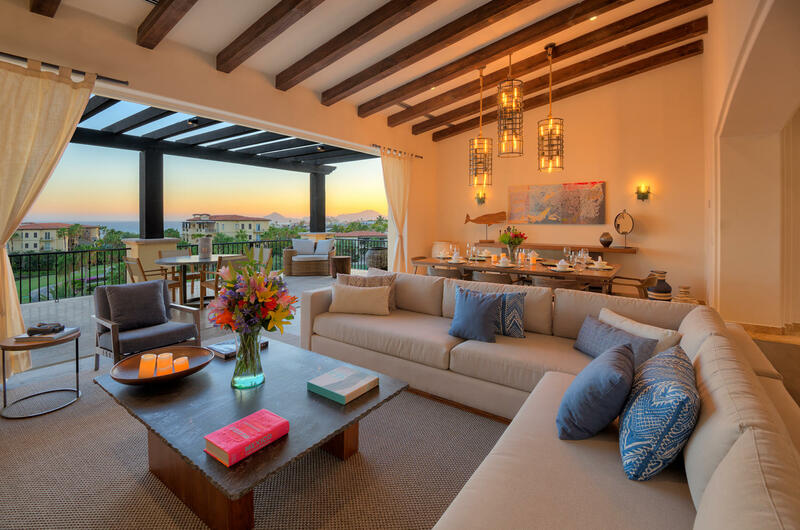 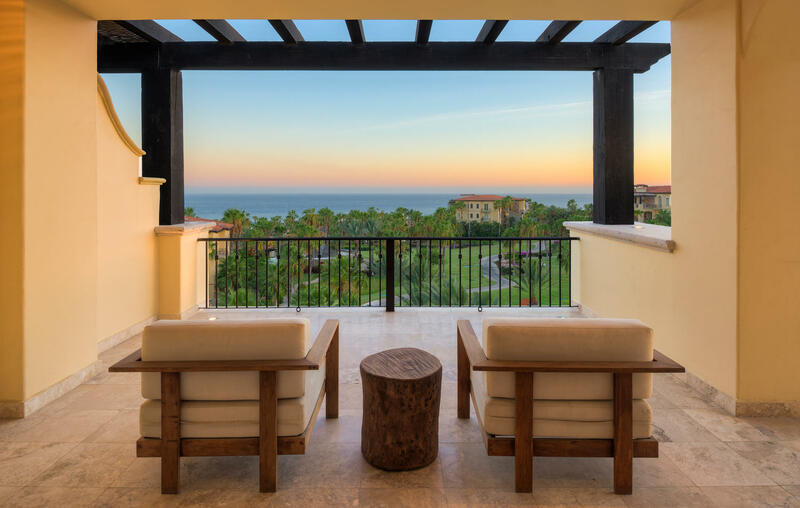 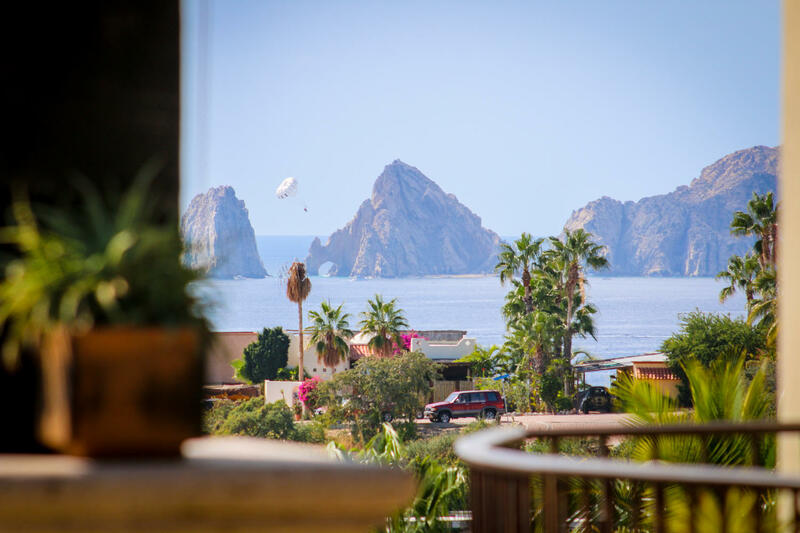 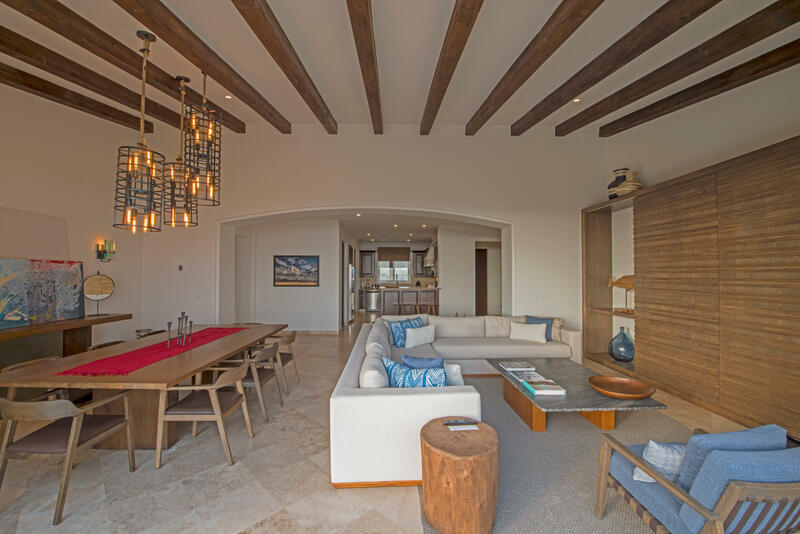 Come face to face with one of the world's most stunning views through large sliding pocket doors to the expansive azure Sea of Cortez. 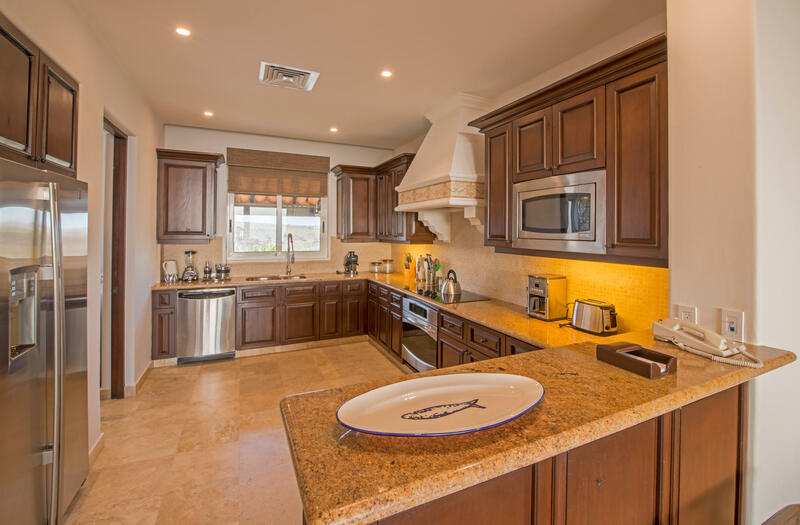 This beautiful 3 bedroom residence offers a spacious floor plan that lives like a home, and features lofty 14' beamed ceilings and comes fully equipped with GE Profile appliances. 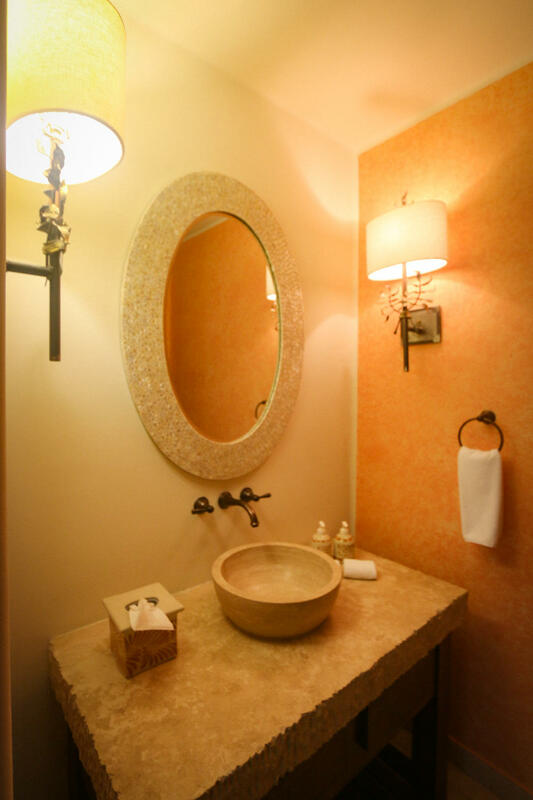 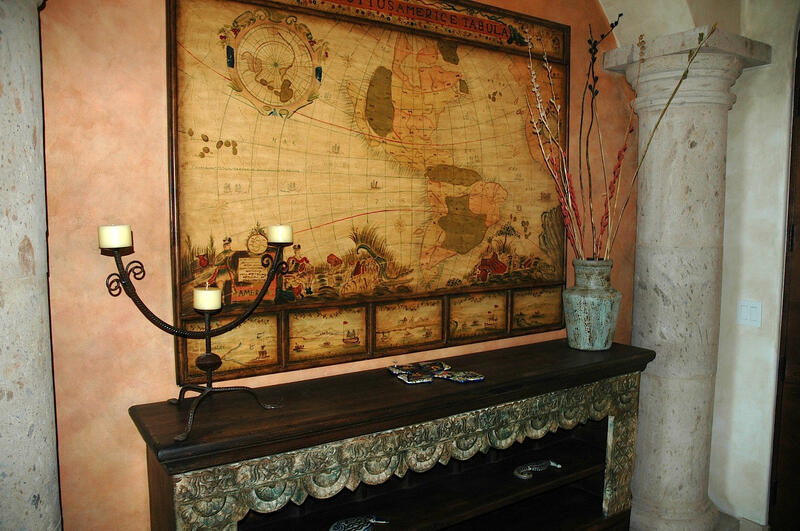 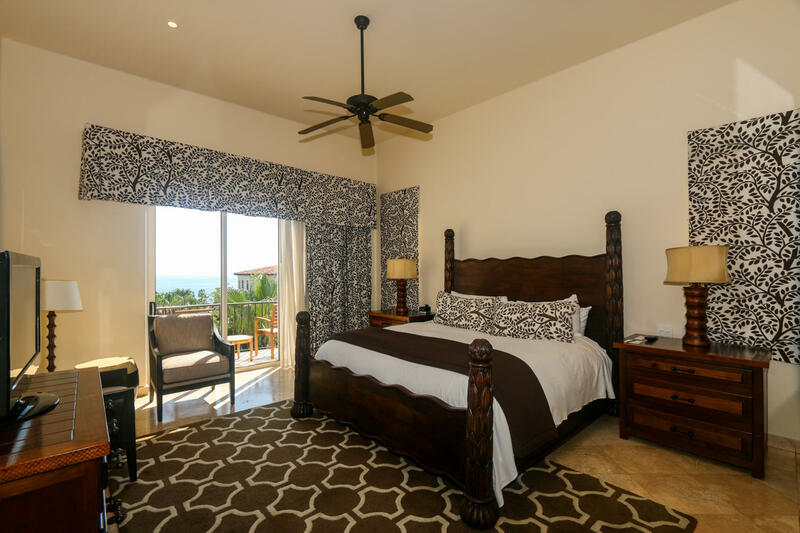 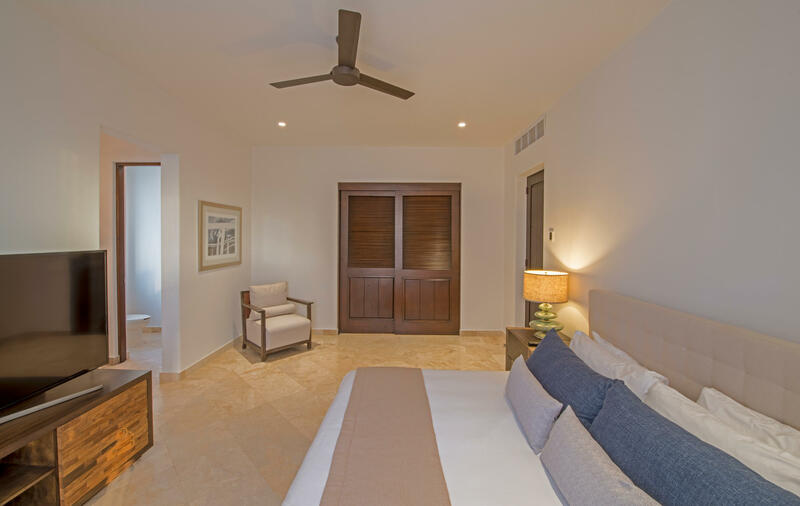 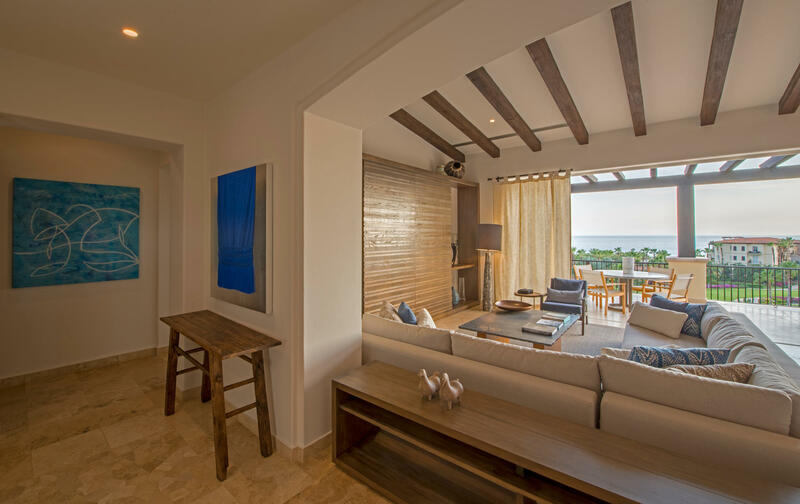 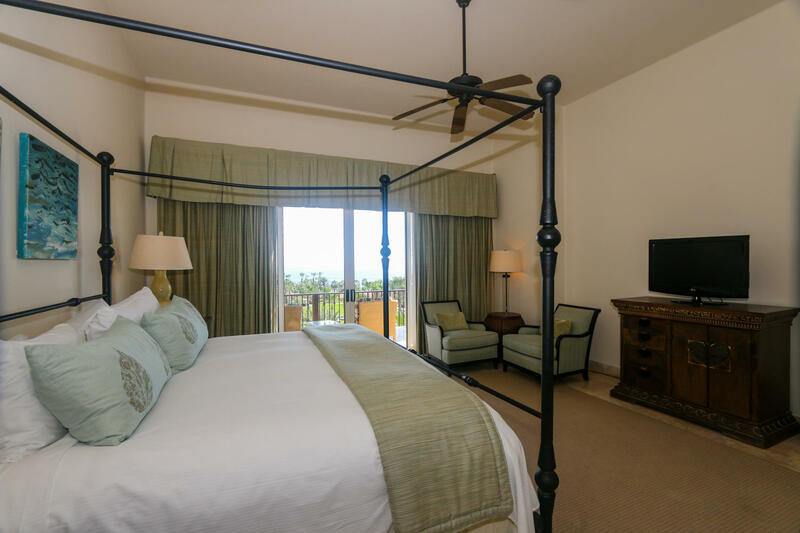 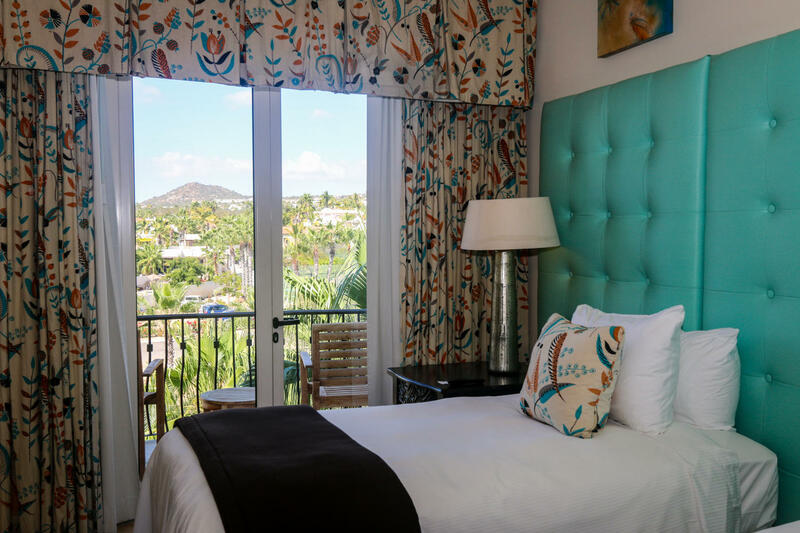 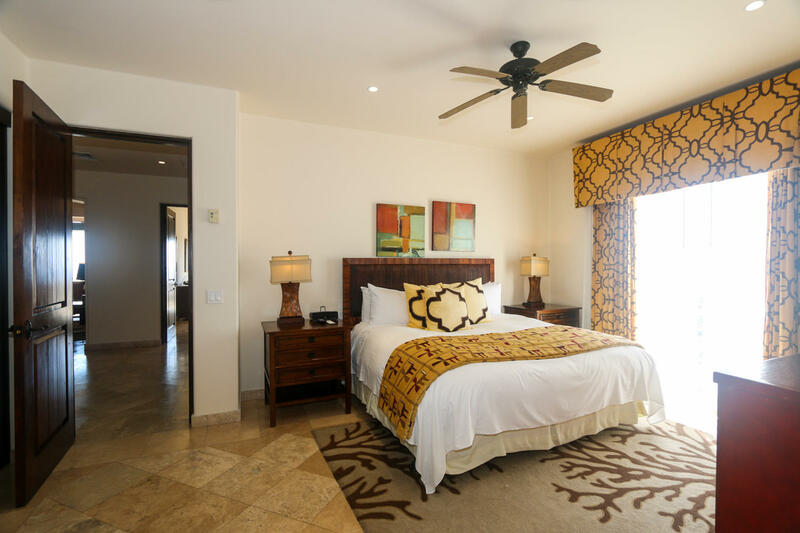 Enjoy high quality interior finishes and furnishings that are carefully selected to amplify the Esperanza experience and satisfy Auberge's high standards for comfort and quality. 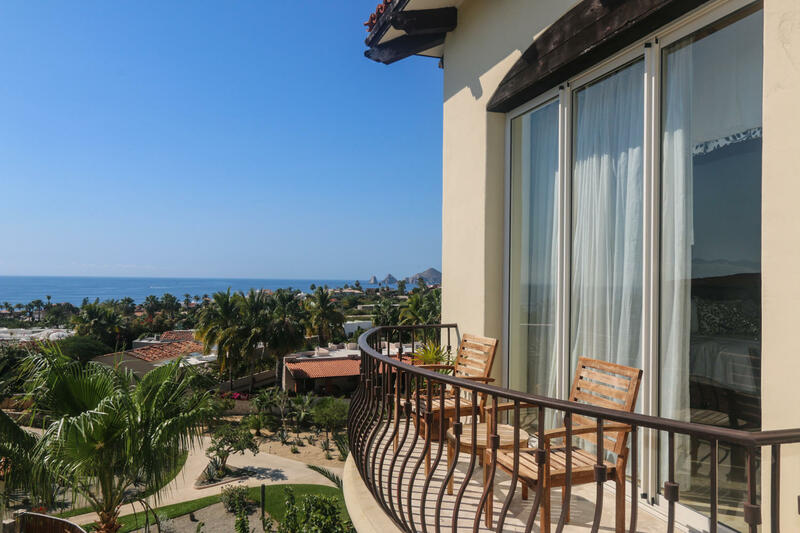 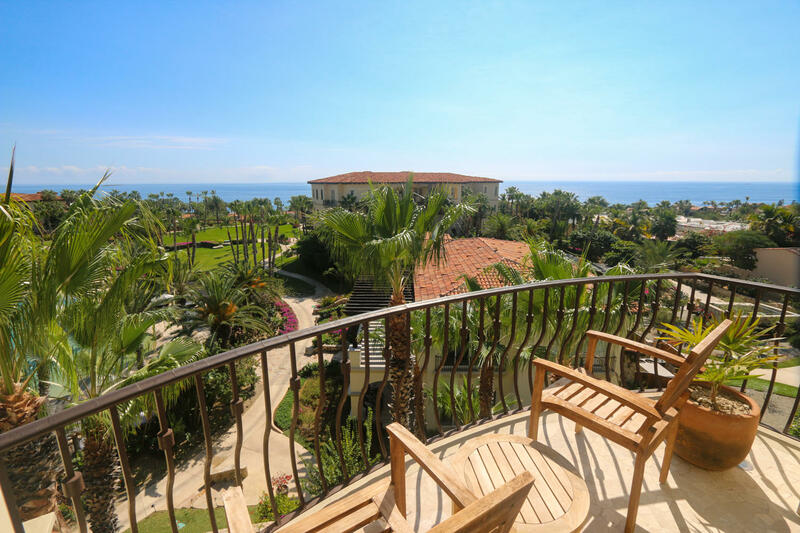 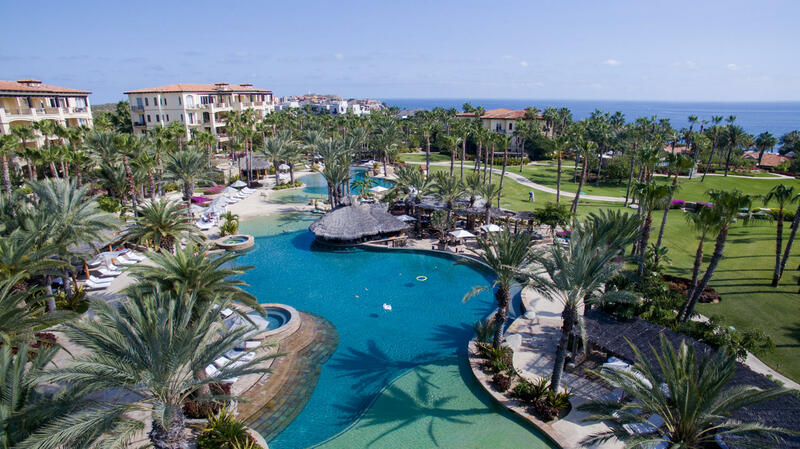 Rest assured knowing that completely everything is taken care of by Auberge's team of experts, this condo is 100% turn key and includes all of the amenities, services and privileges that Esperanza is renowned for. 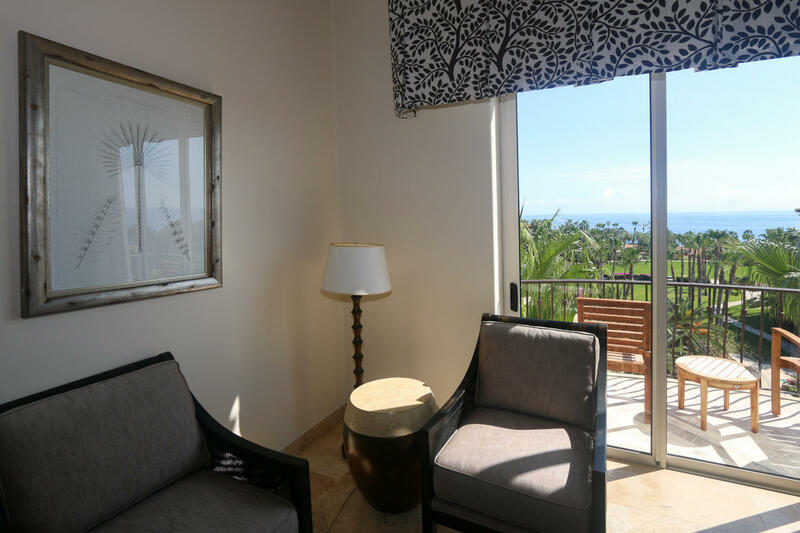 Description: Esperanza ownership is completely hassle free, lock and go ownership, where you simply walk into a fully equipped ocean view villa, then walk out and never worry about the hassles of home ownership. 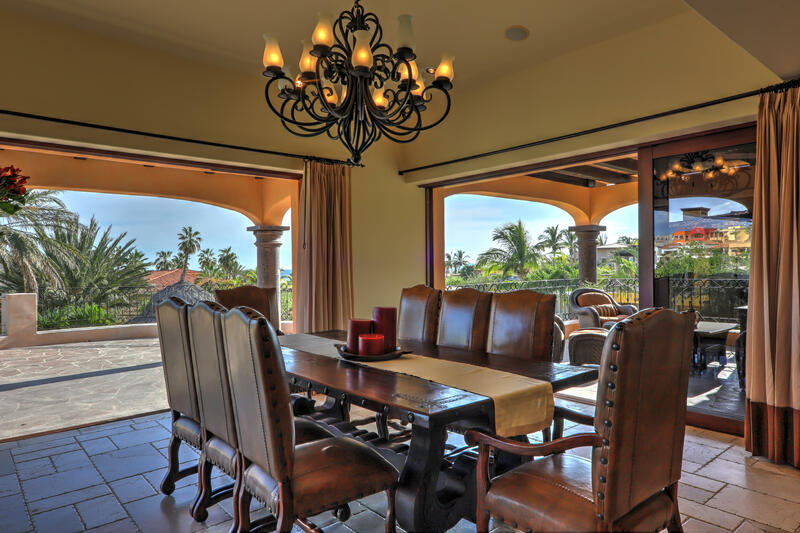 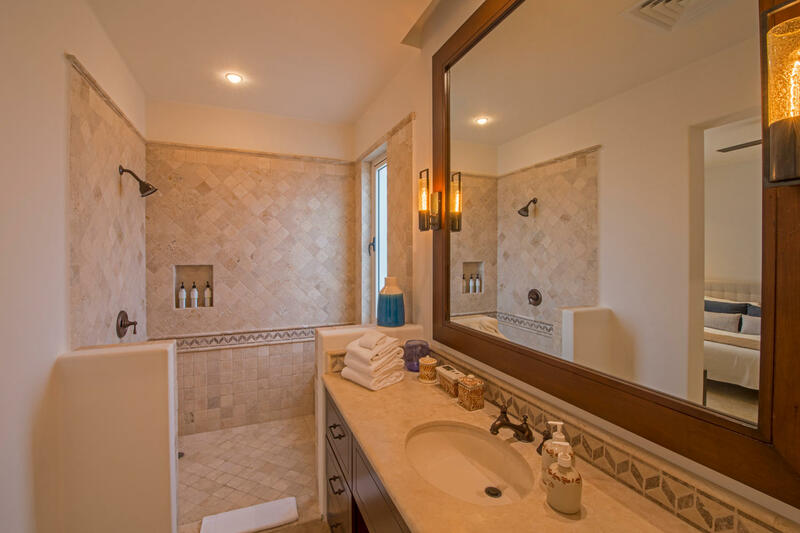 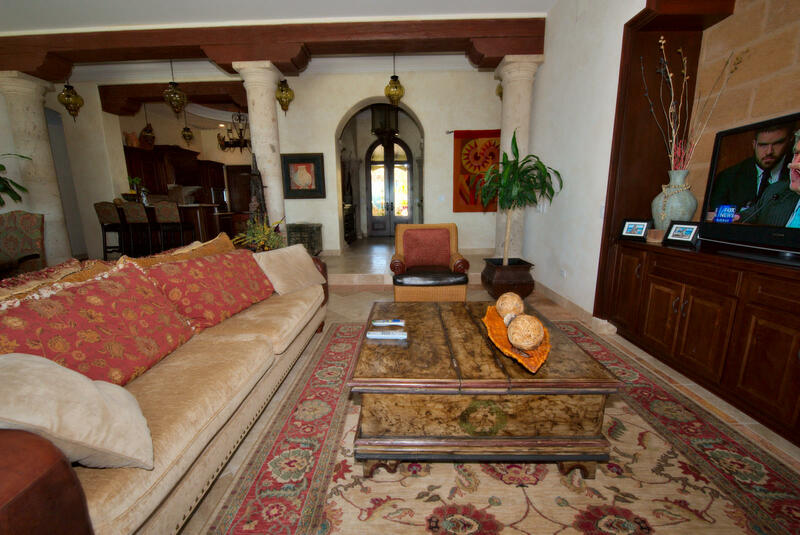 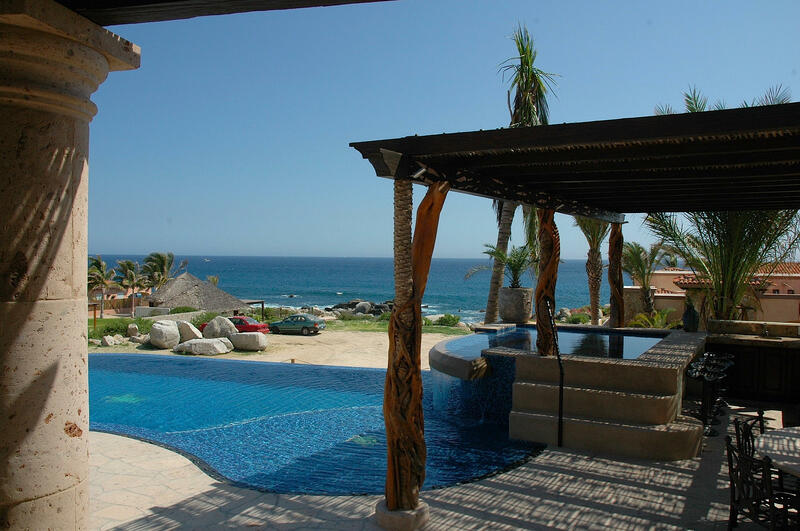 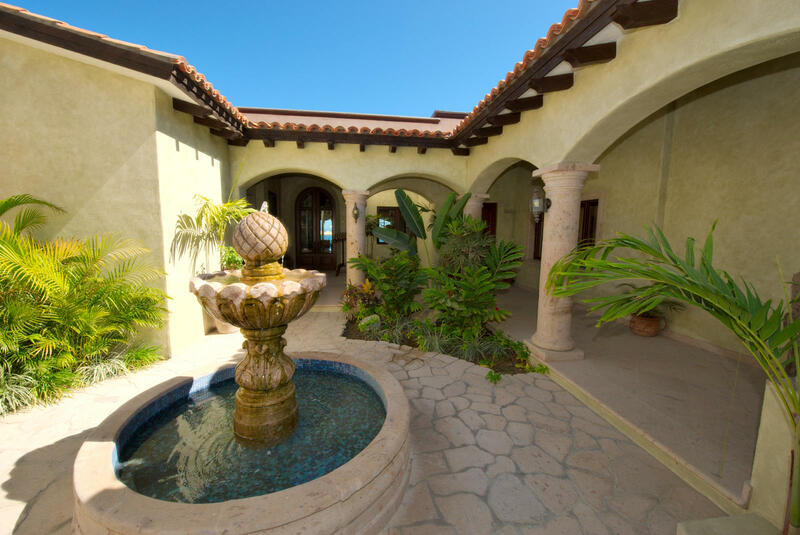 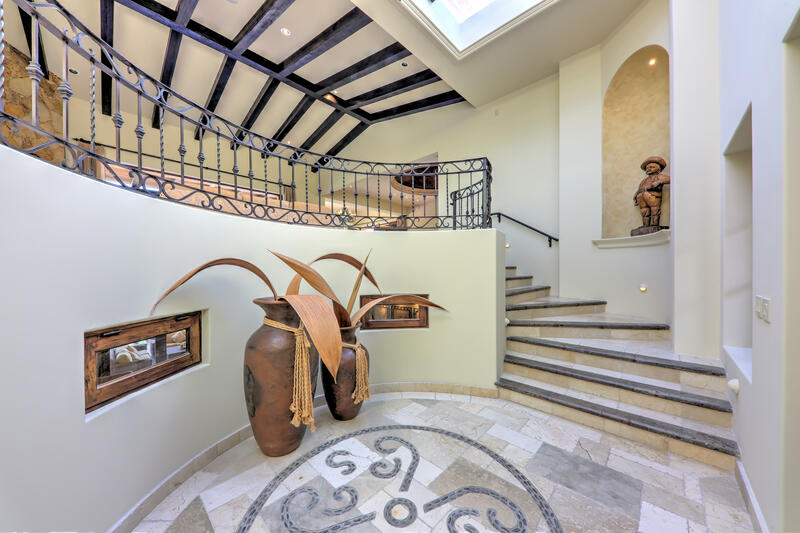 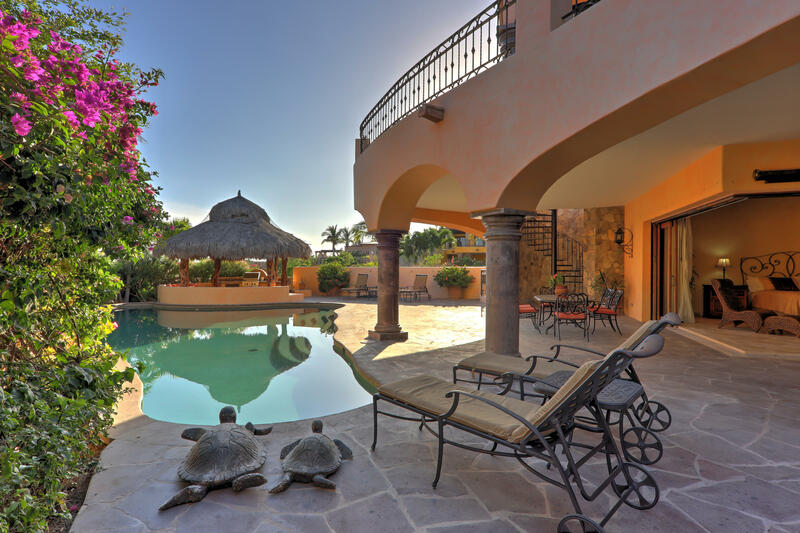 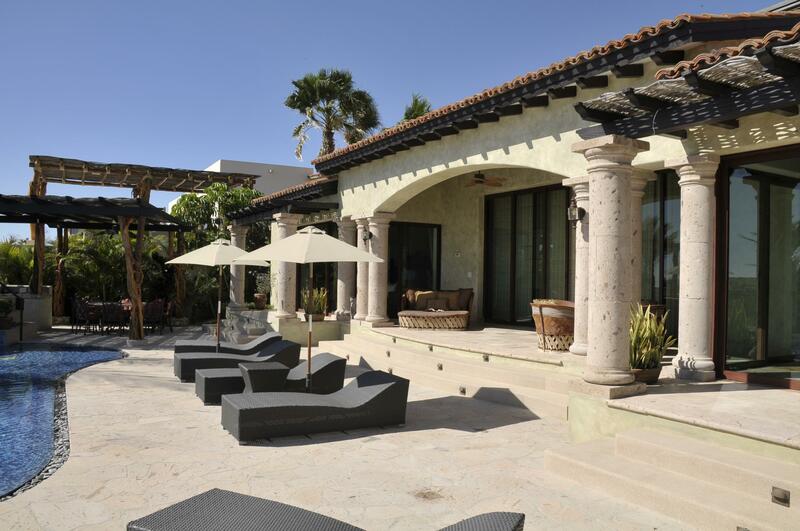 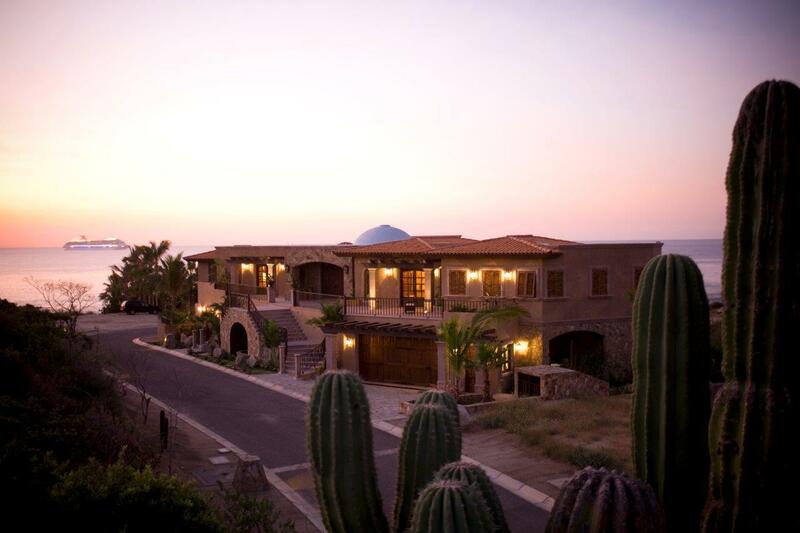 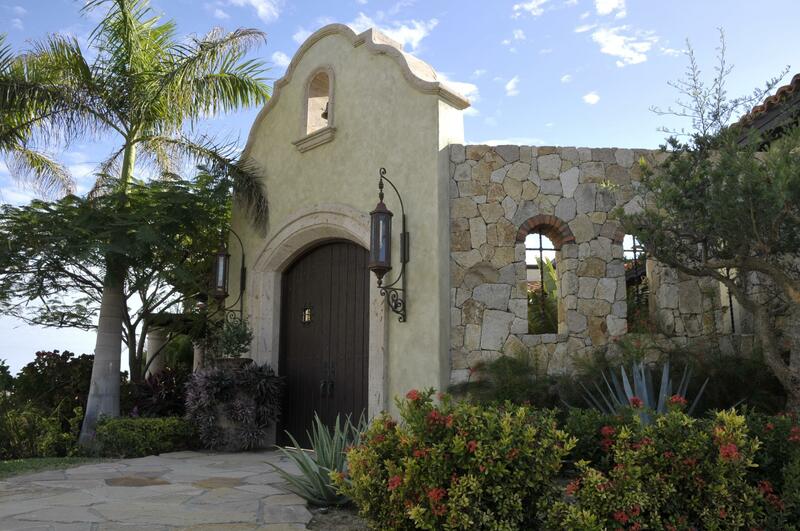 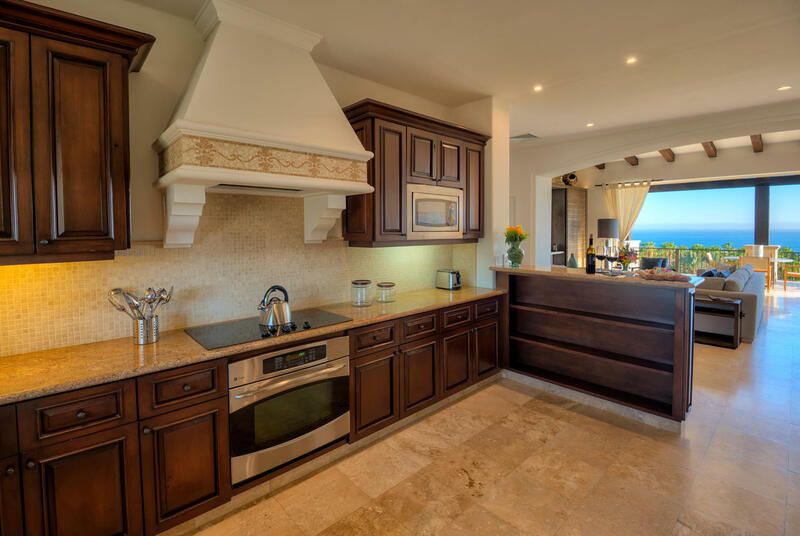 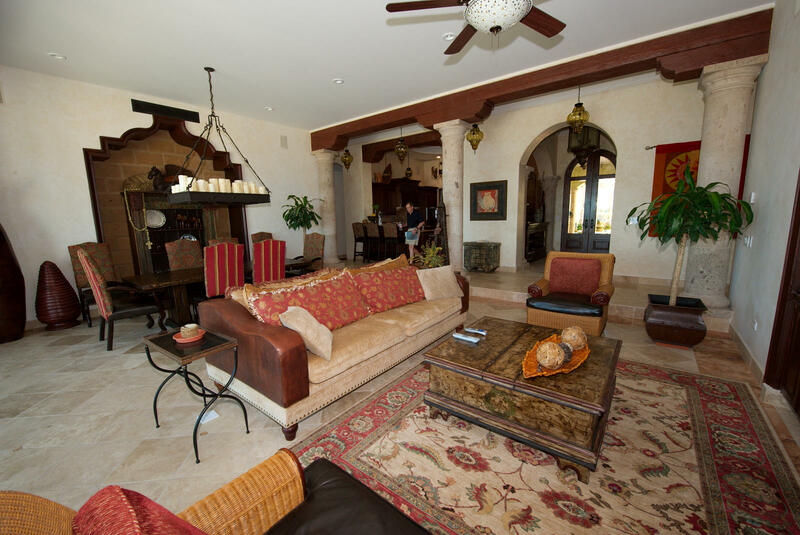 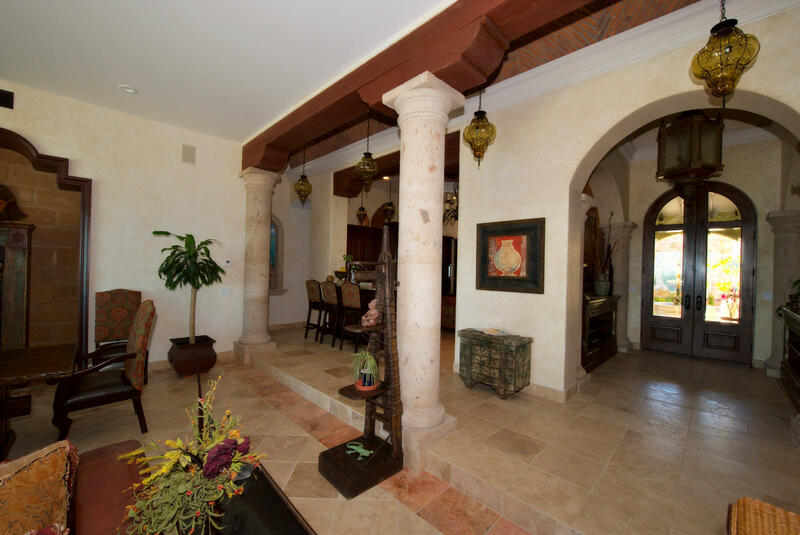 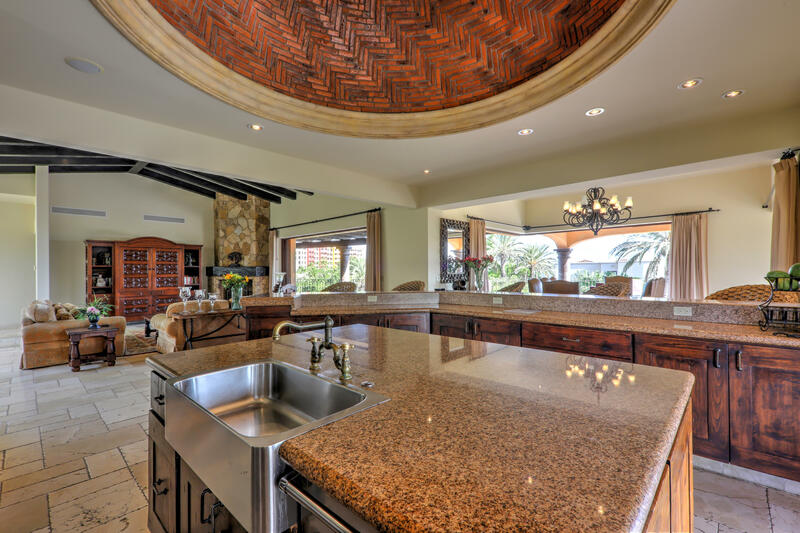 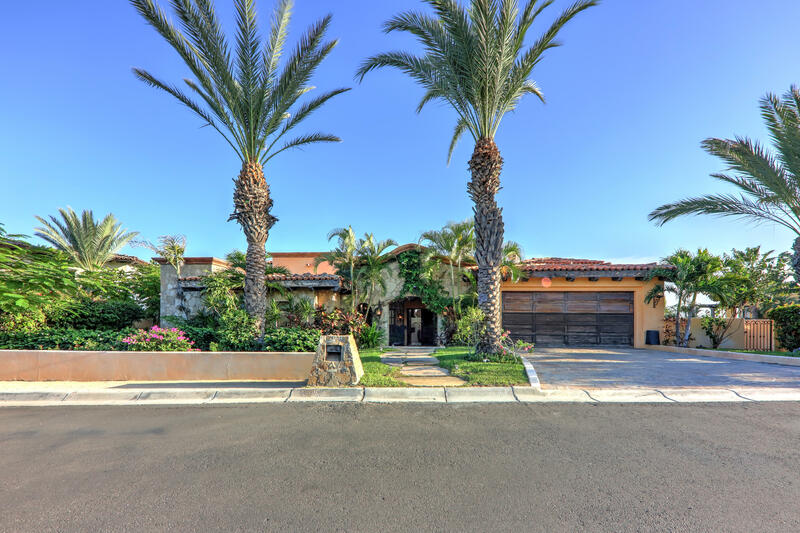 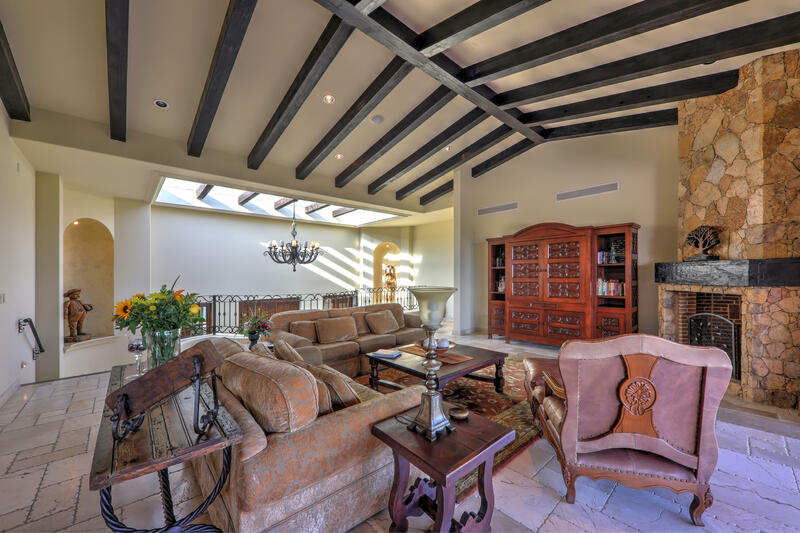 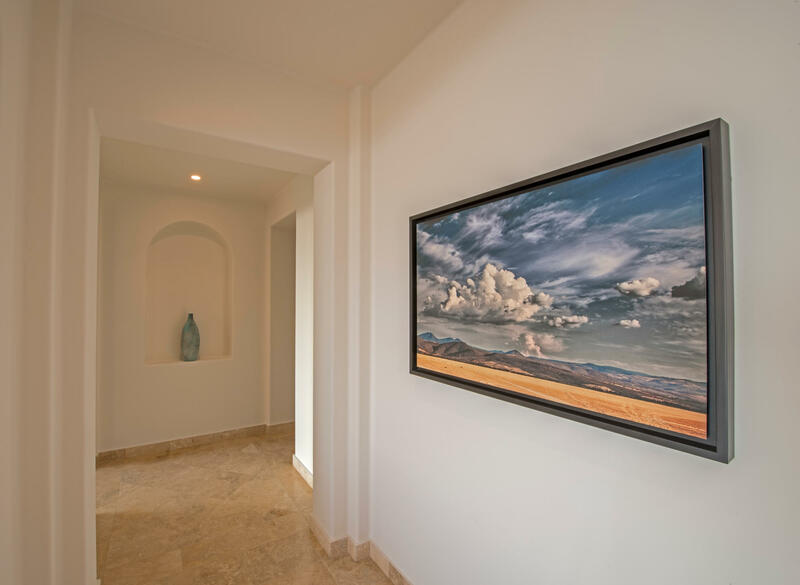 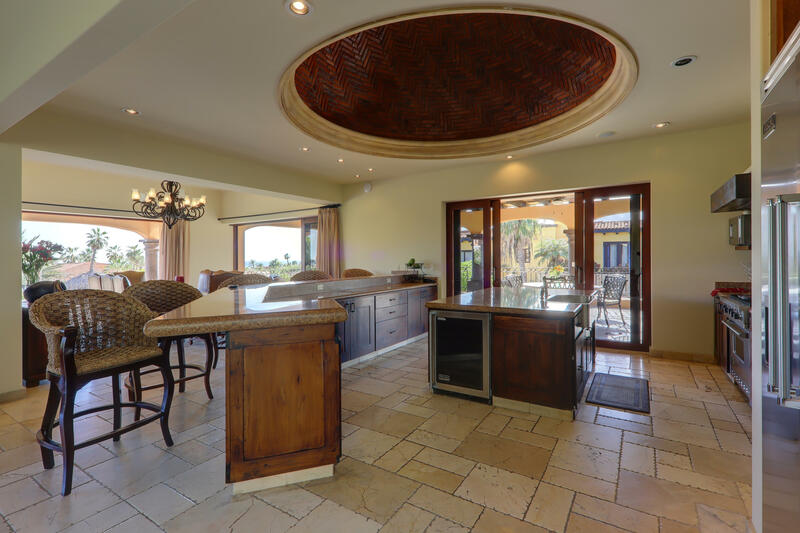 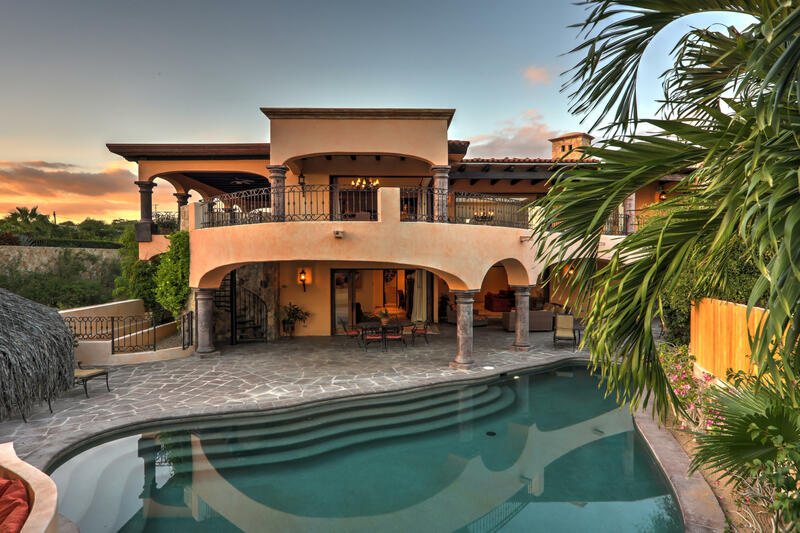 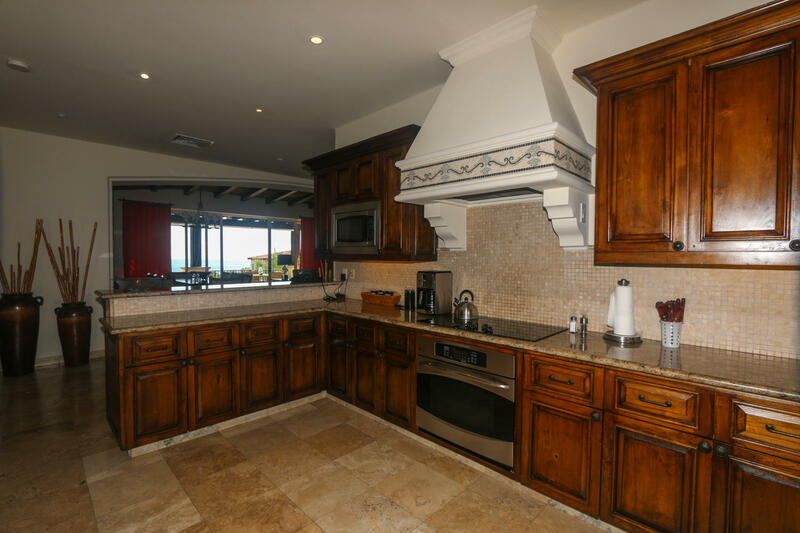 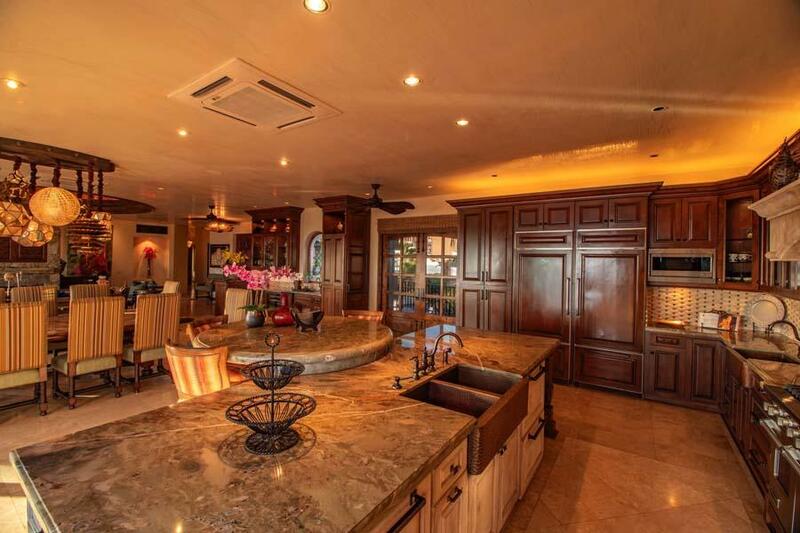 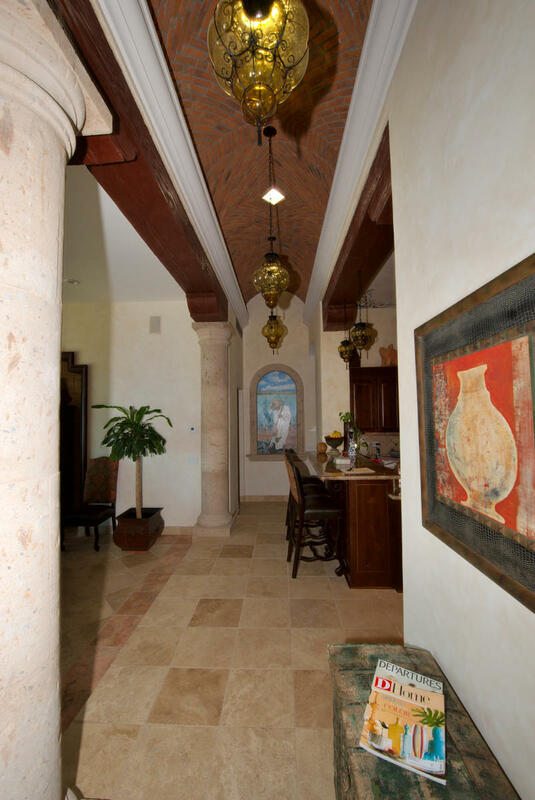 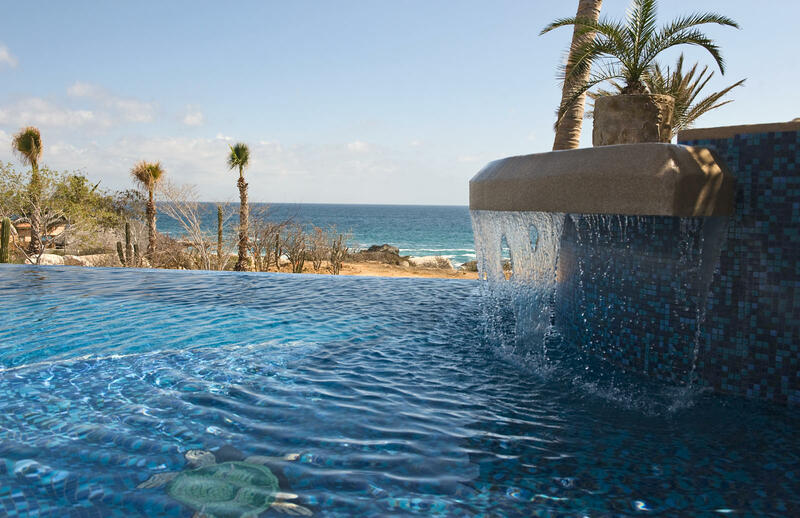 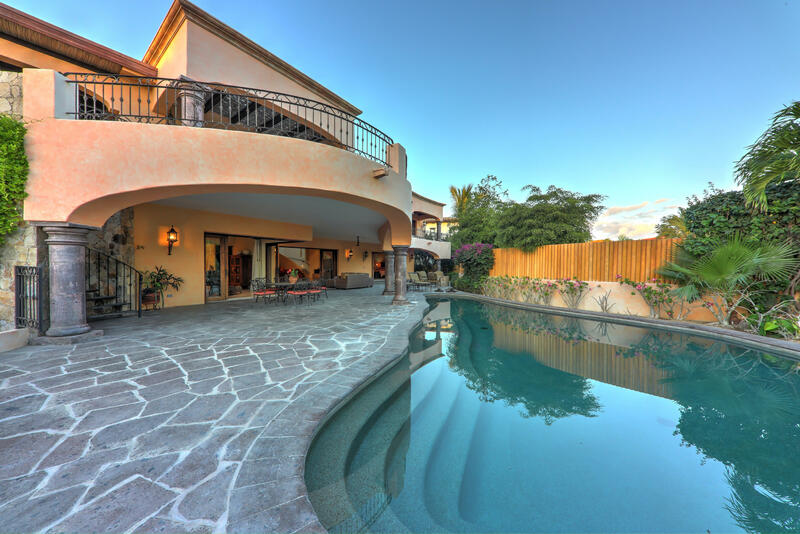 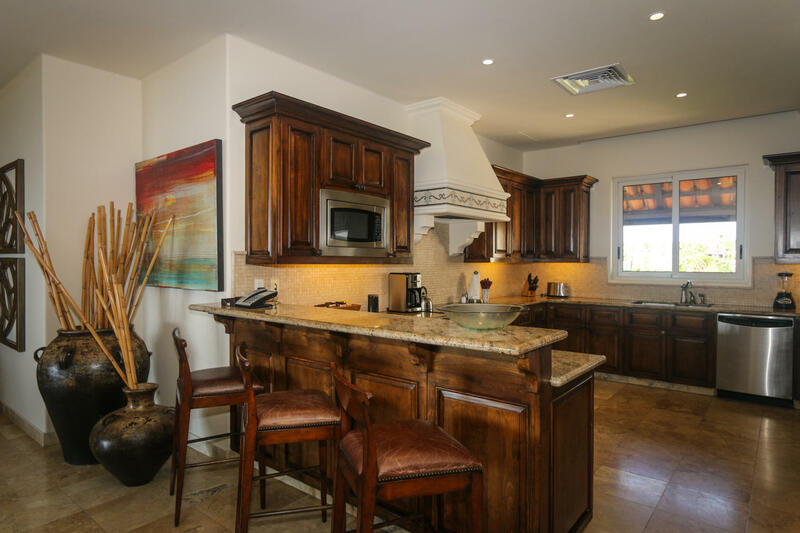 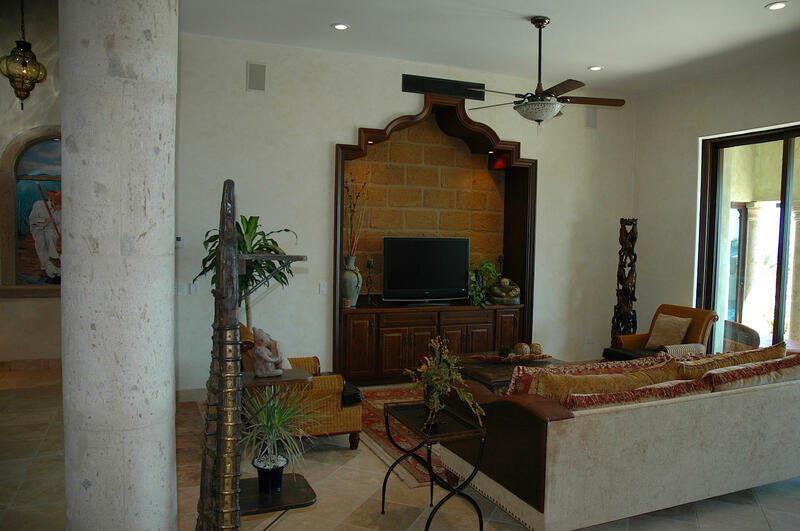 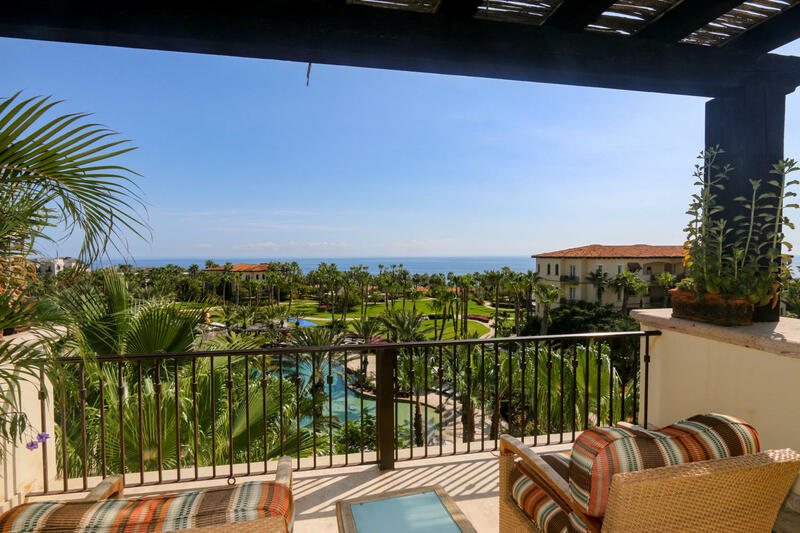 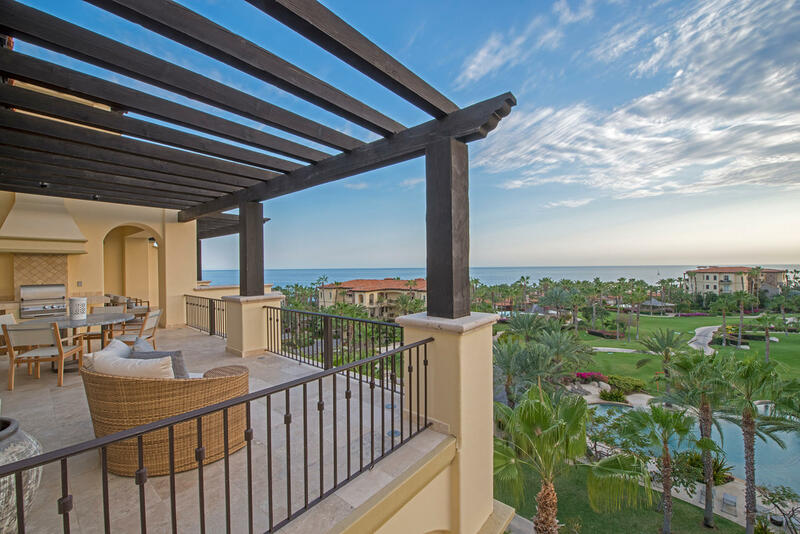 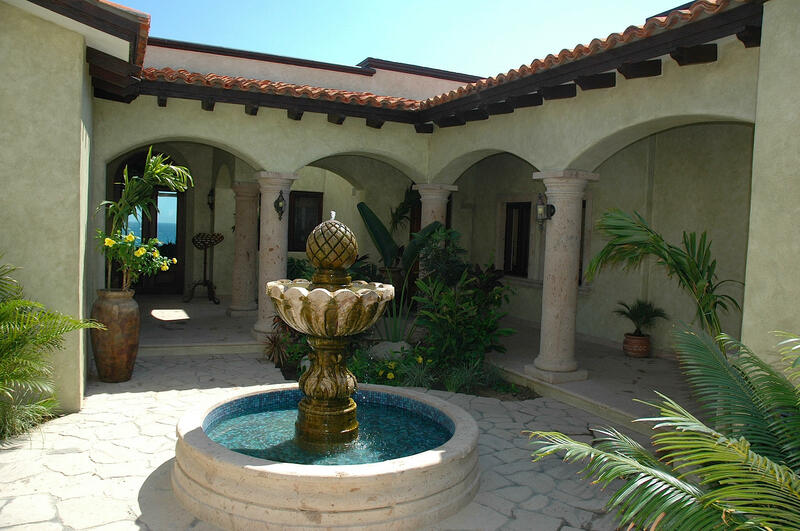 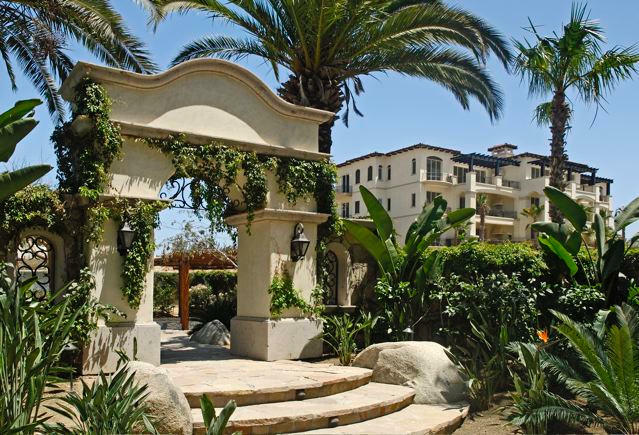 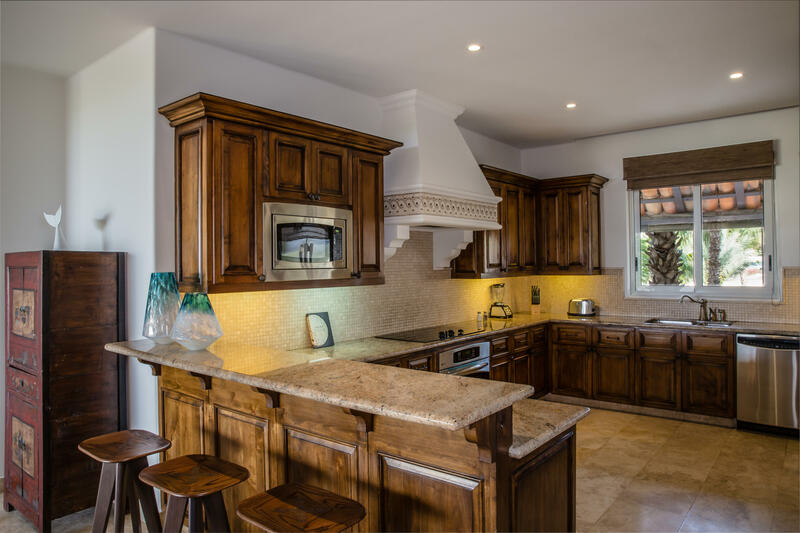 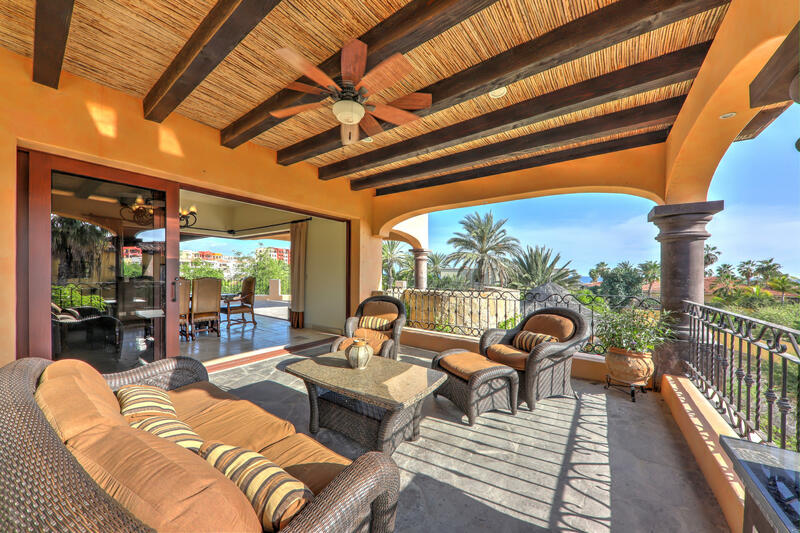 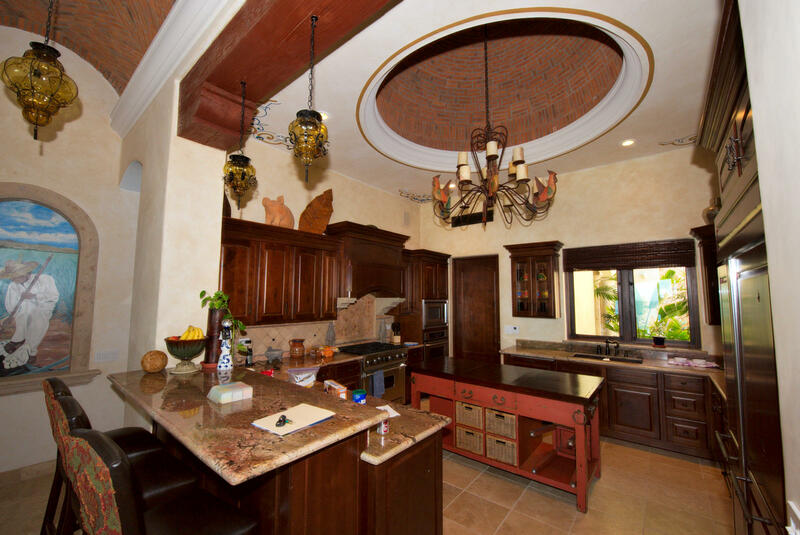 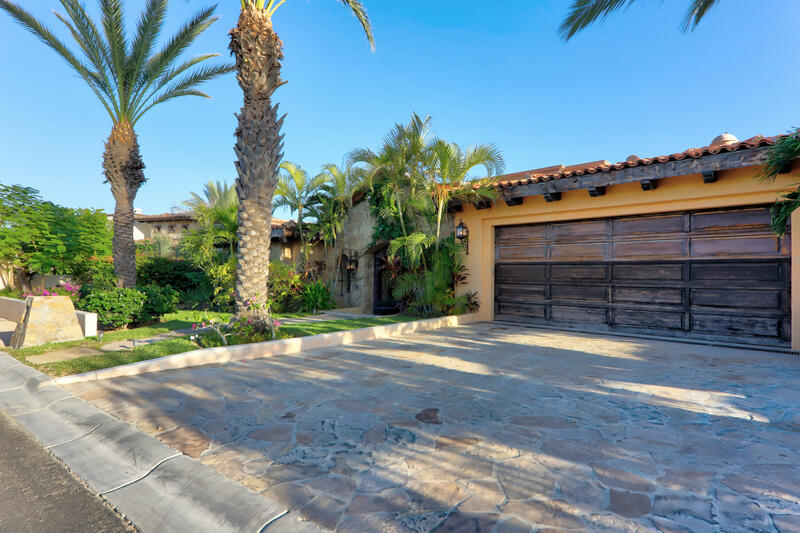 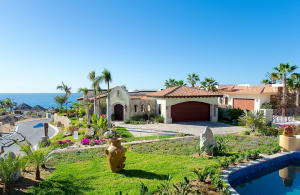 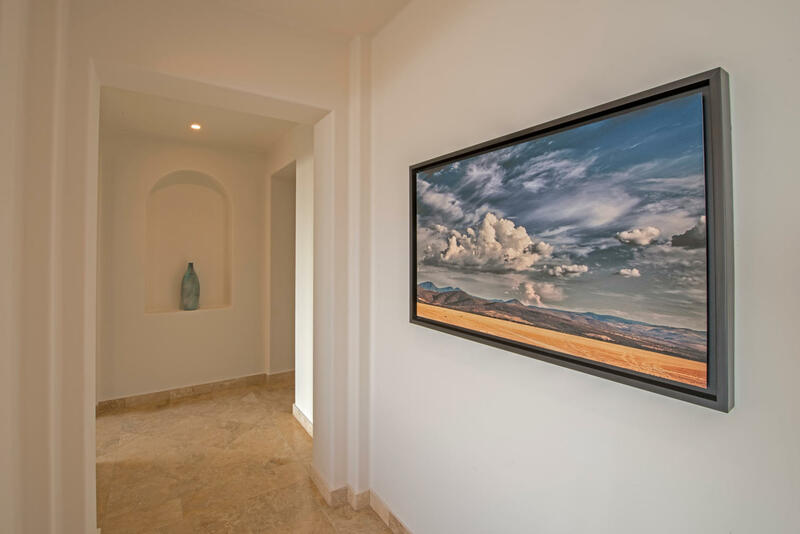 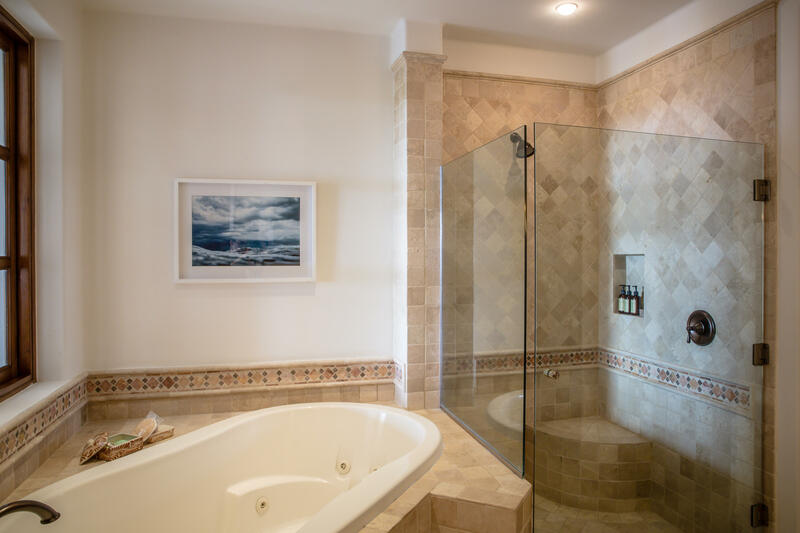 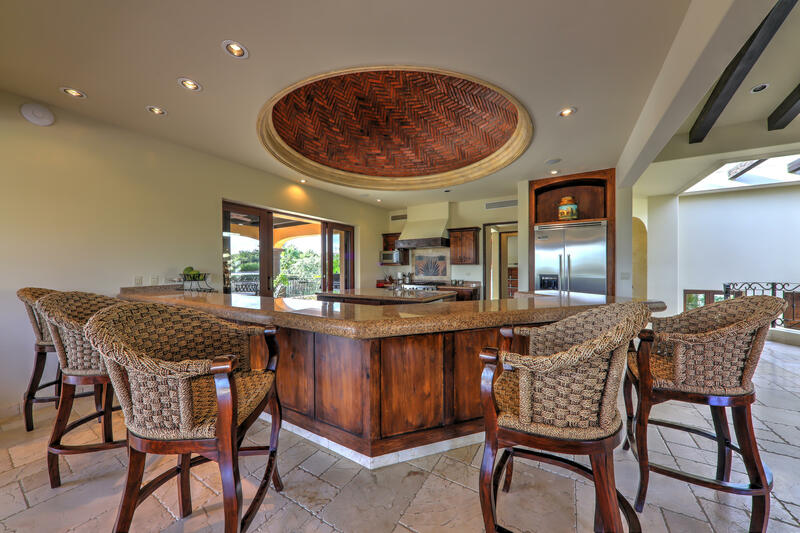 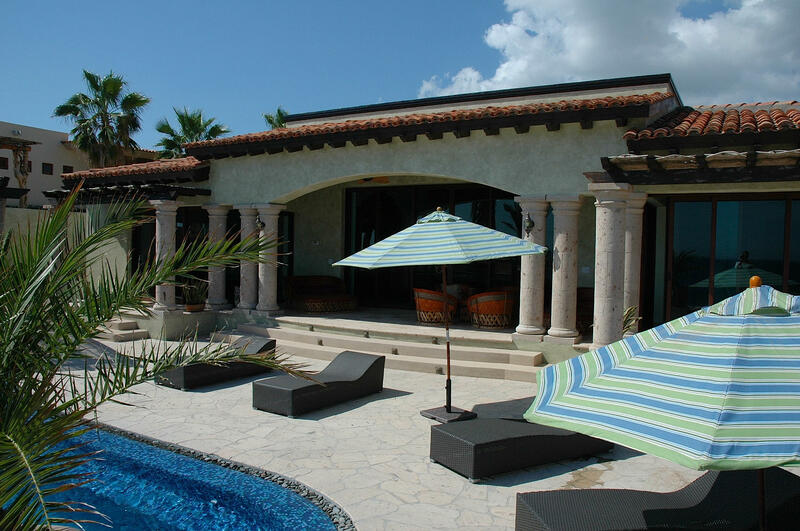 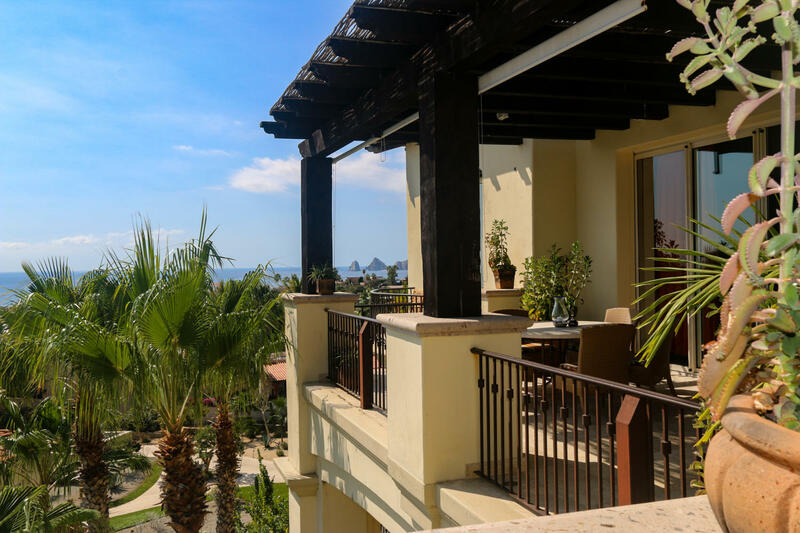 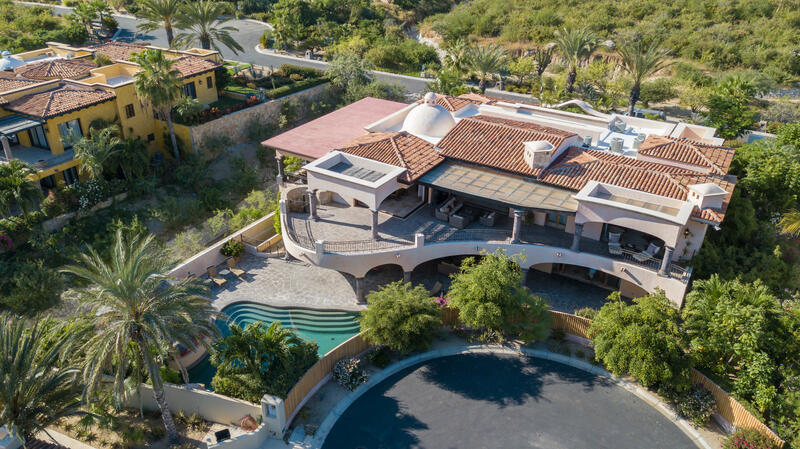 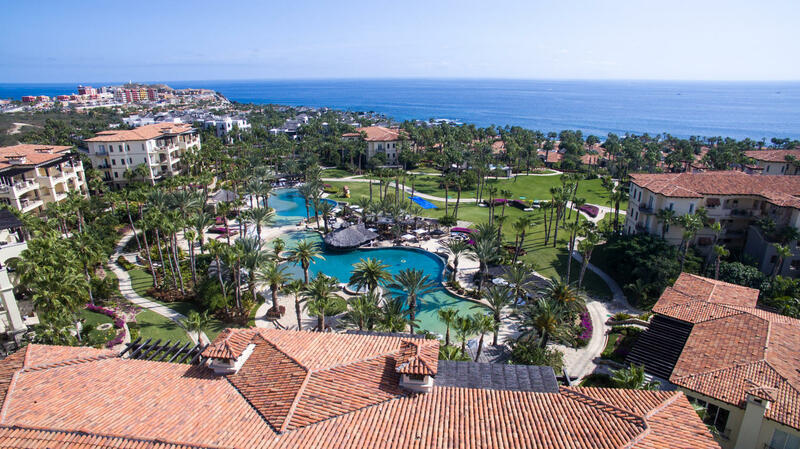 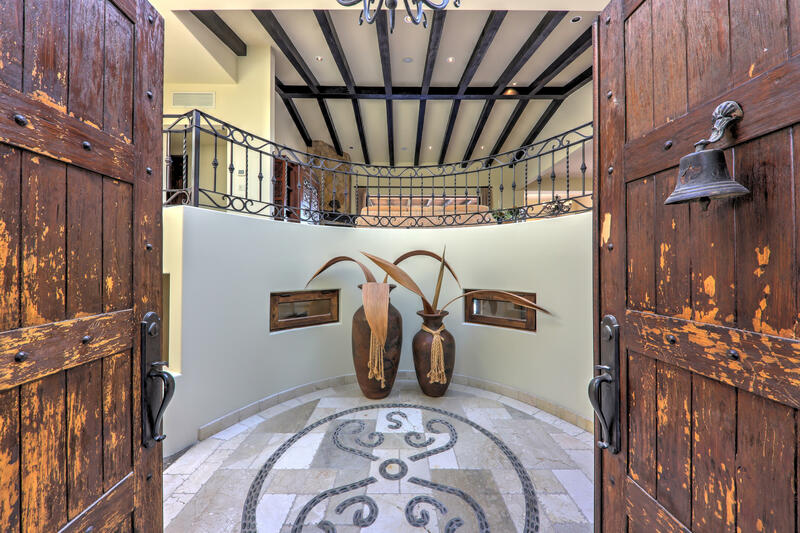 Esperanza provides an easy way to enjoy your vacation home, complete with the world-class Auberge services and amenities.This fully equiped 4 bedroom 4 bathroom 3965 sq ft villa is one of a kind! 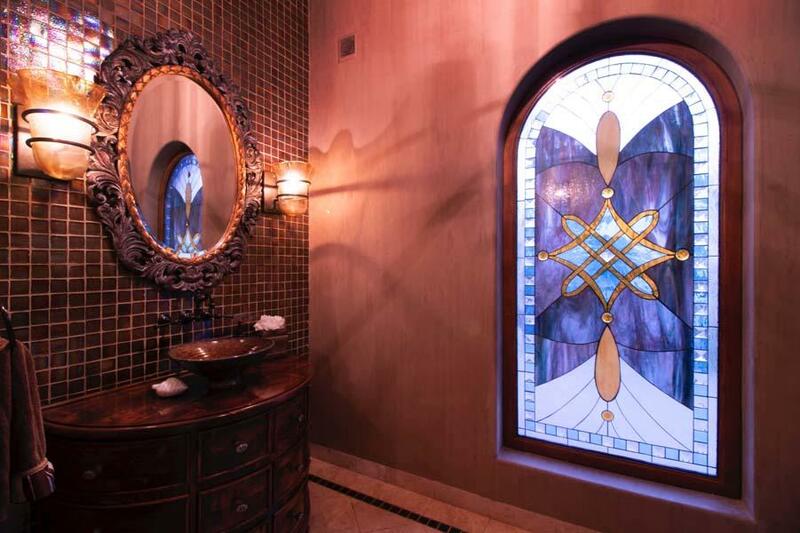 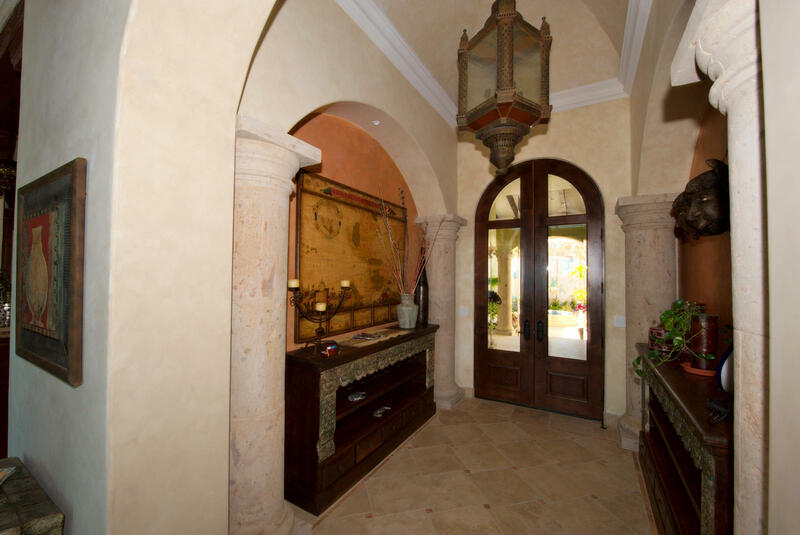 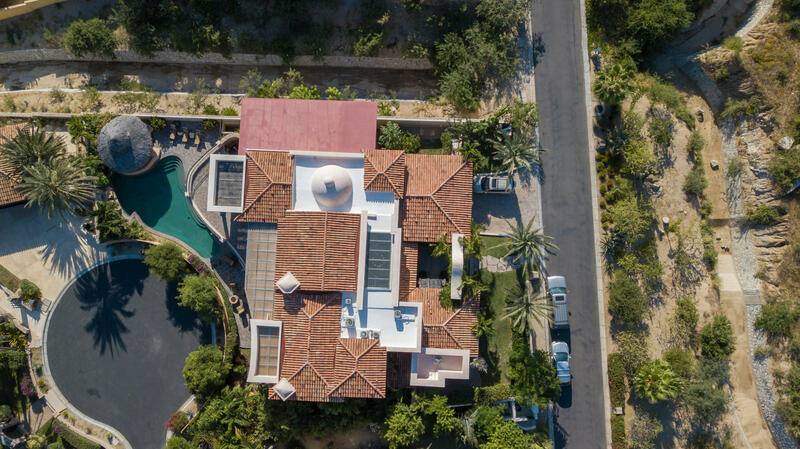 Description: Located in the exclusive, gated Punta Ballena community, this 4 BR, 4.5 BA custom home is elegantly-designed with domed ceilings and marble floors laid by local craftsmen. 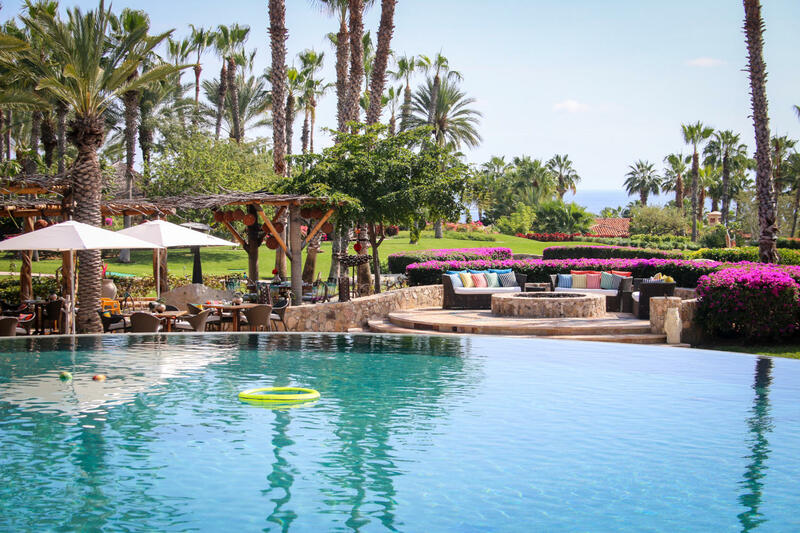 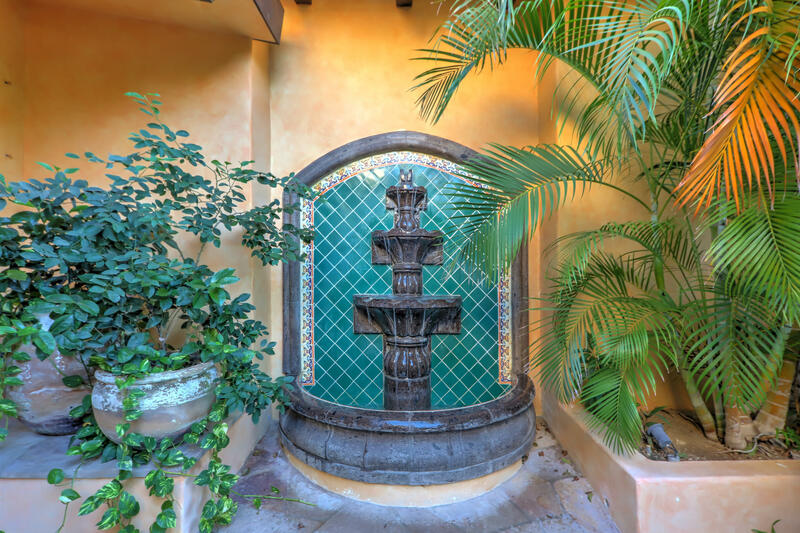 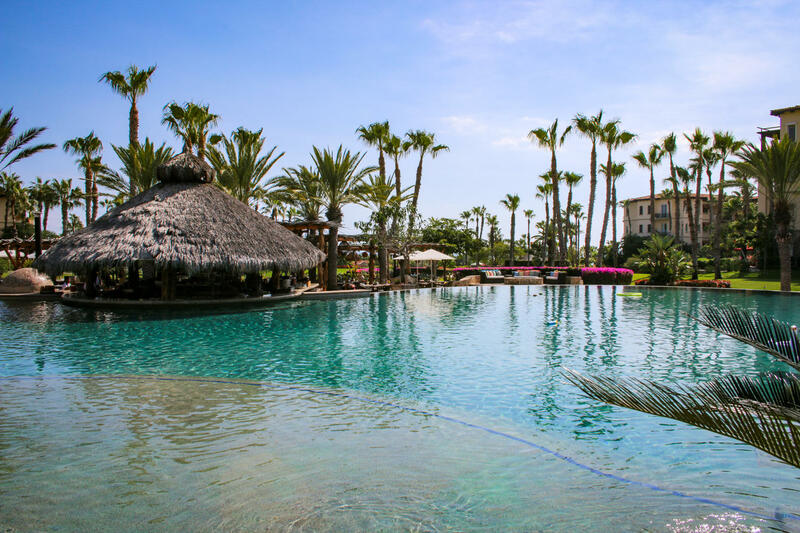 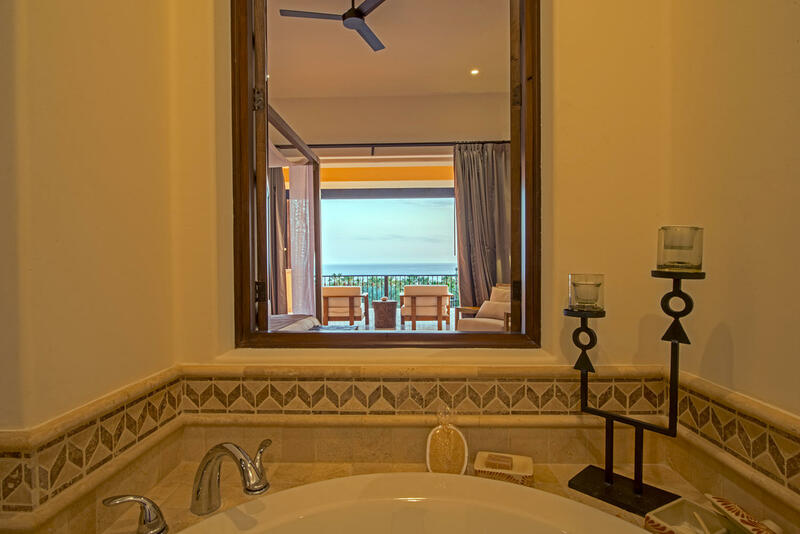 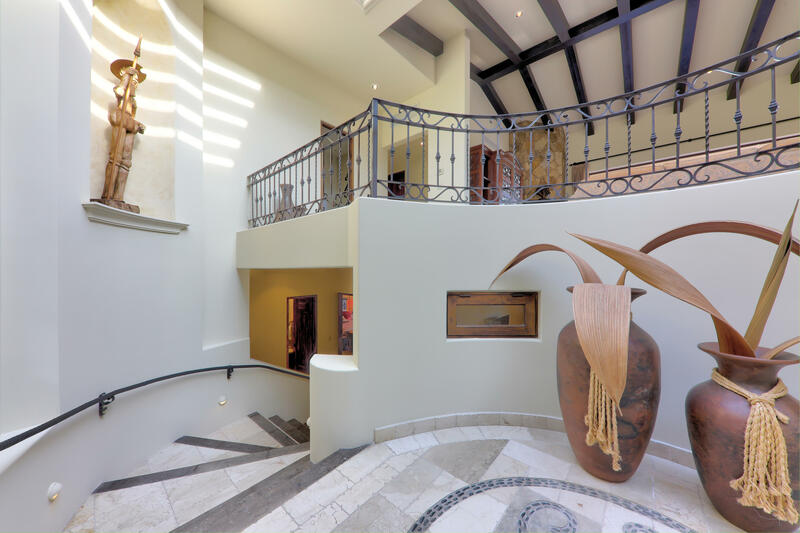 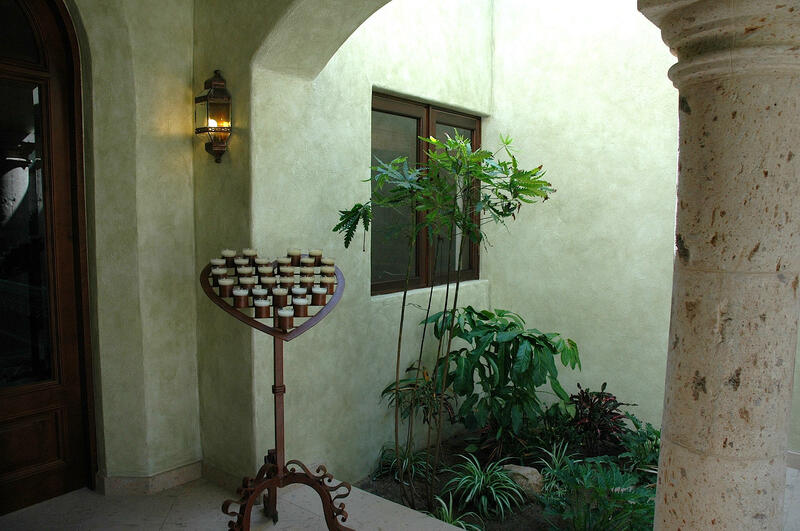 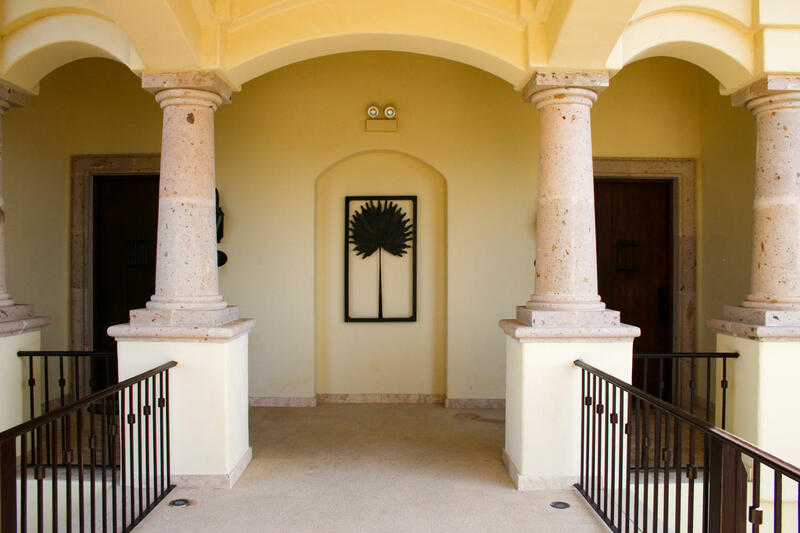 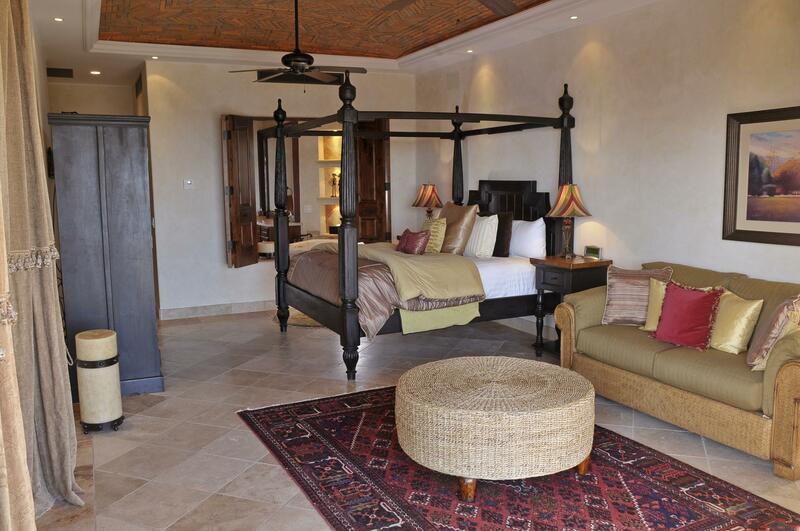 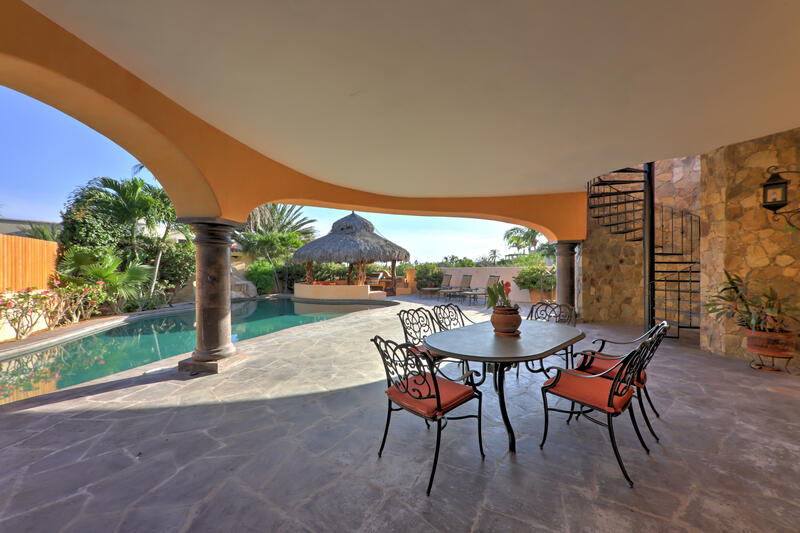 A sense of arrival envelopes you as you walk through the inviting hacienda style courtyard to the expansive great room with views to the pool, Jacuzzi and Sea of Cortez. 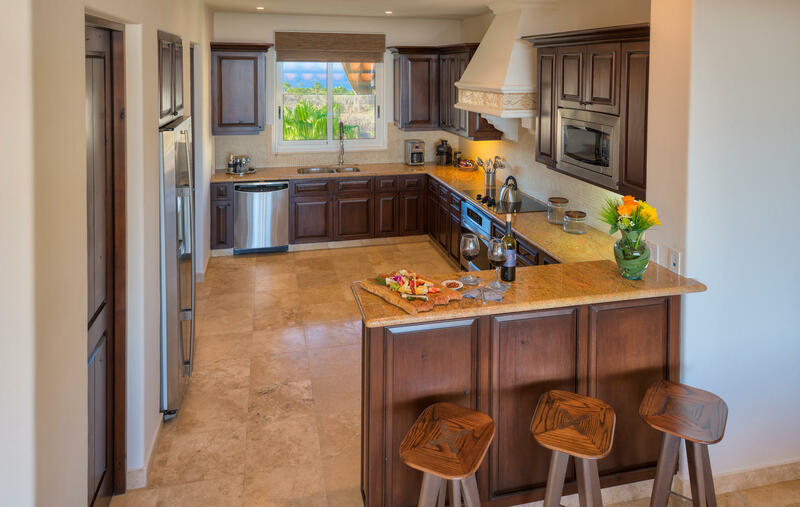 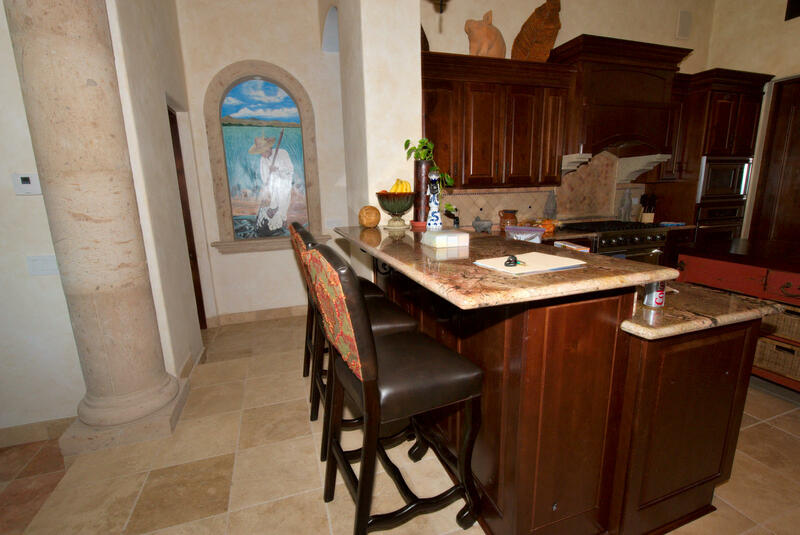 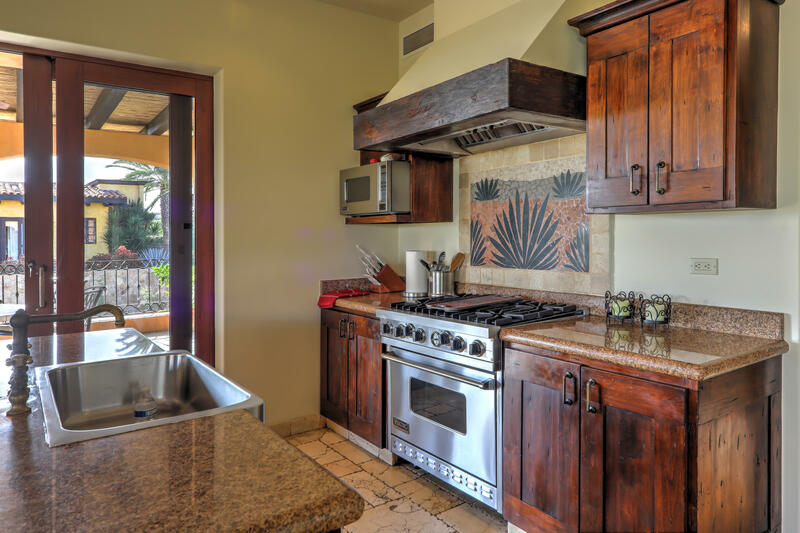 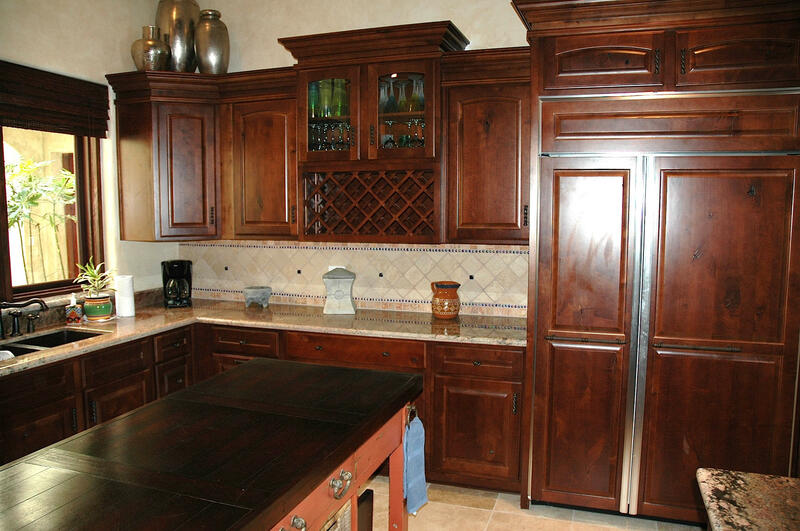 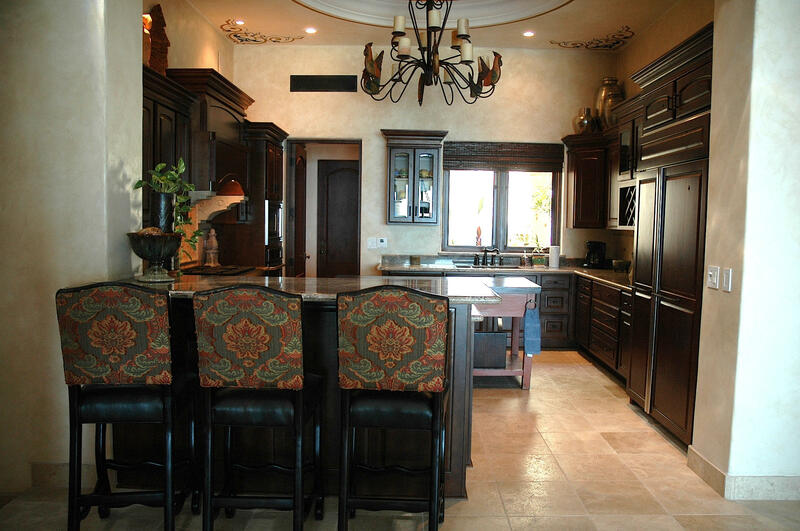 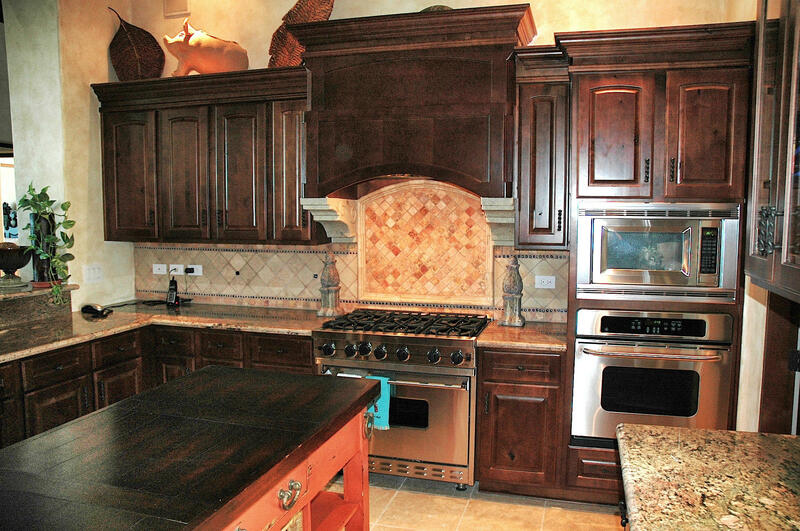 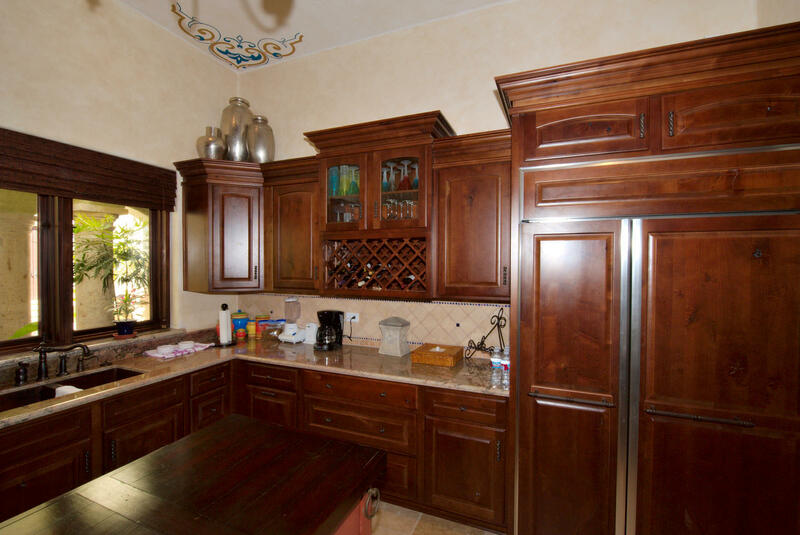 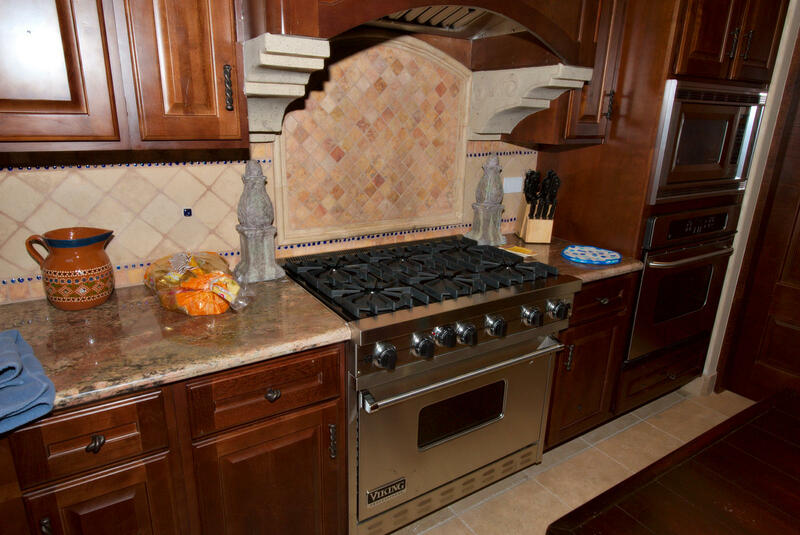 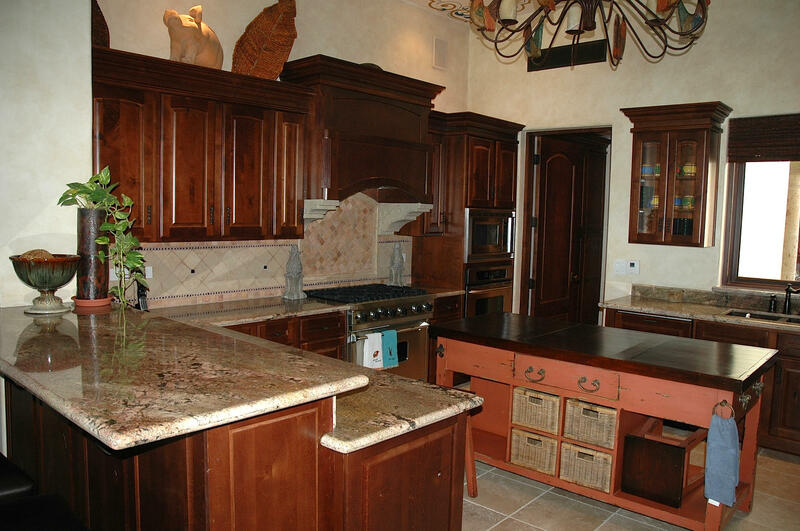 A gourmet kitchen is included for those who love to cook. 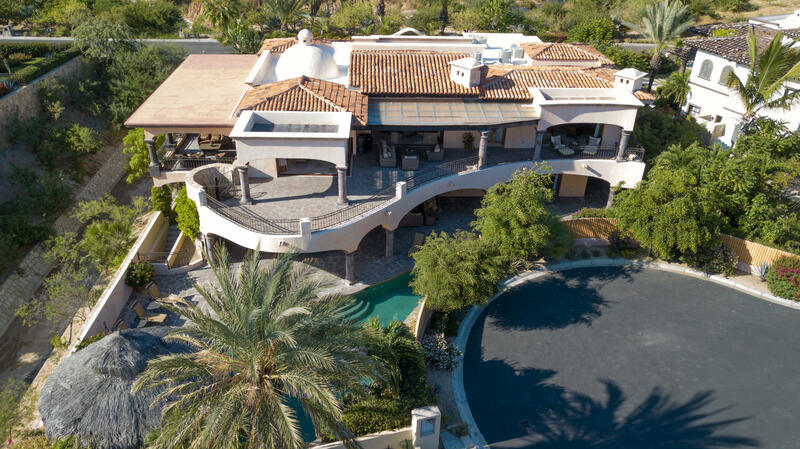 Relax poolside to enjoy the view in the spacious outdoor living/dining/entertaining area with its outdoor cook center, barbecue, heated infinity edge pool and Jacuzzi. 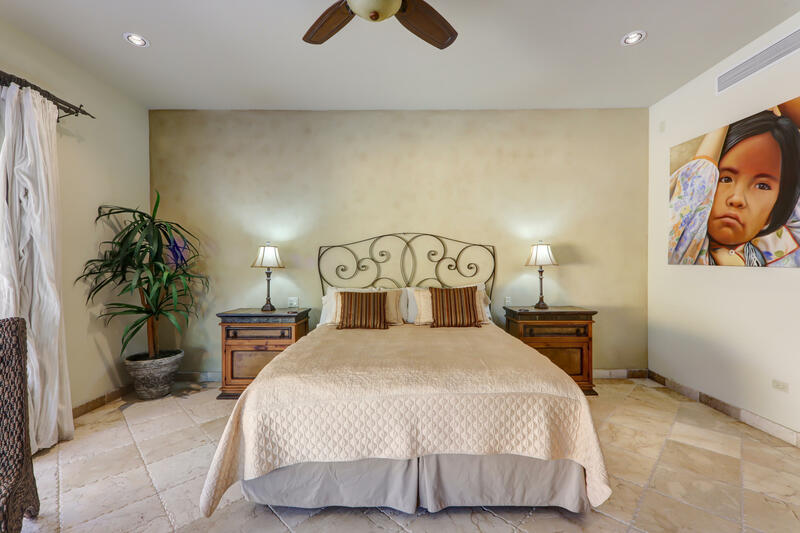 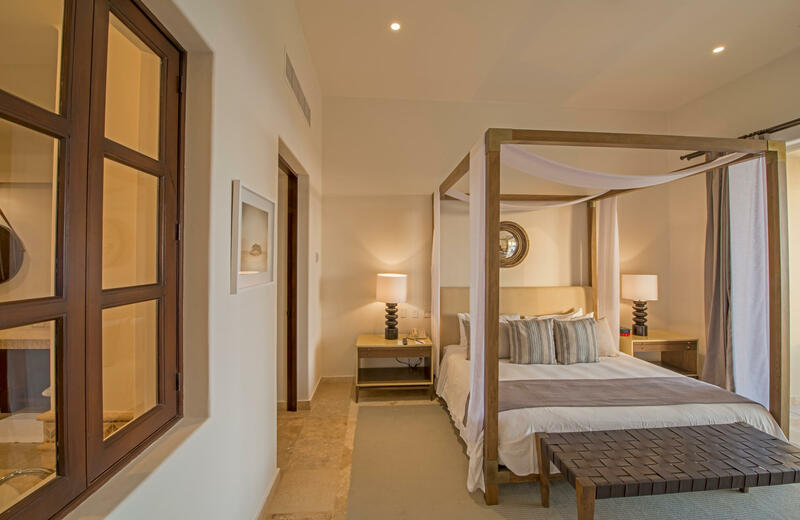 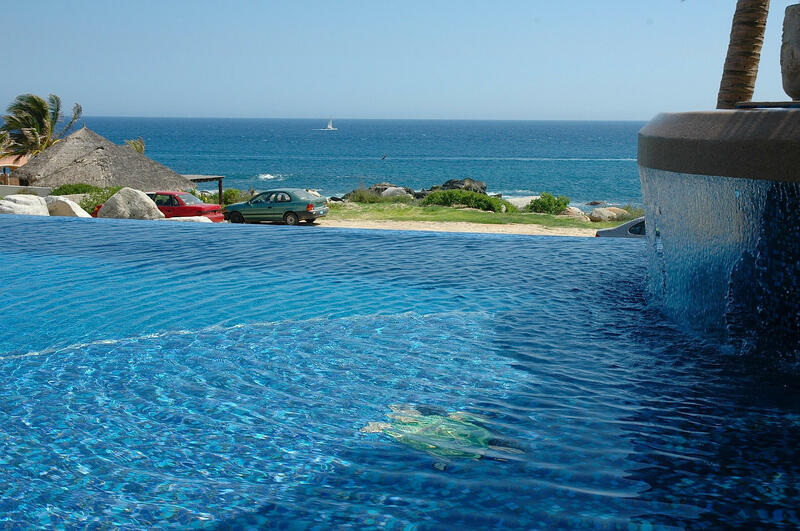 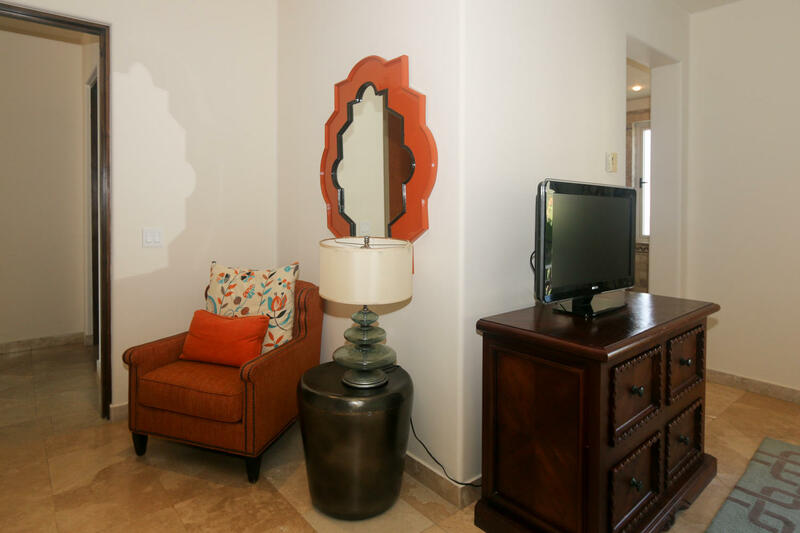 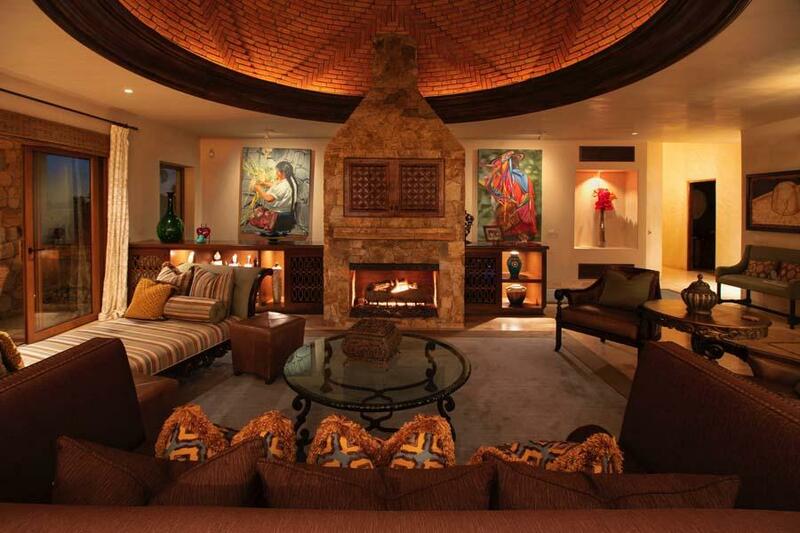 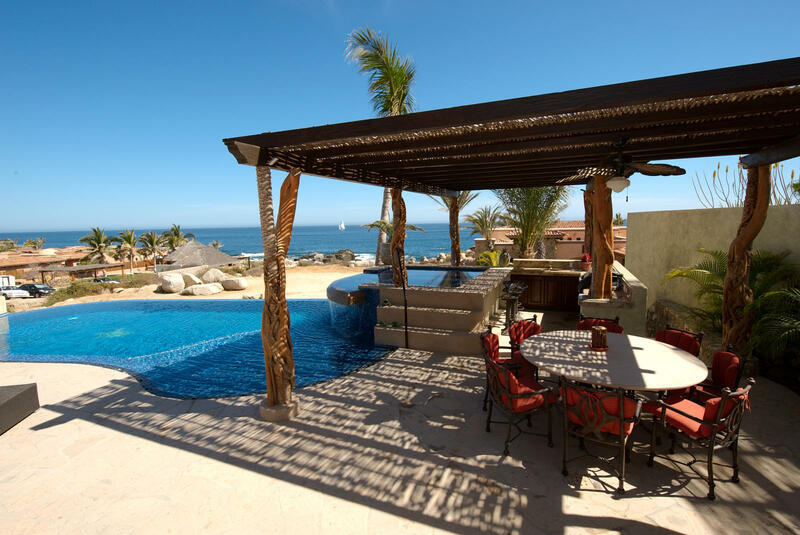 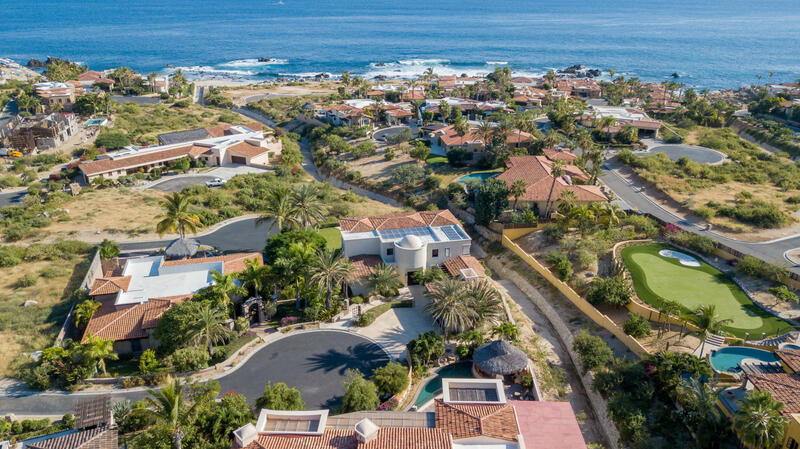 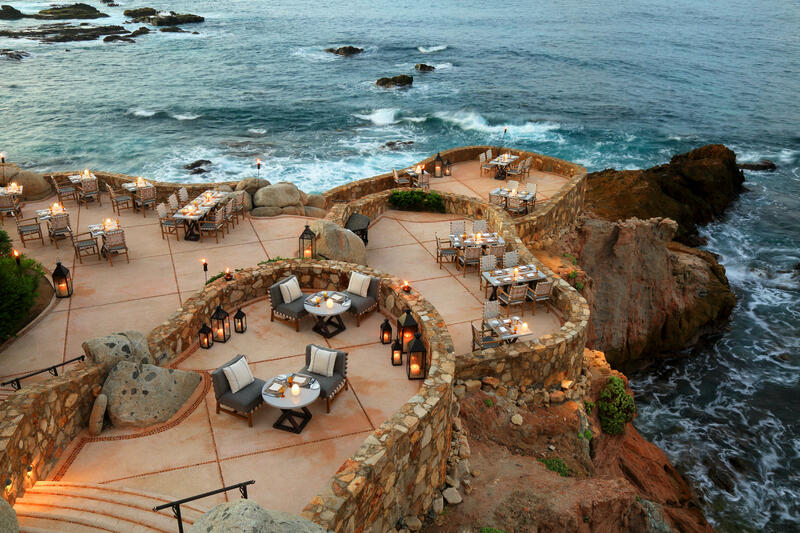 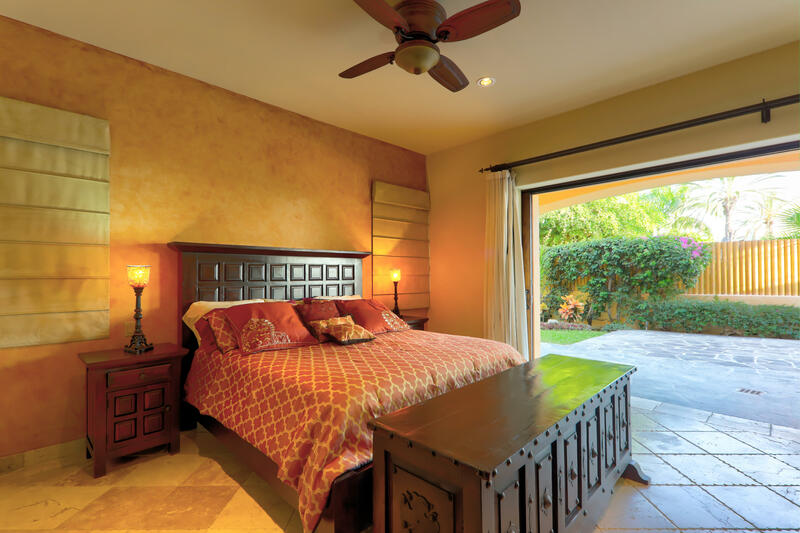 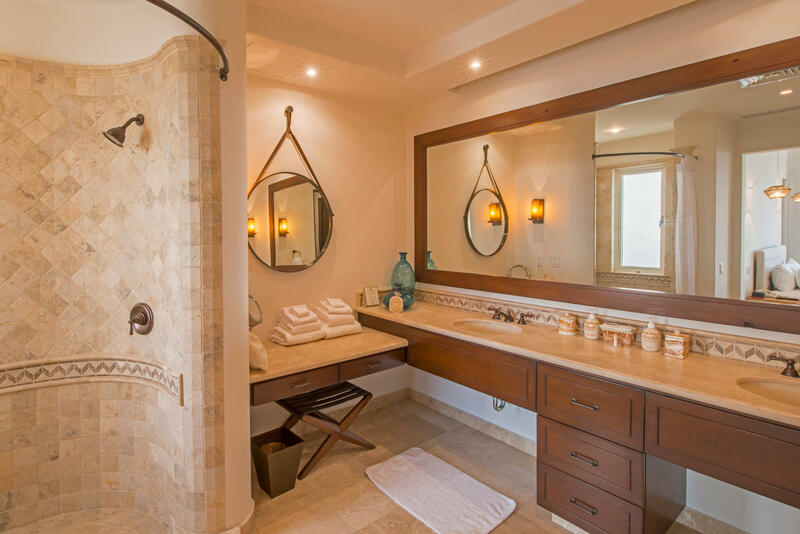 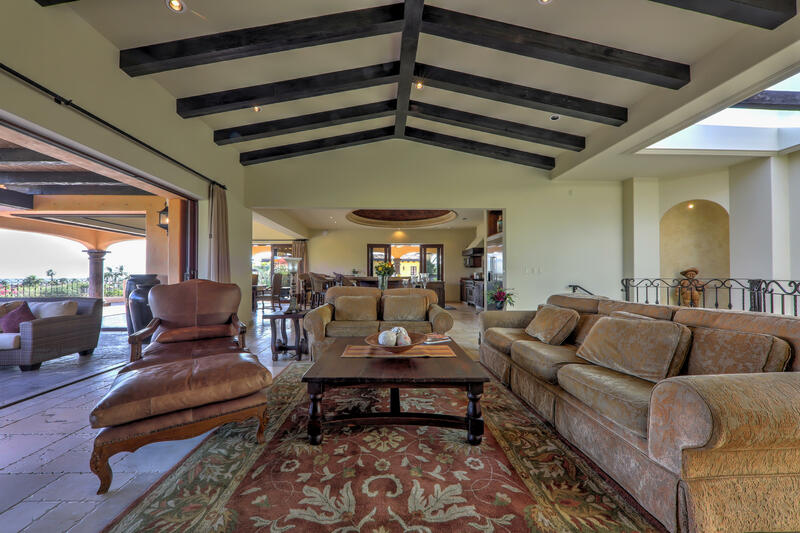 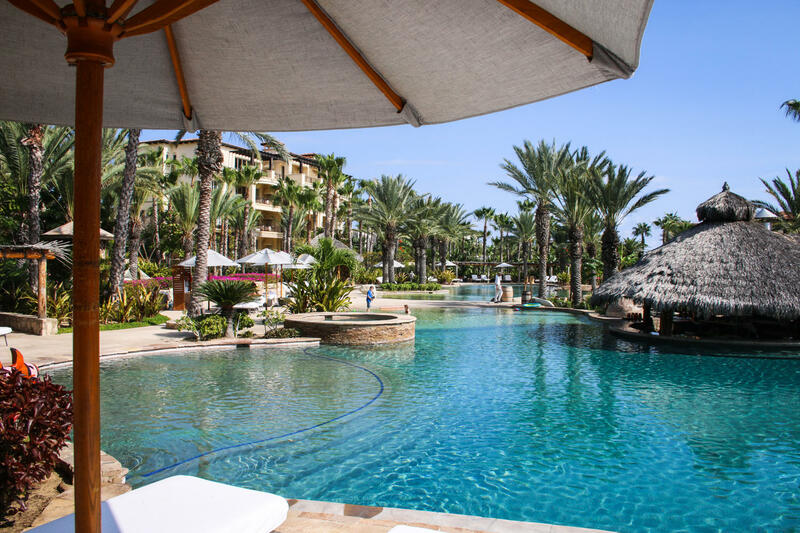 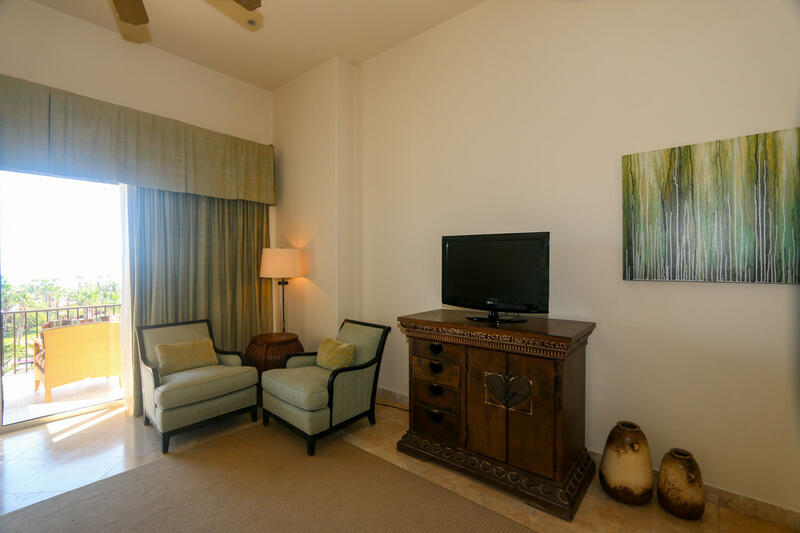 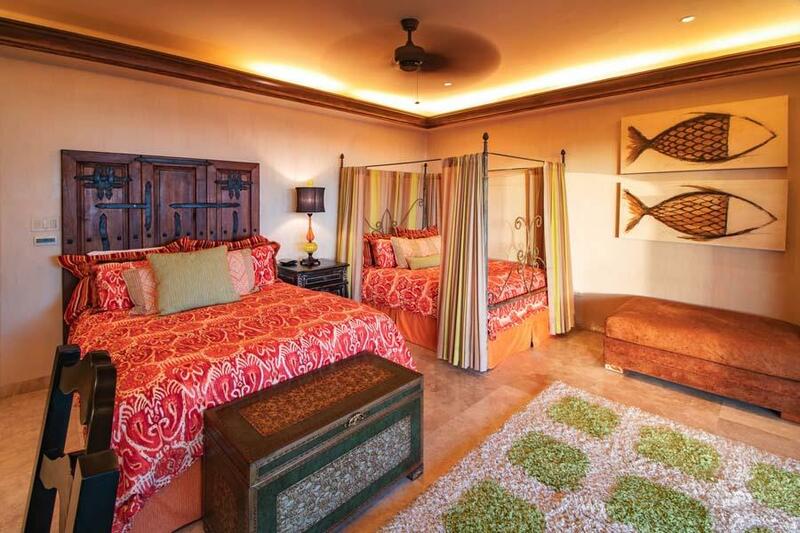 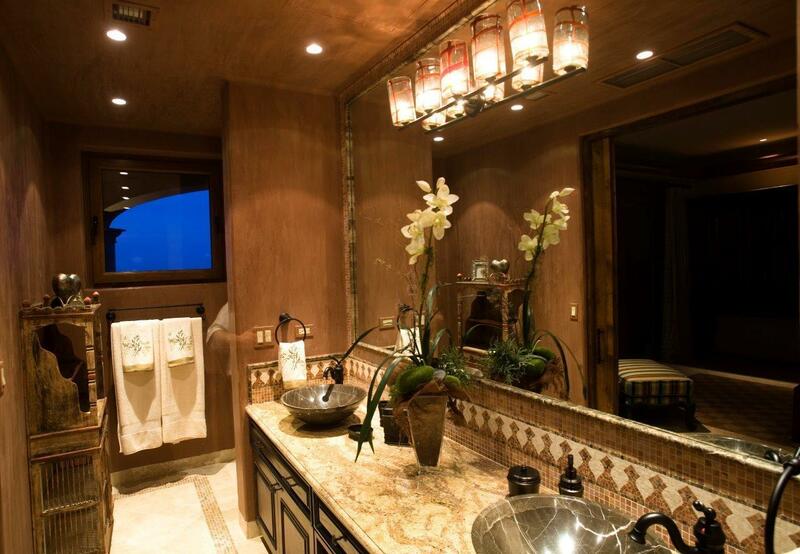 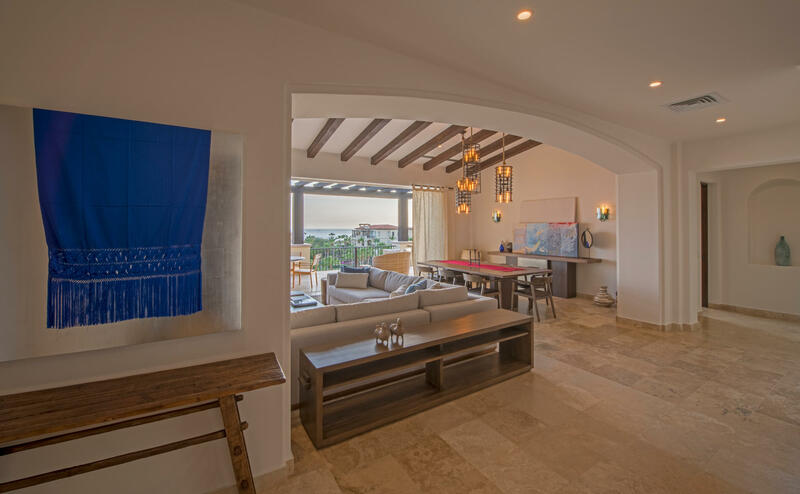 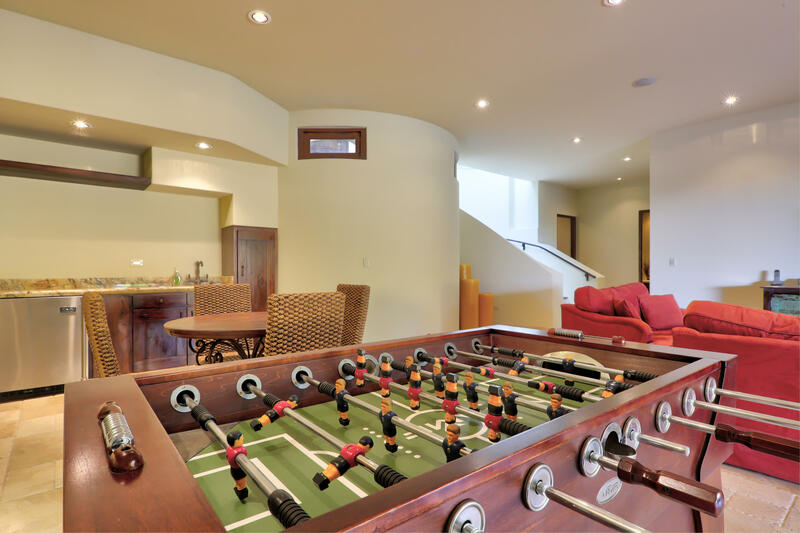 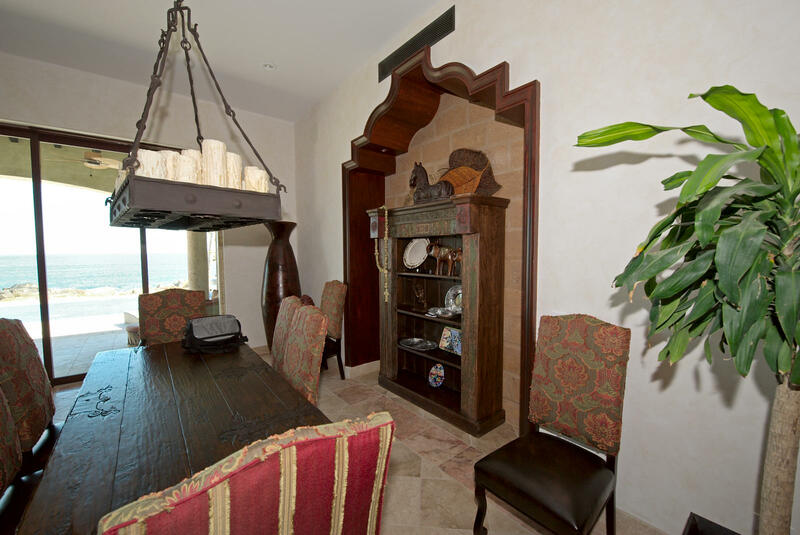 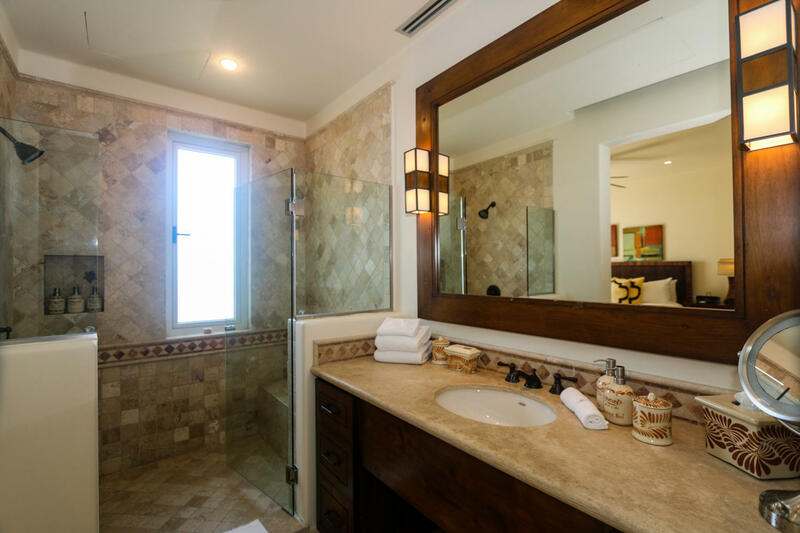 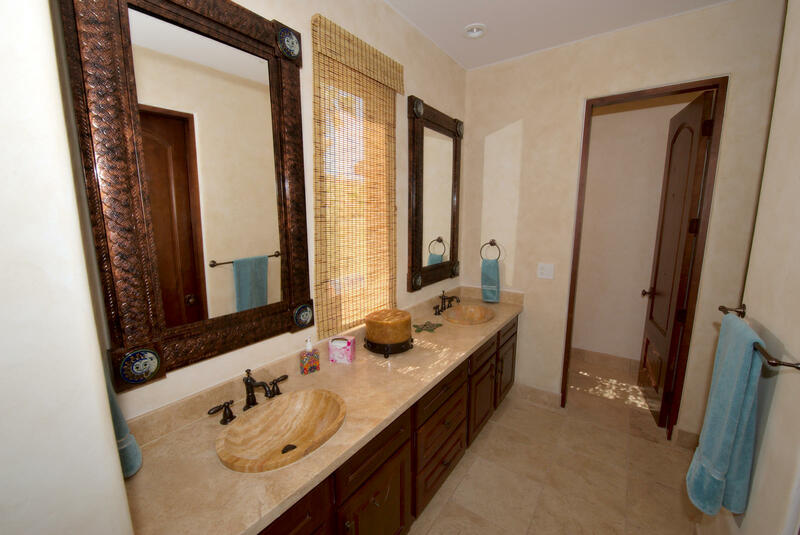 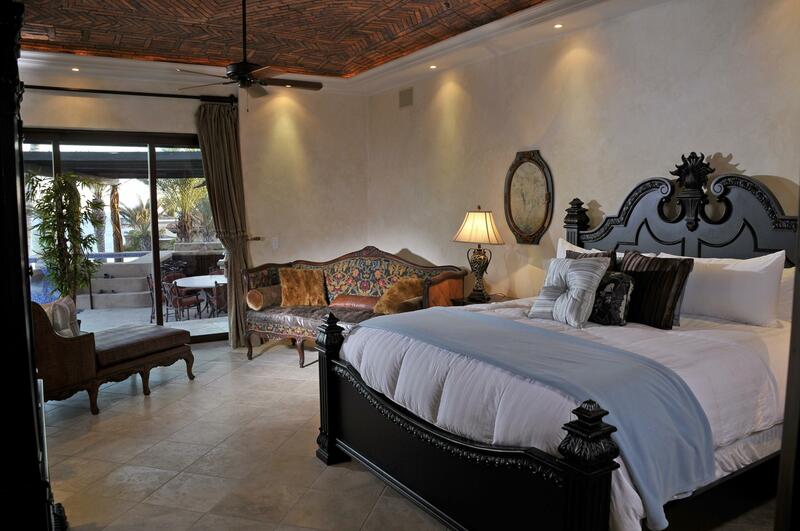 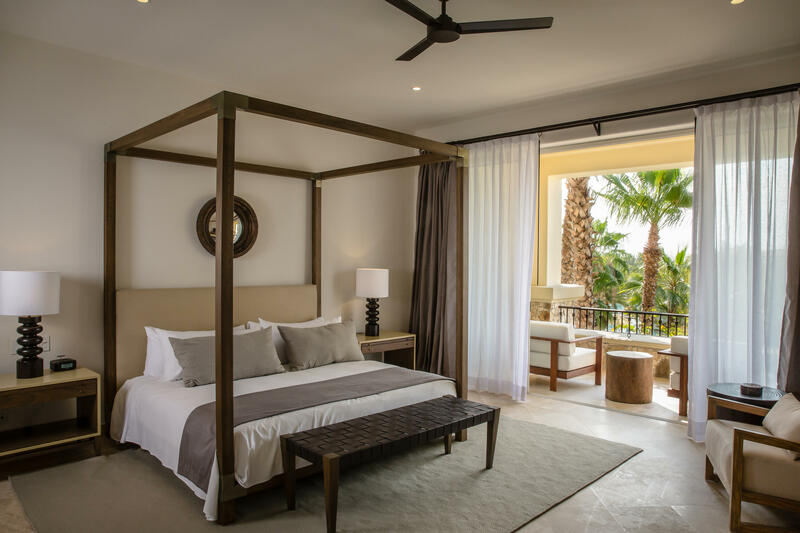 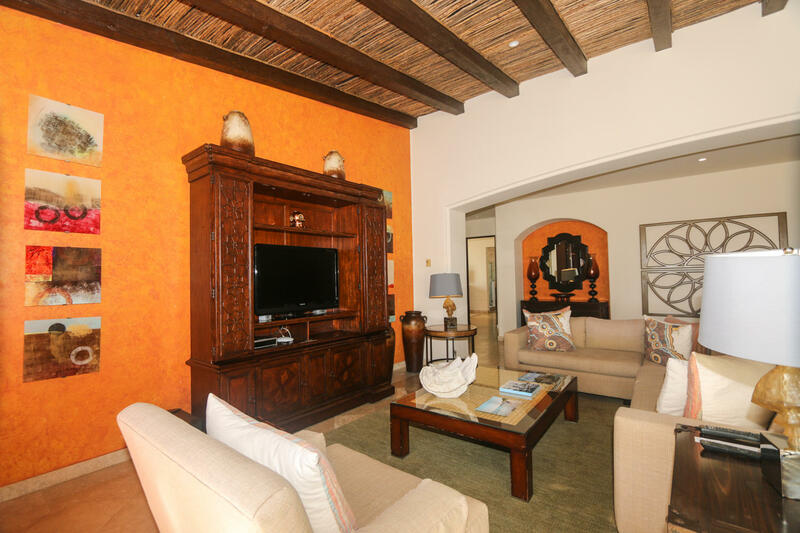 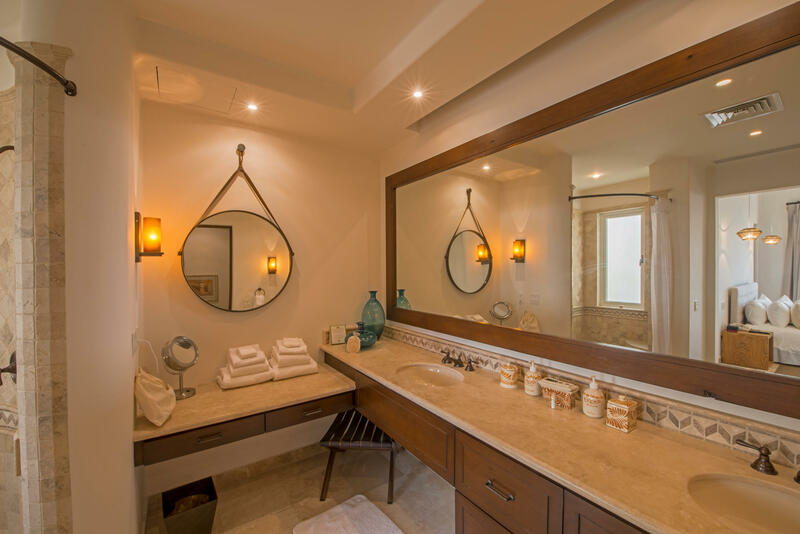 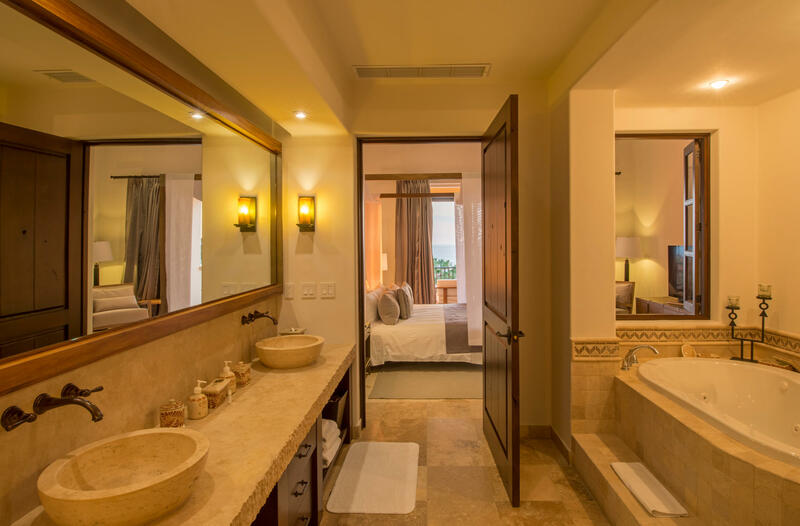 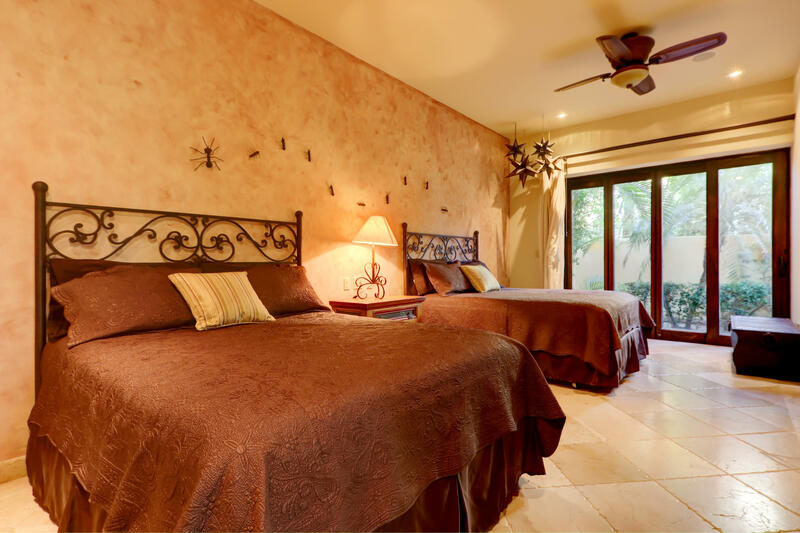 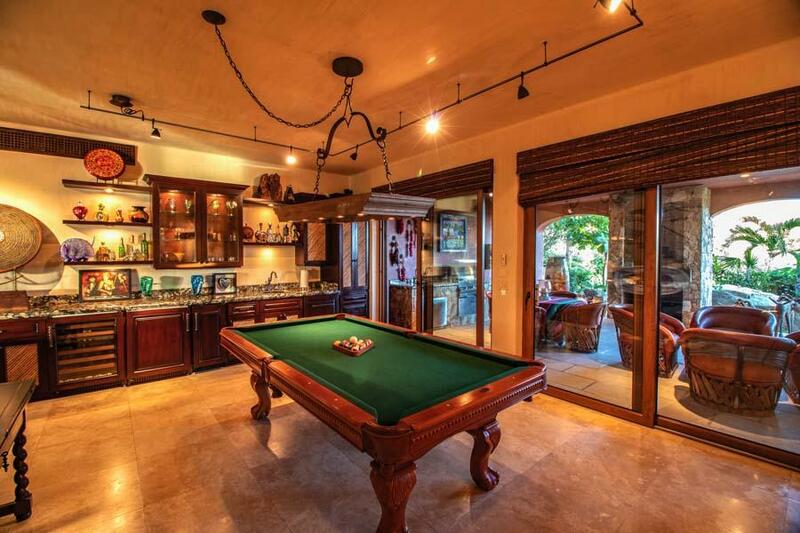 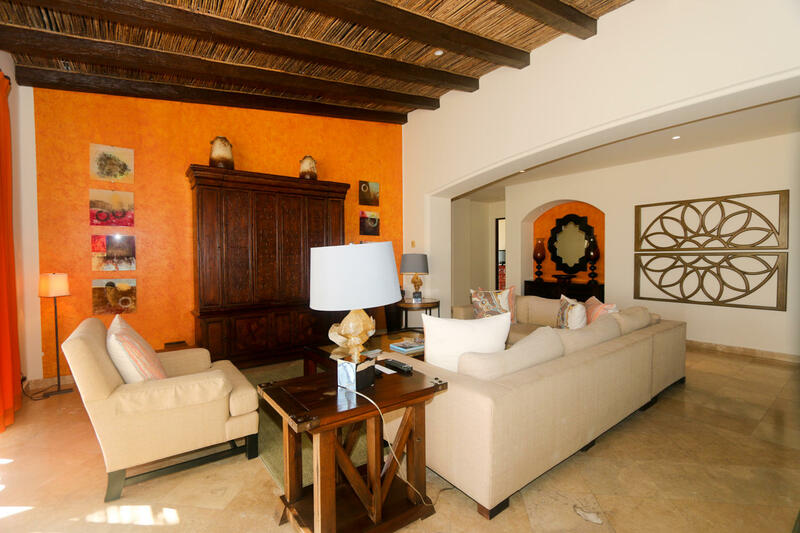 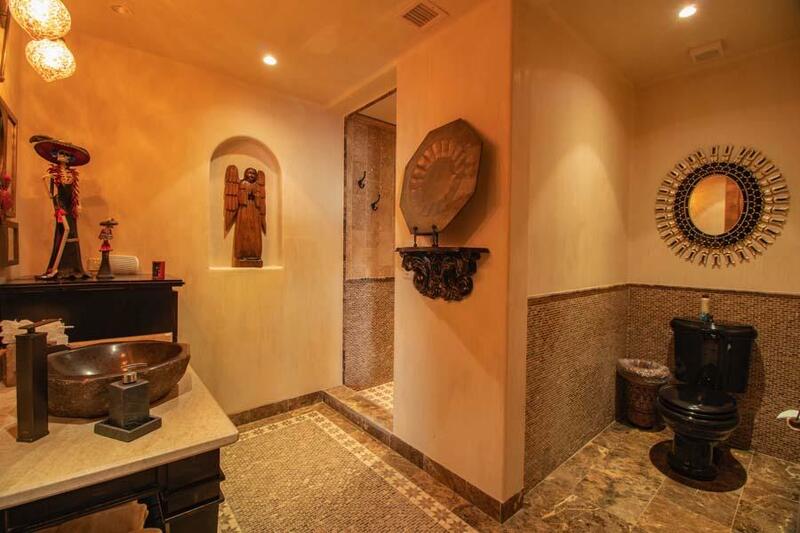 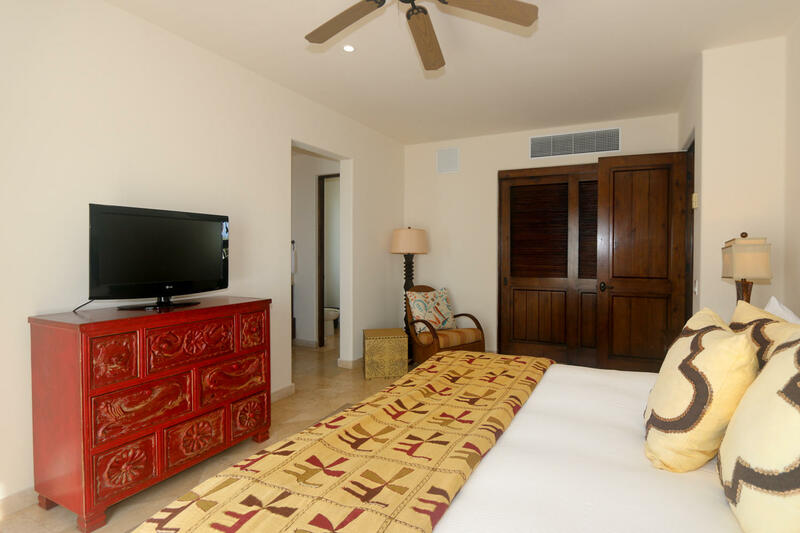 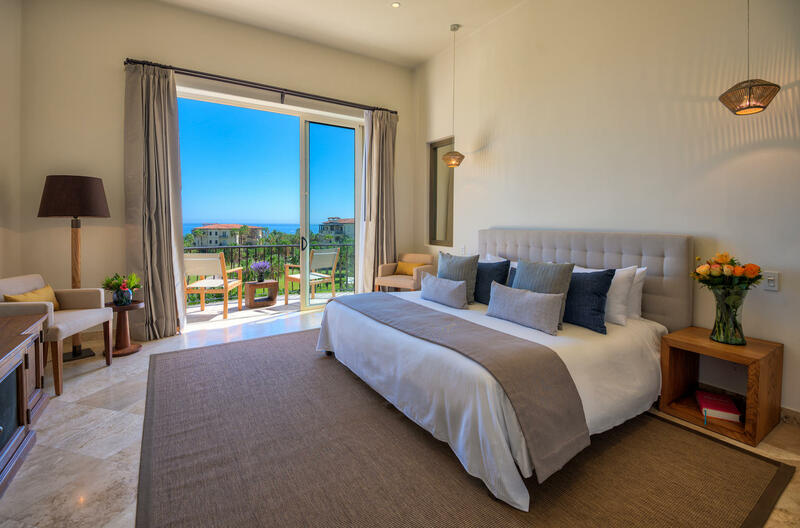 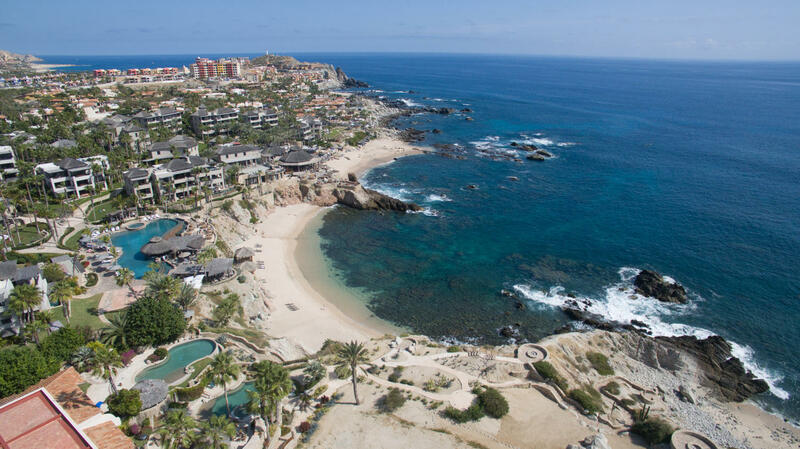 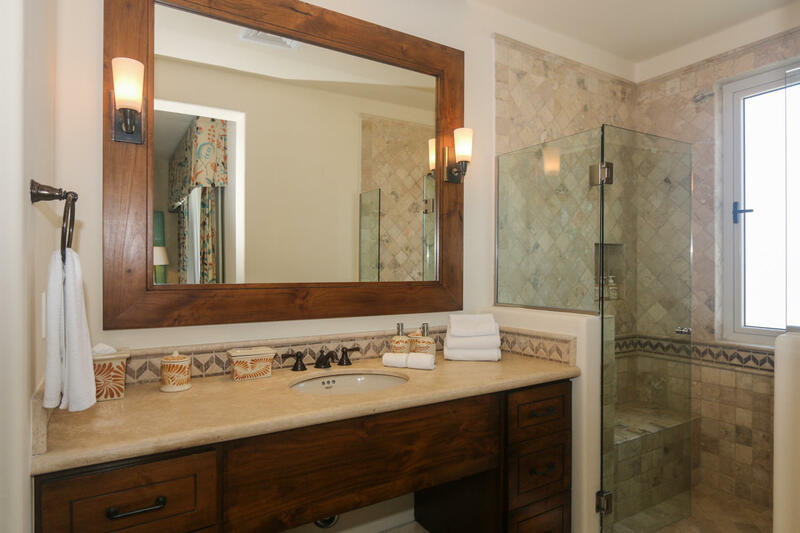 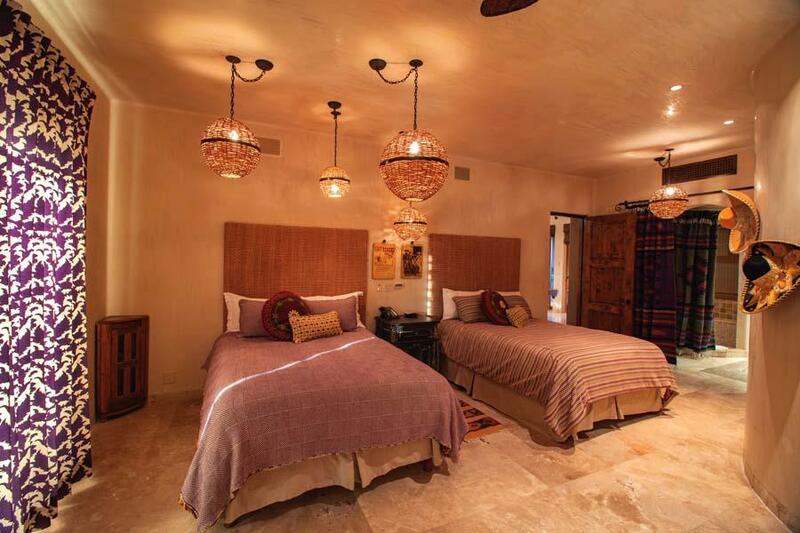 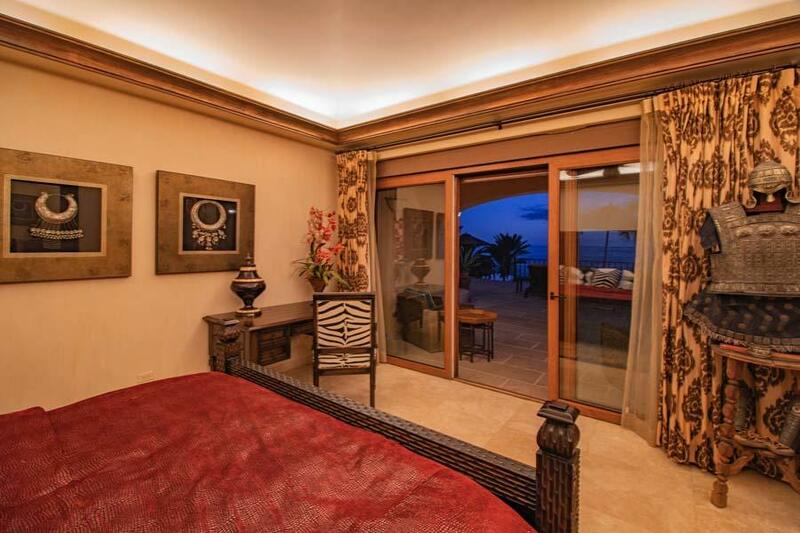 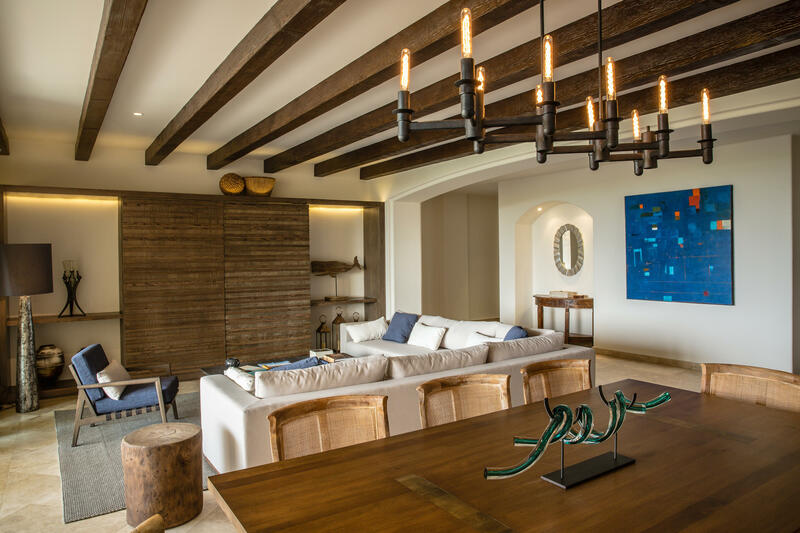 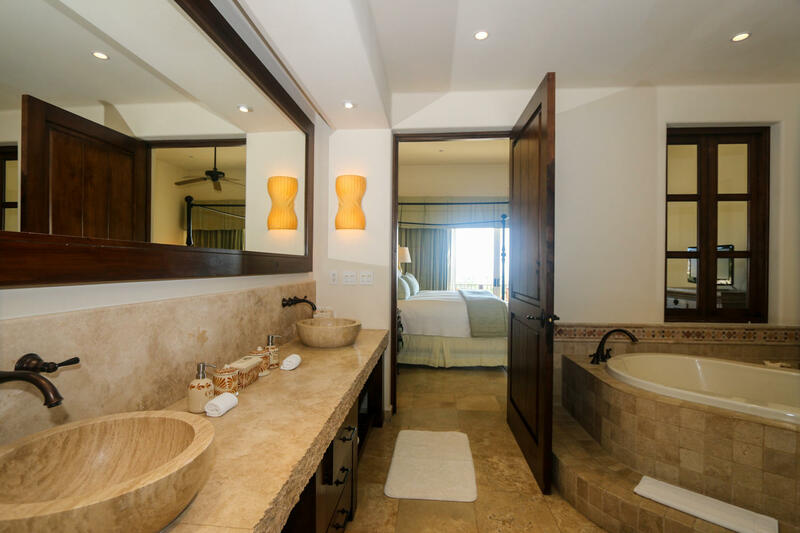 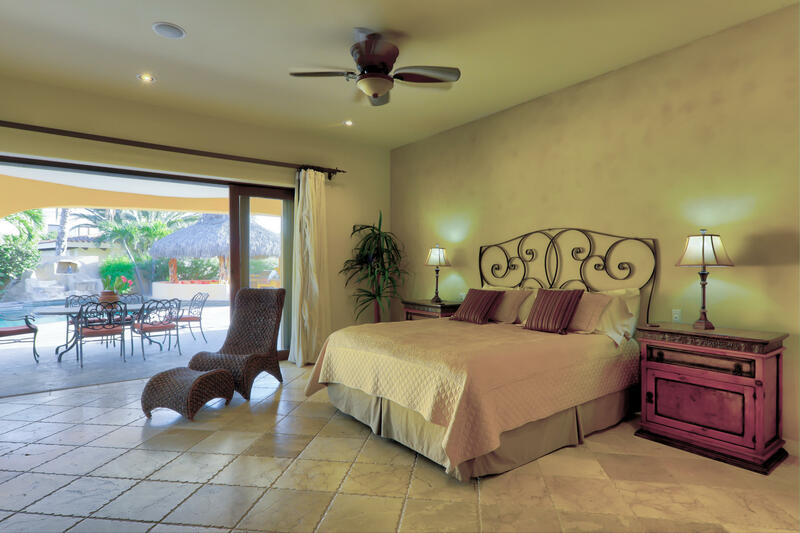 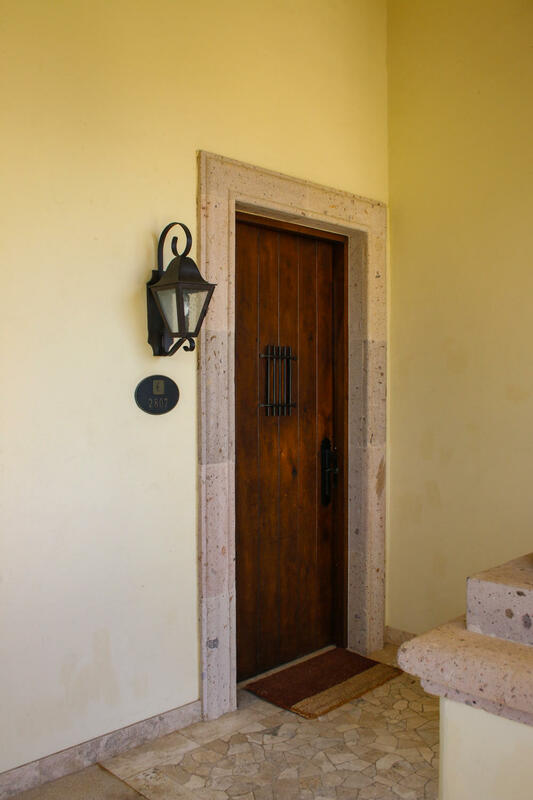 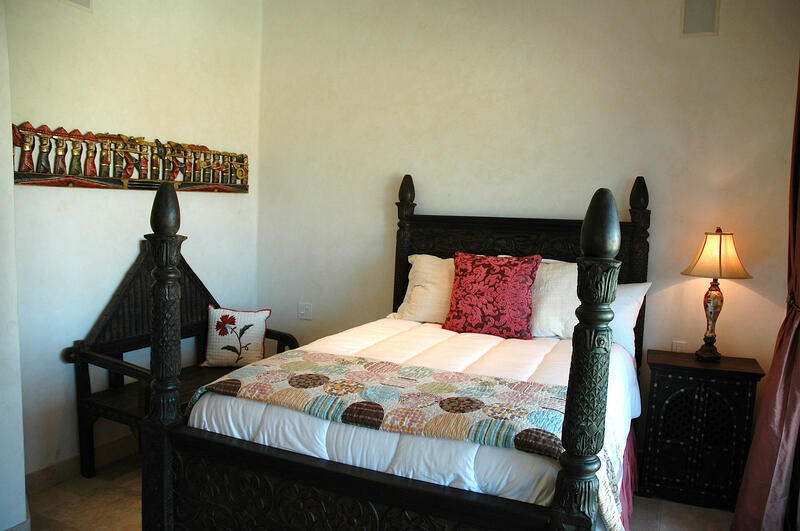 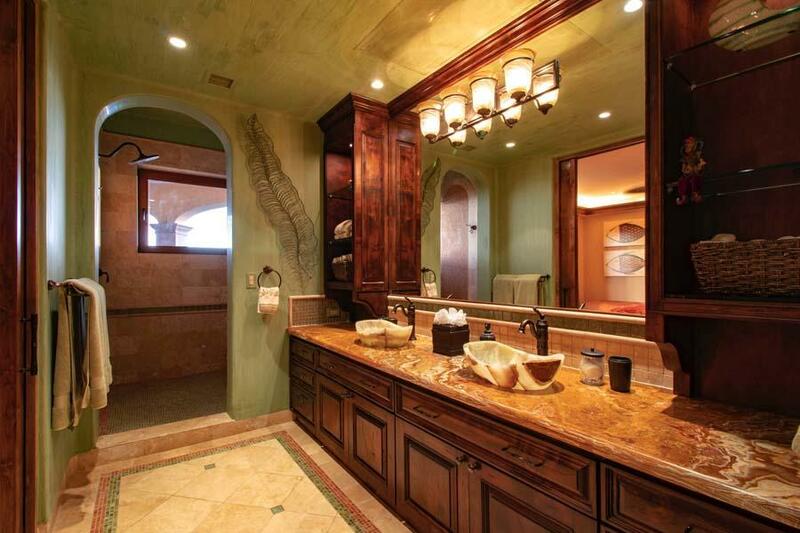 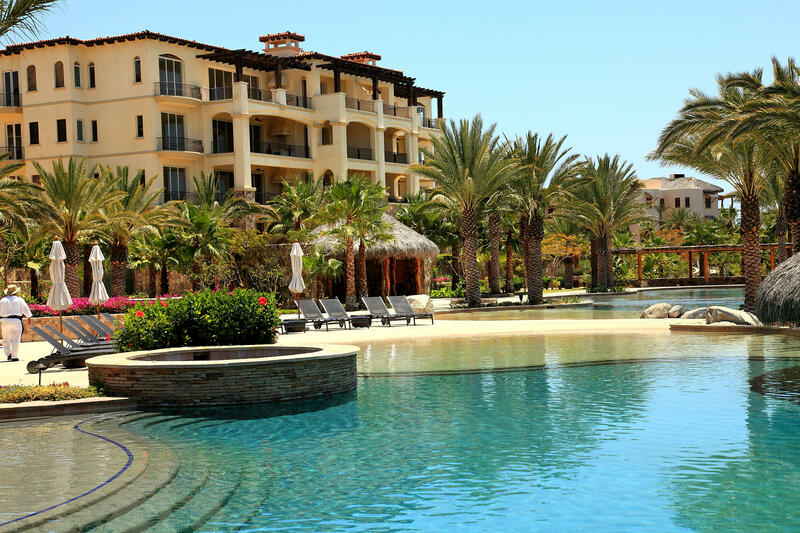 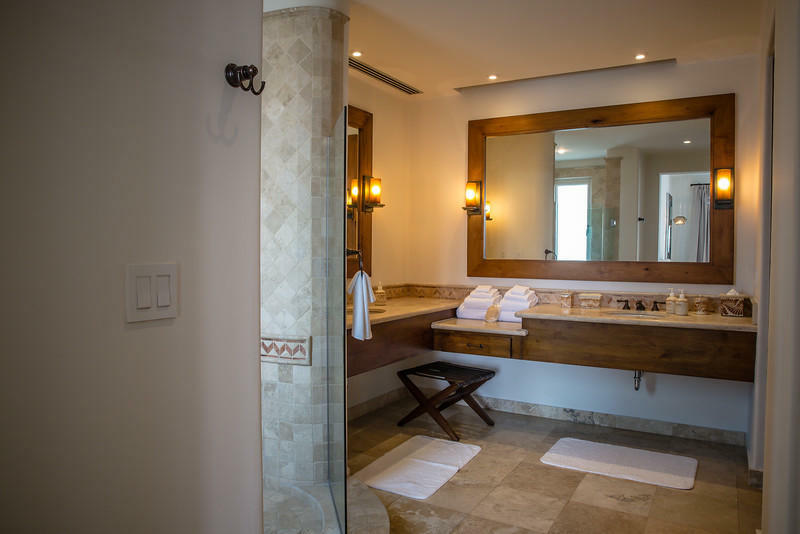 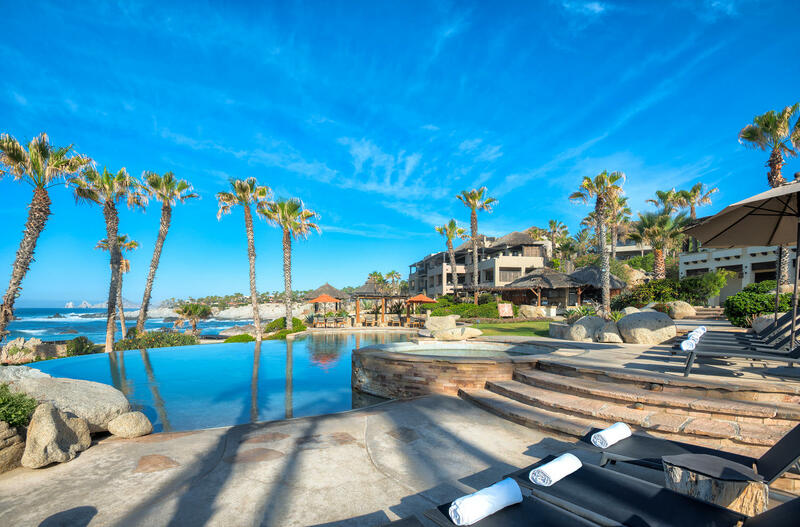 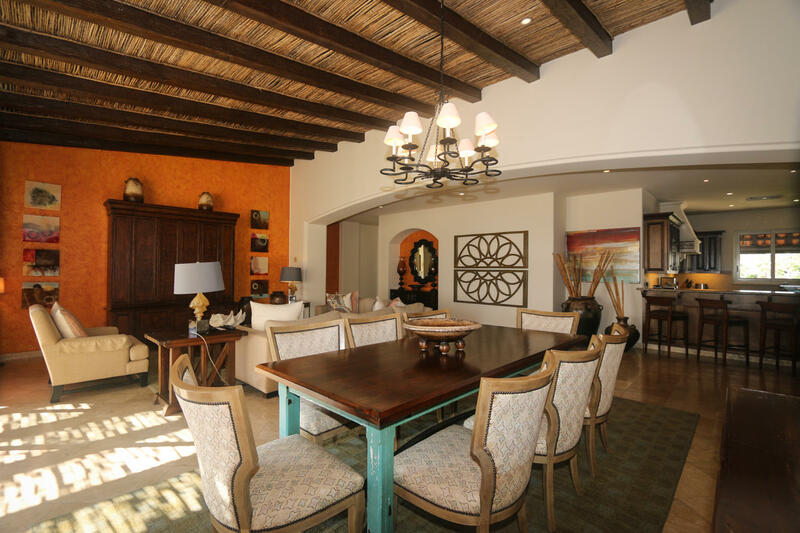 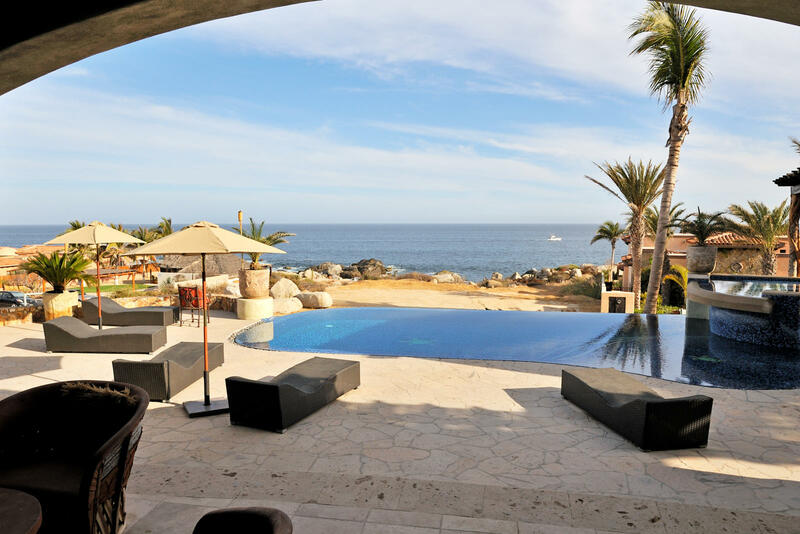 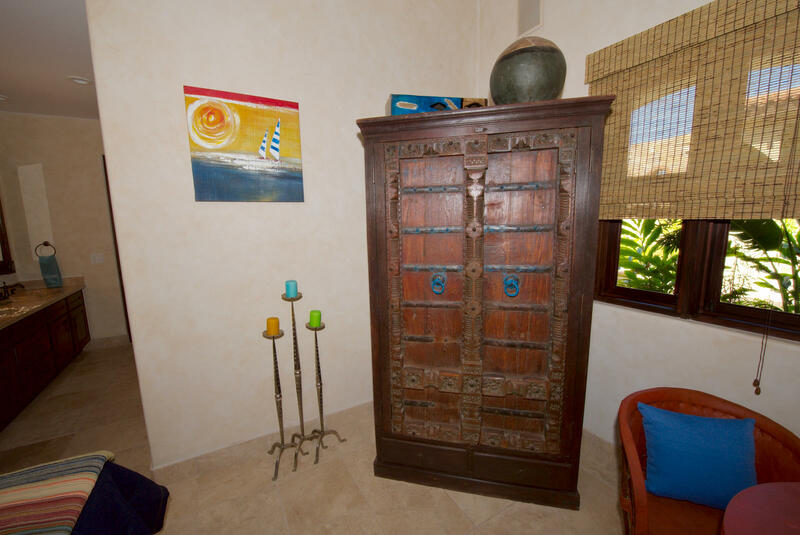 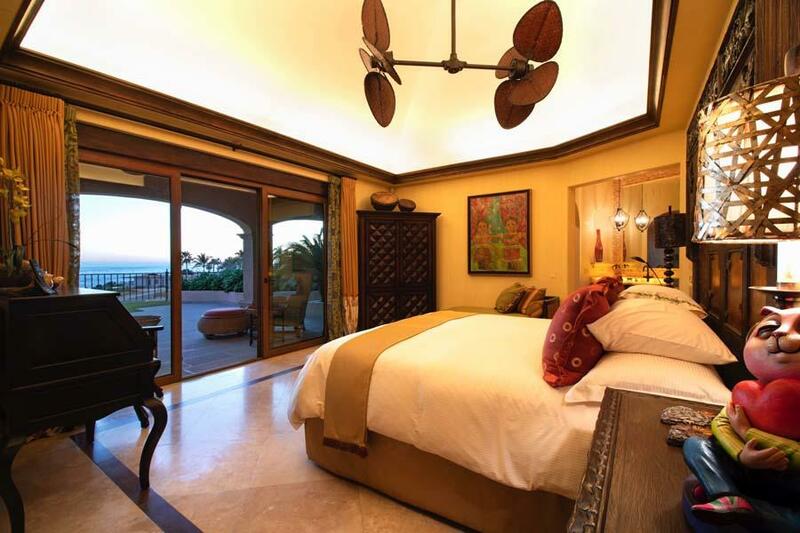 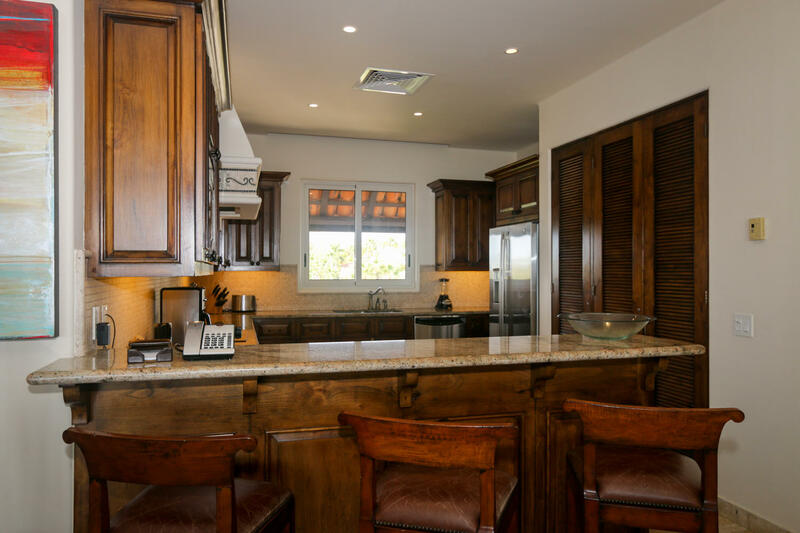 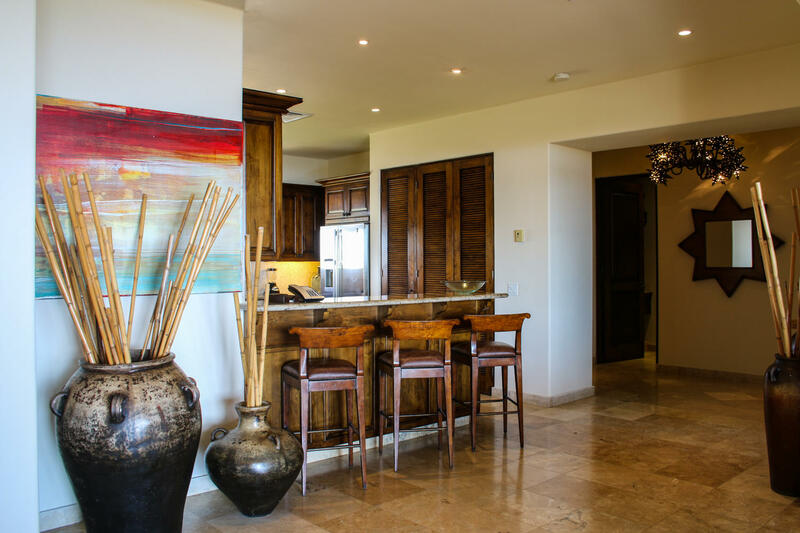 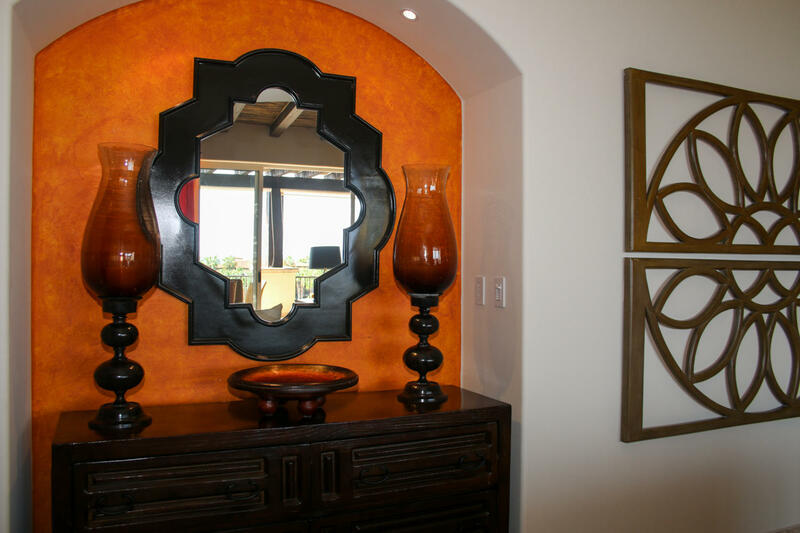 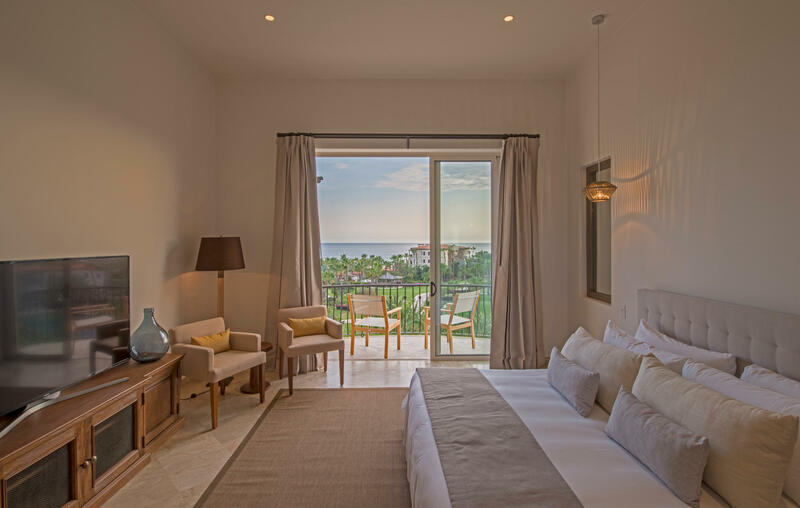 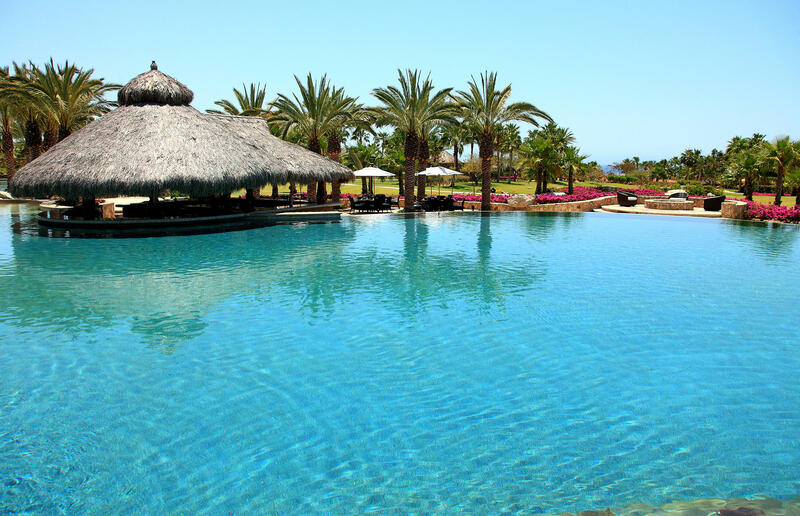 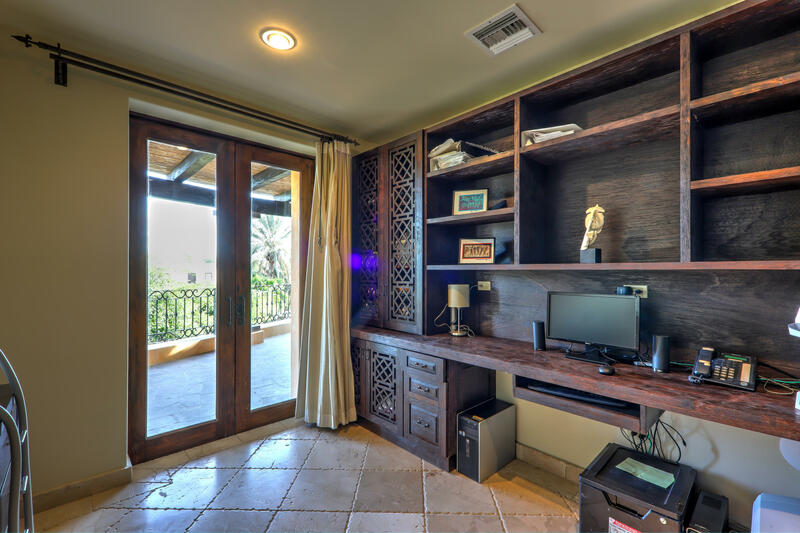 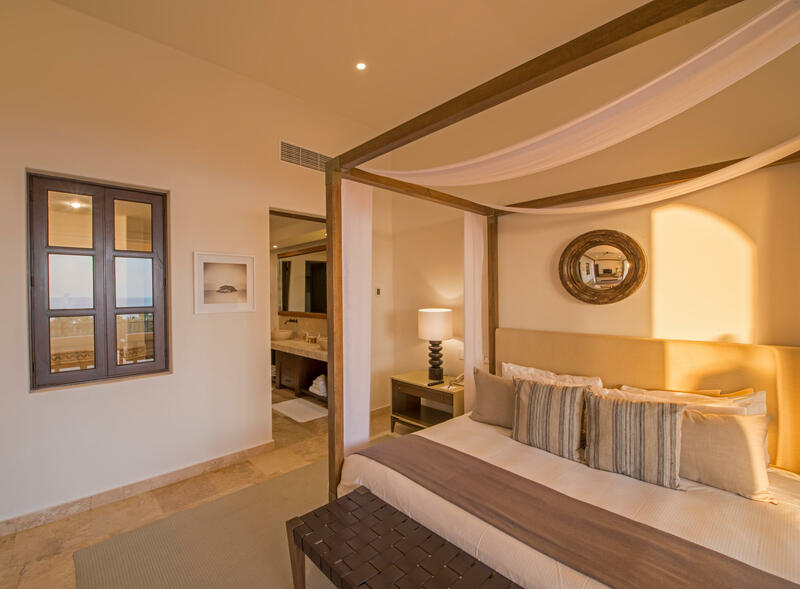 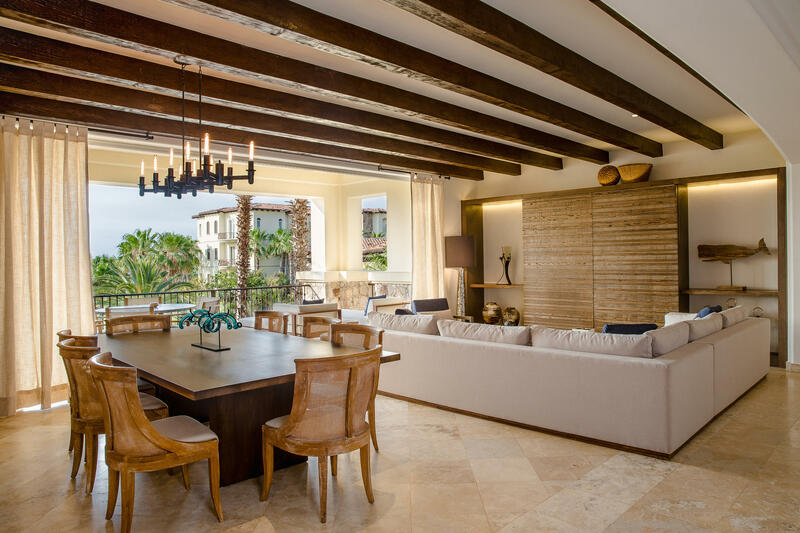 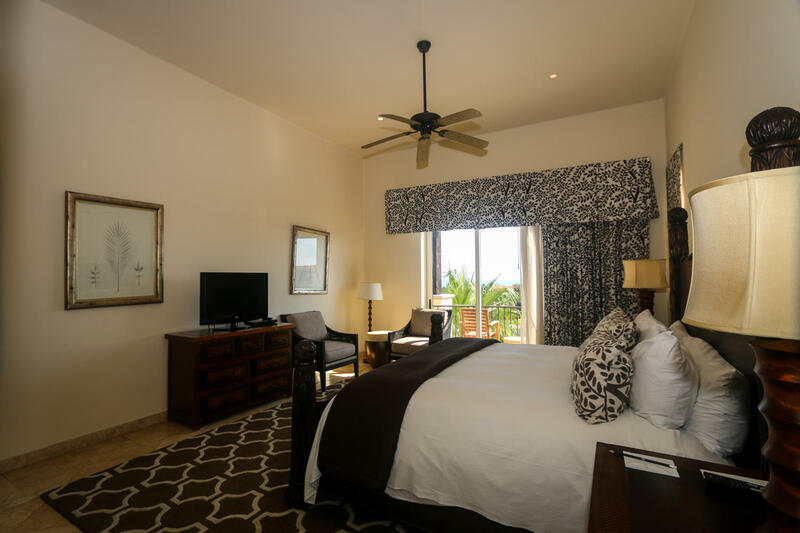 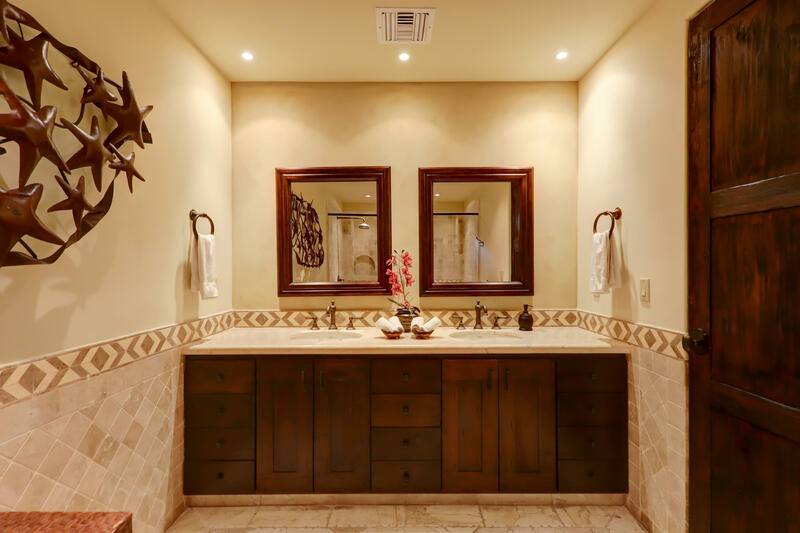 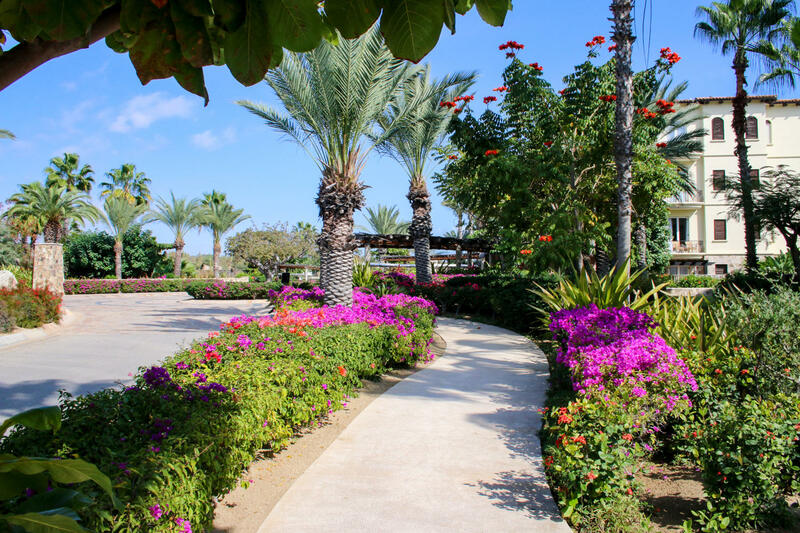 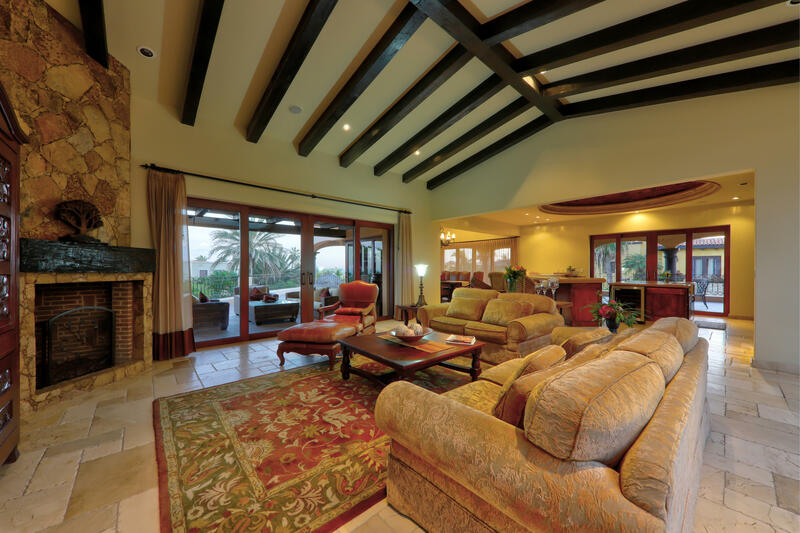 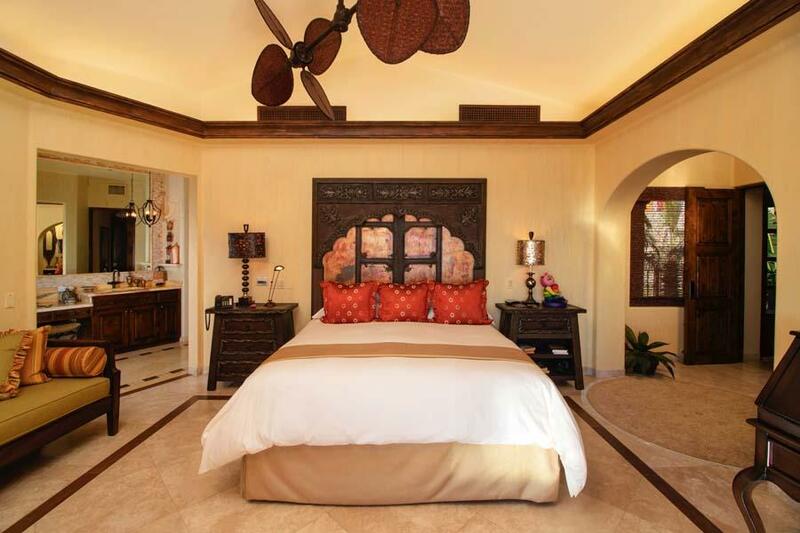 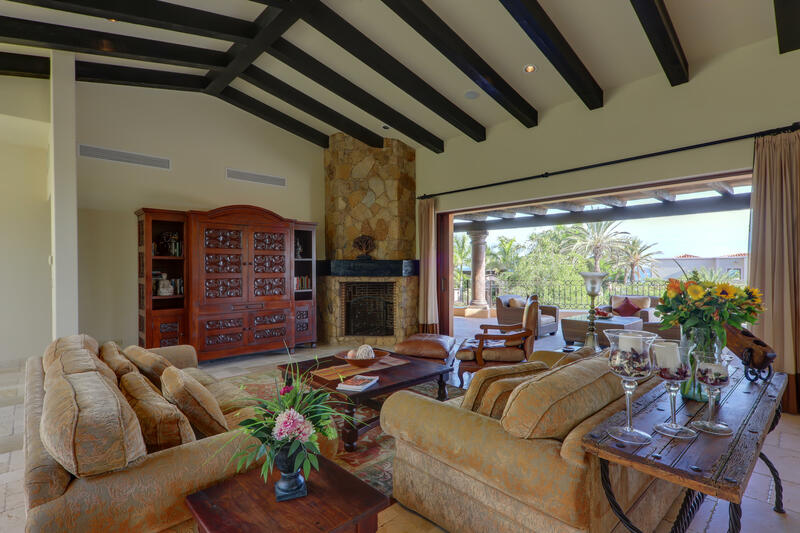 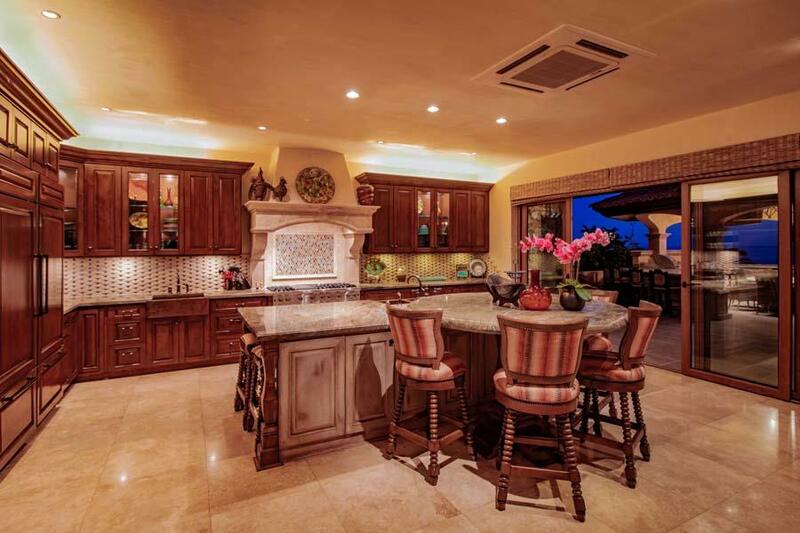 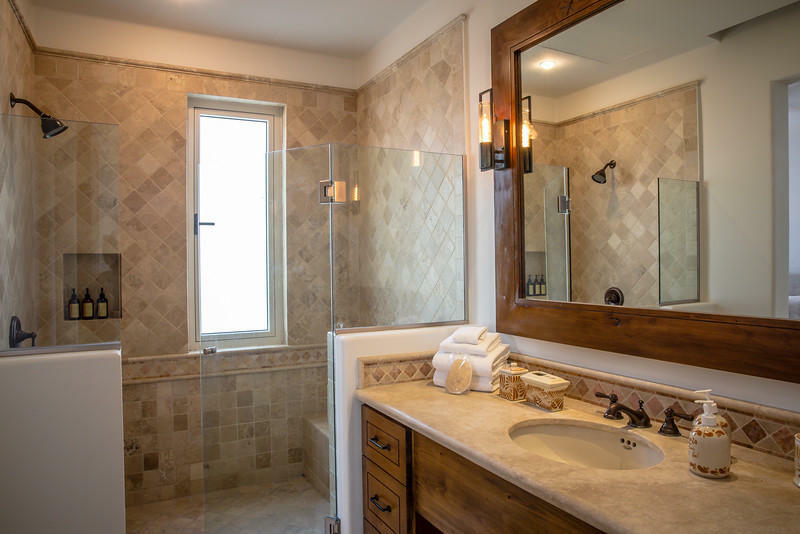 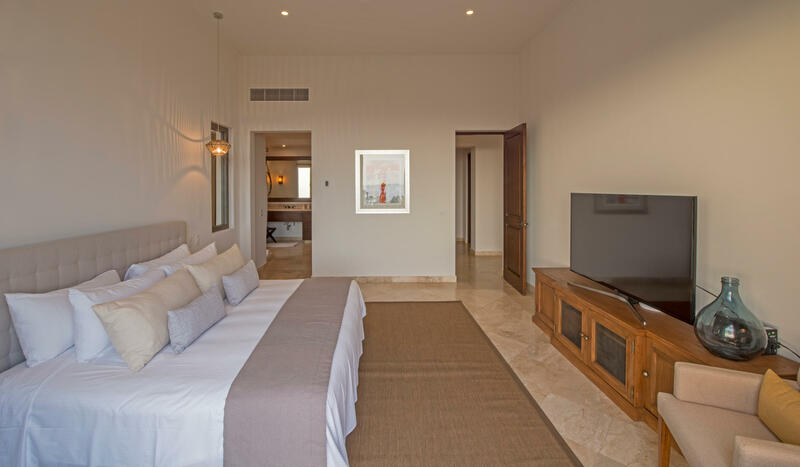 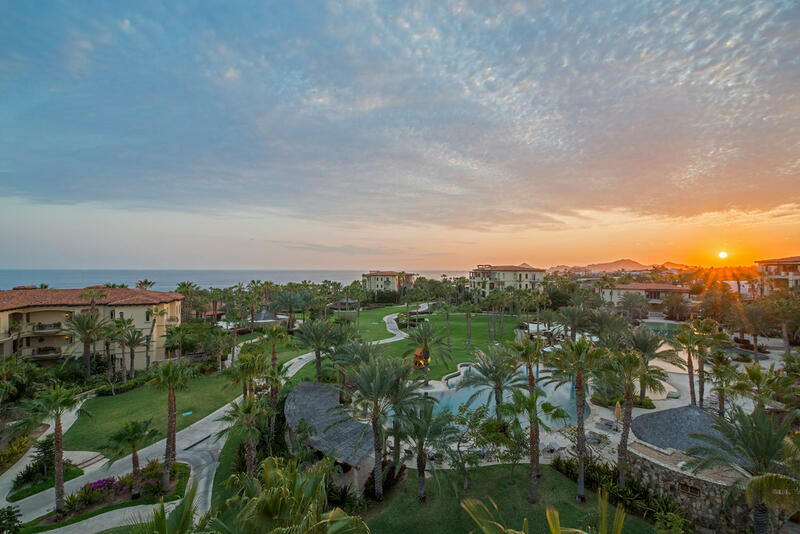 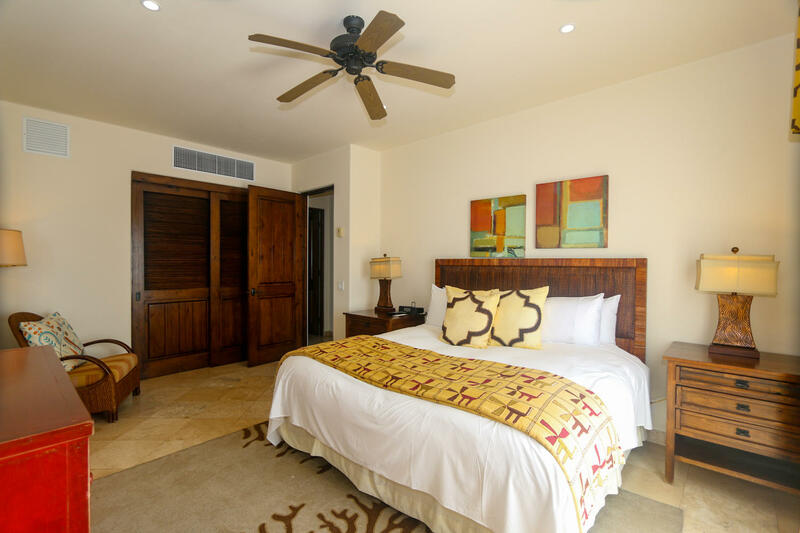 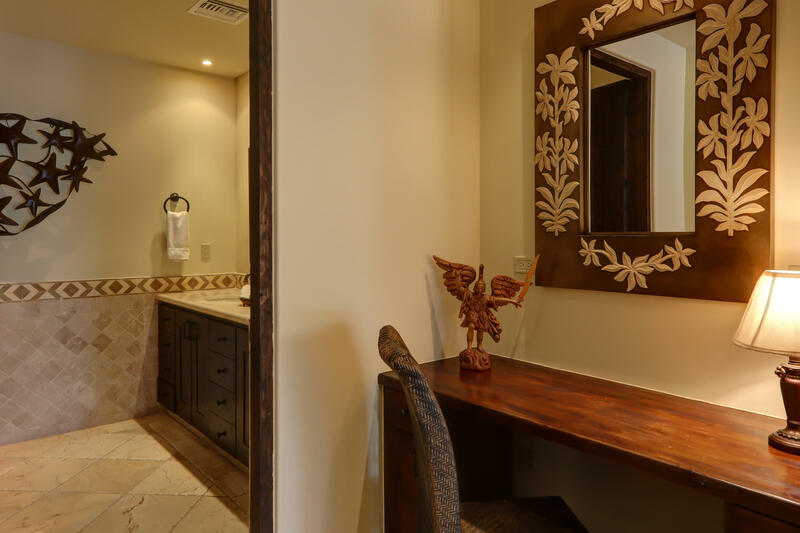 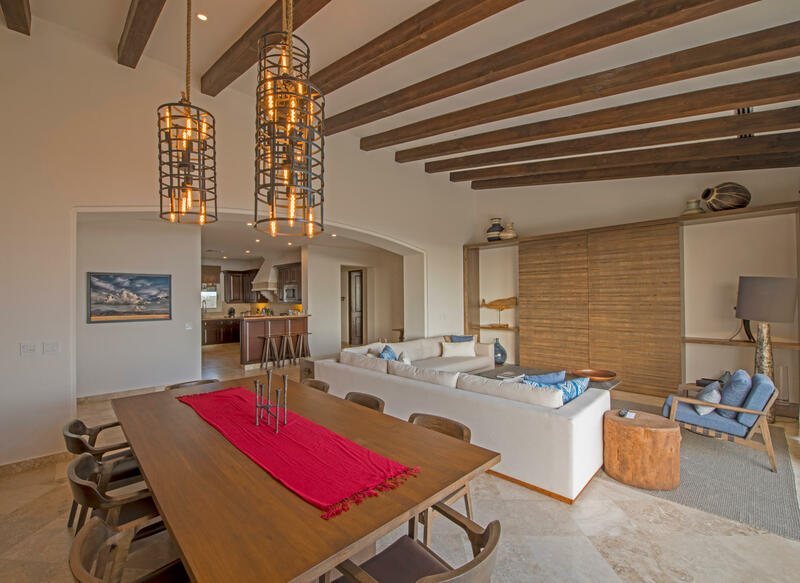 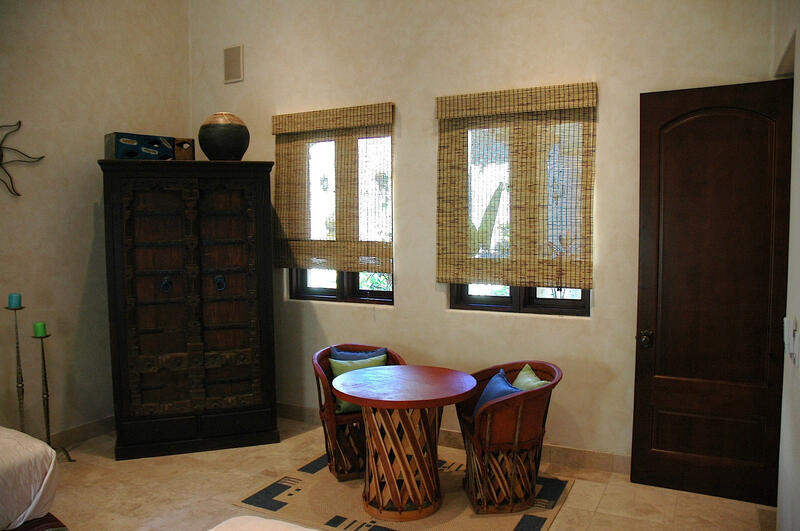 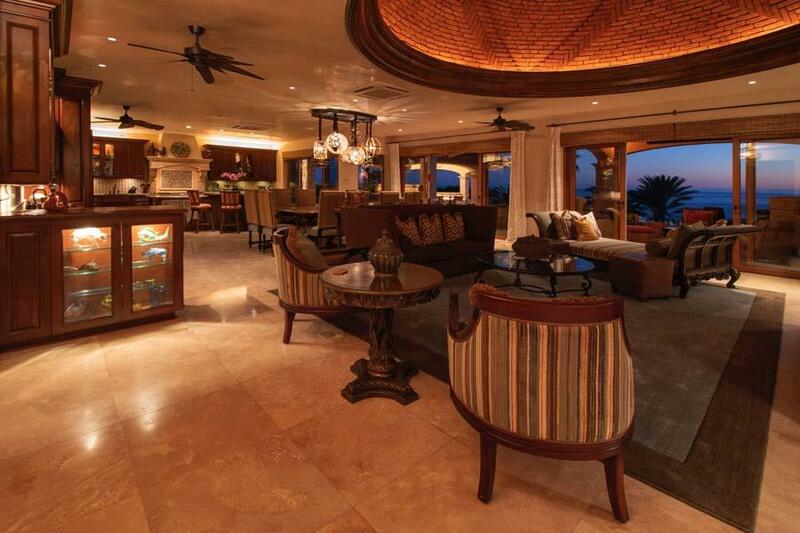 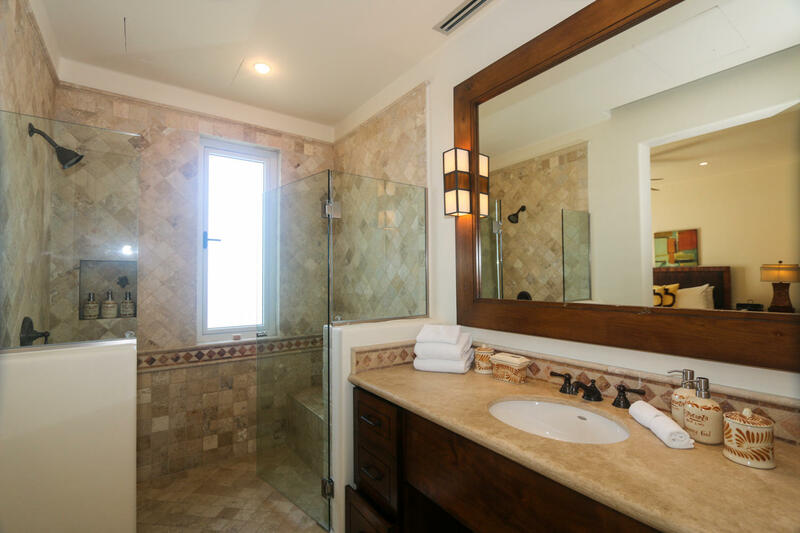 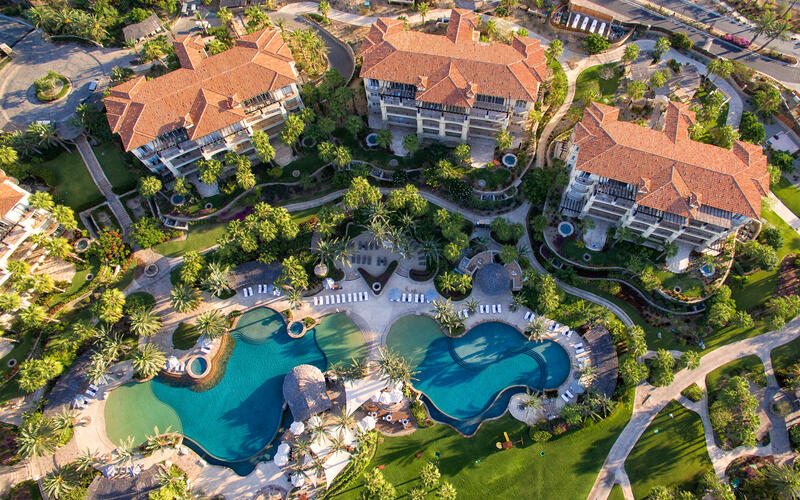 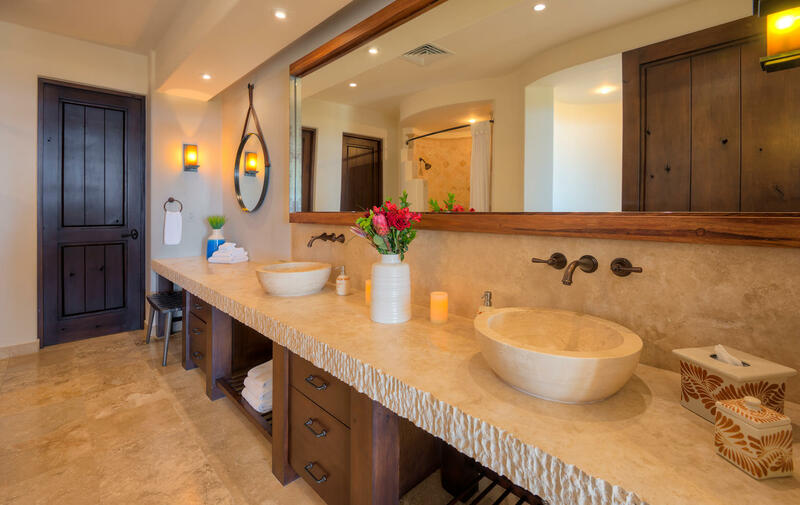 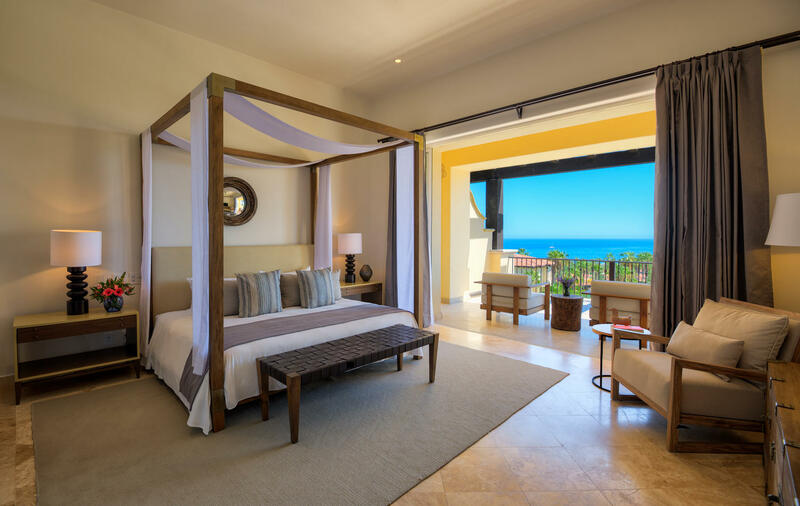 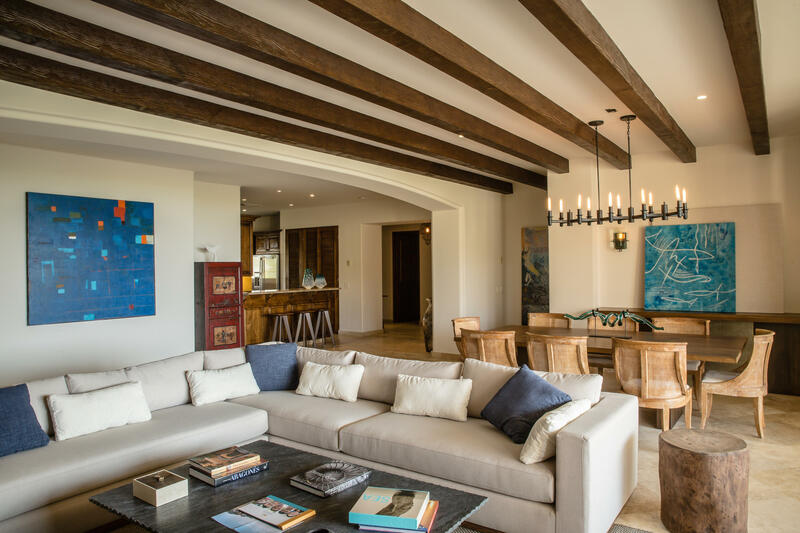 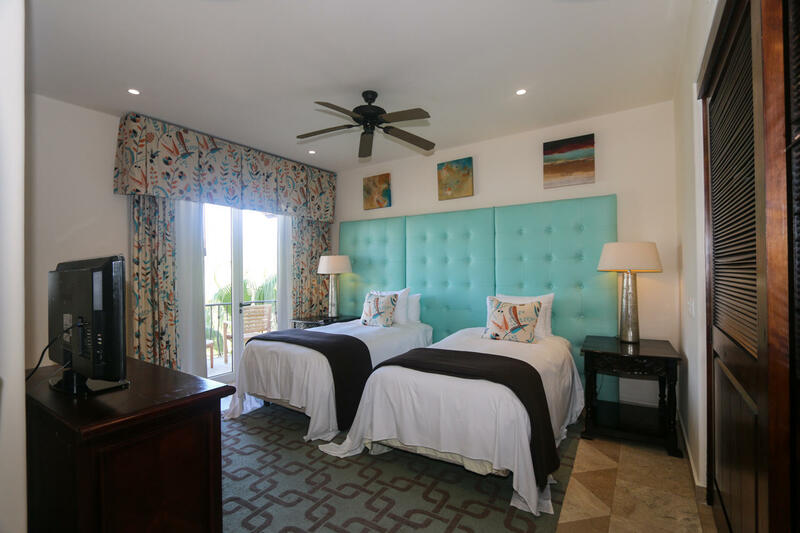 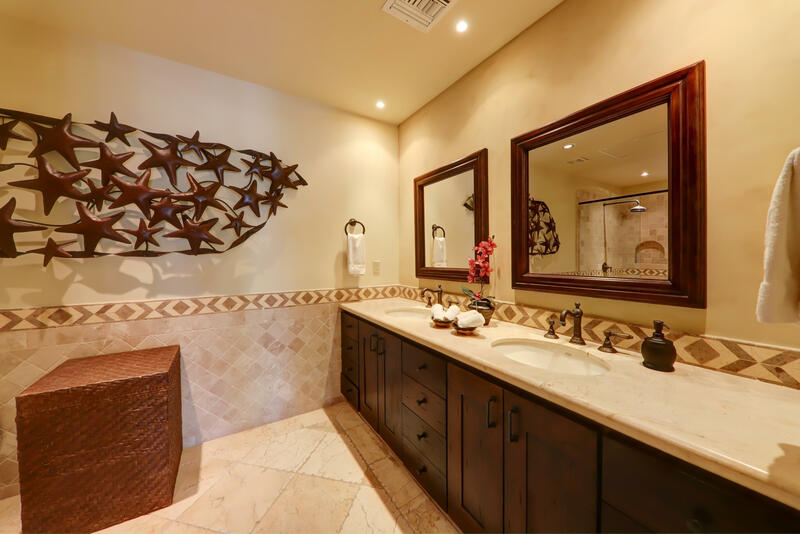 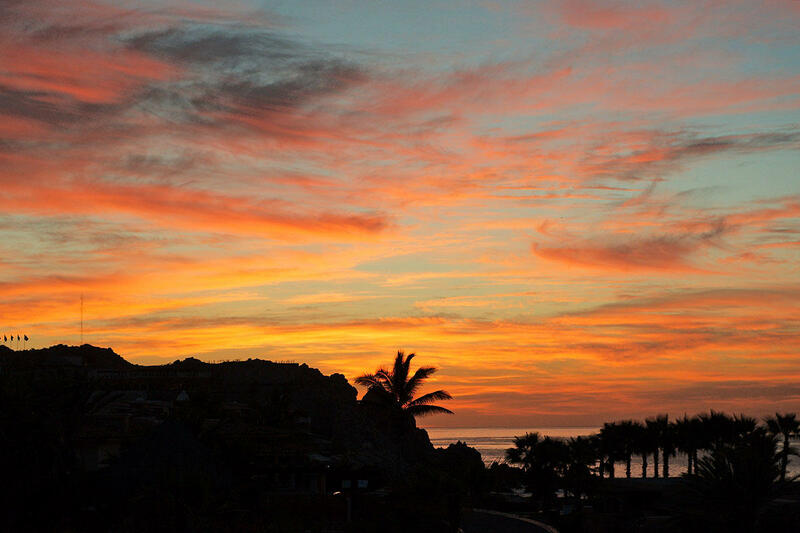 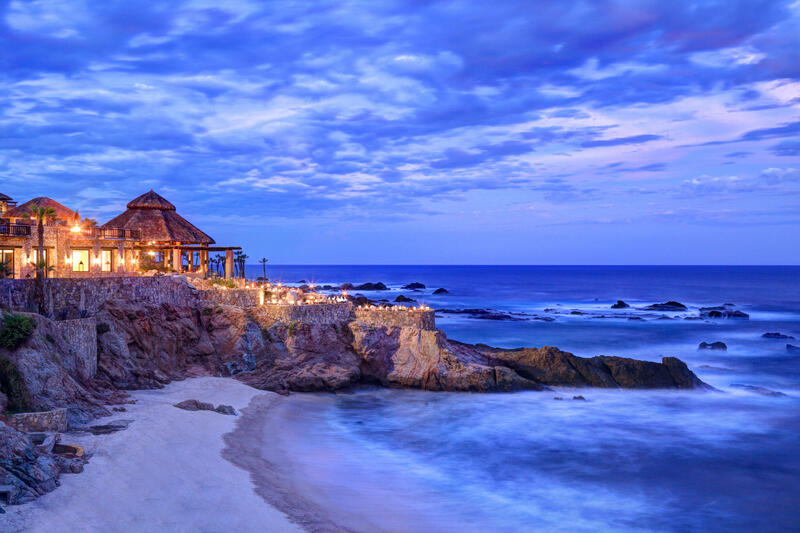 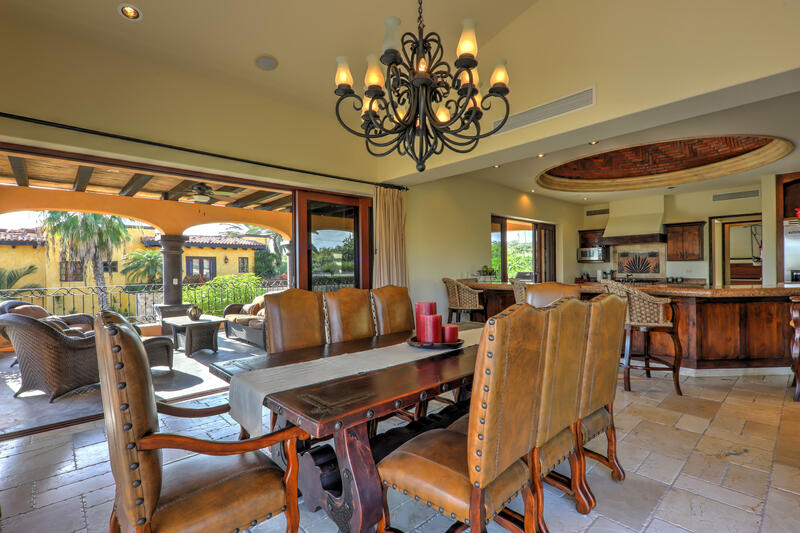 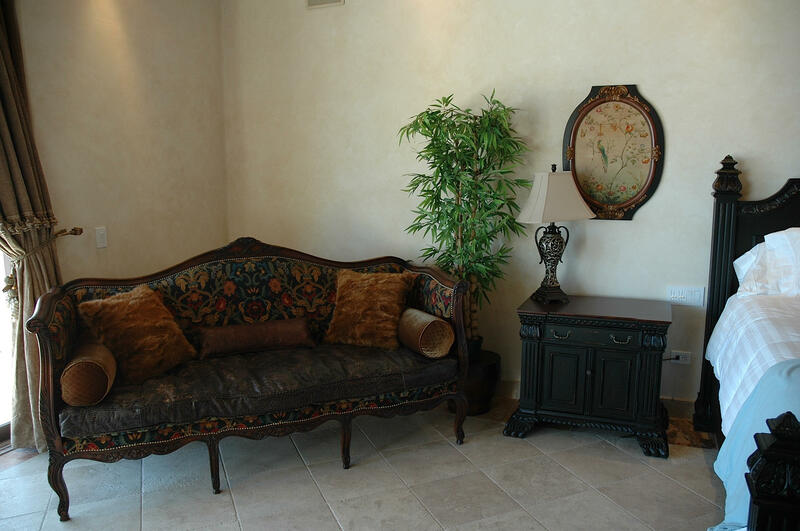 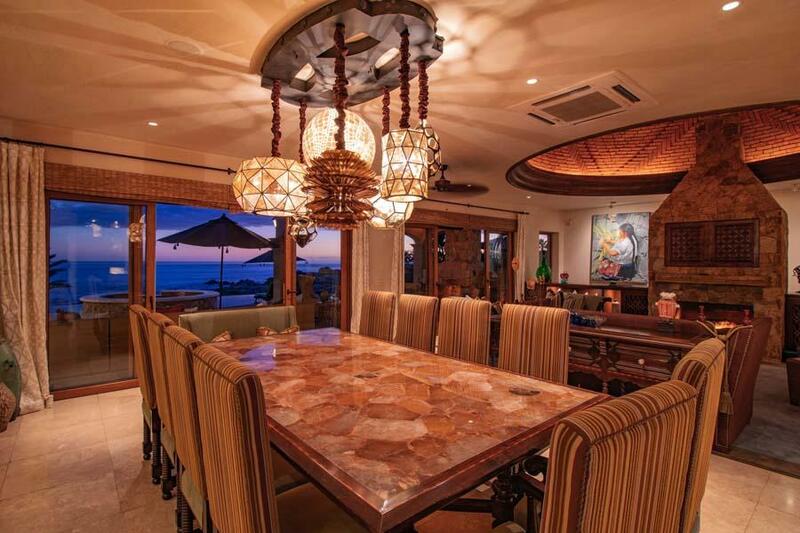 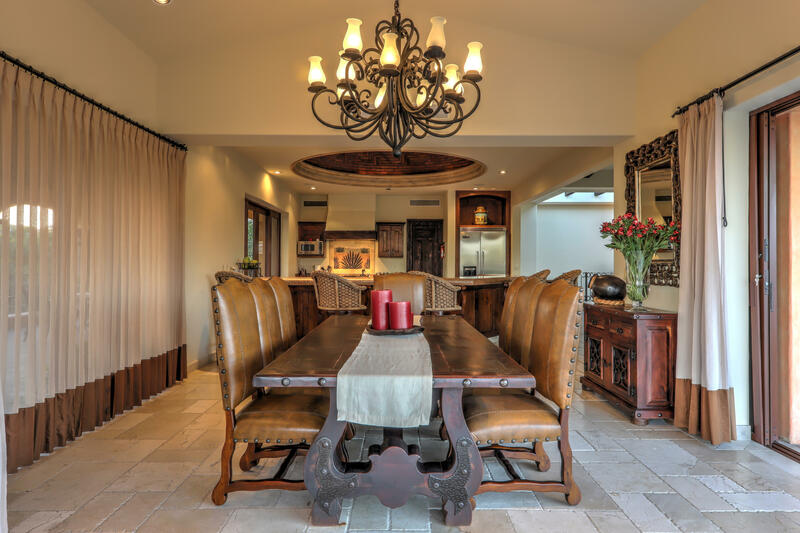 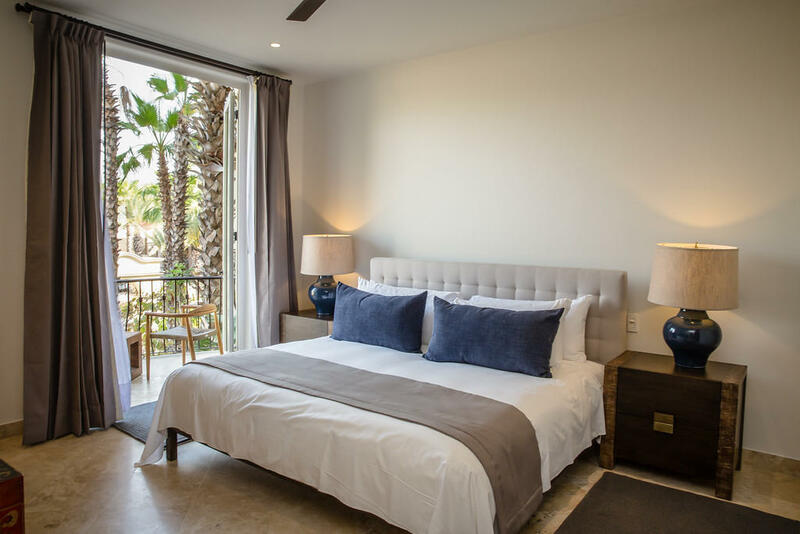 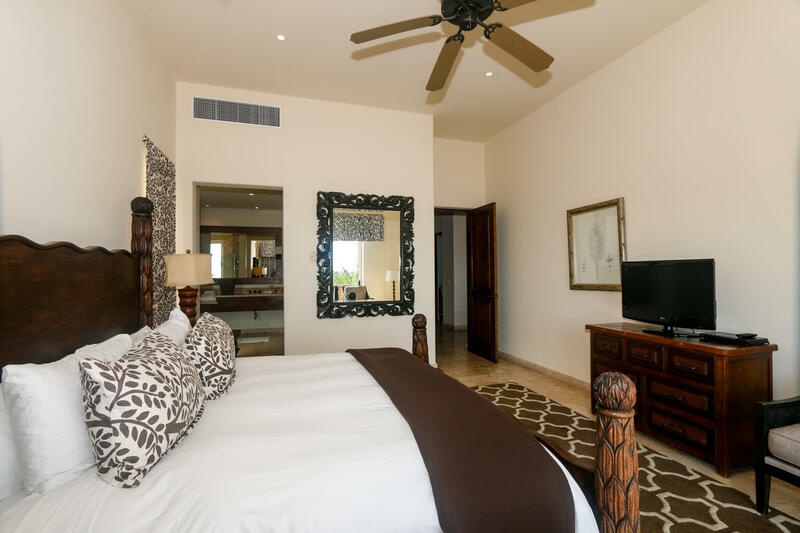 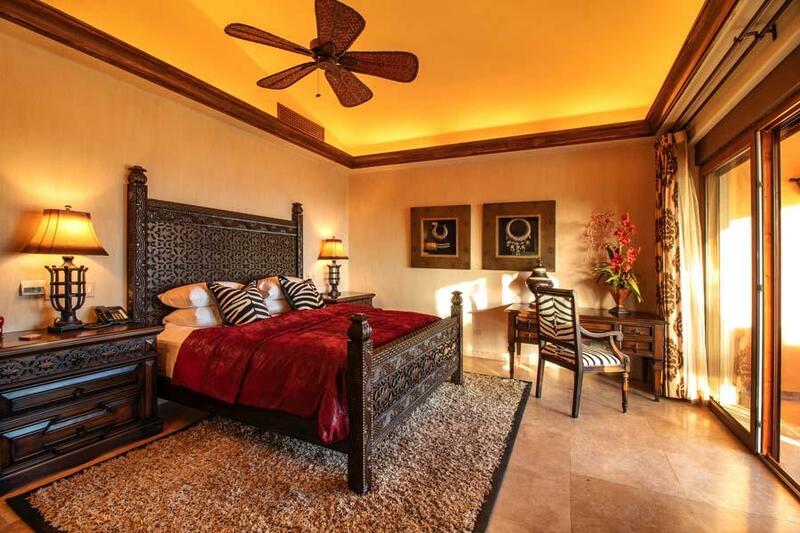 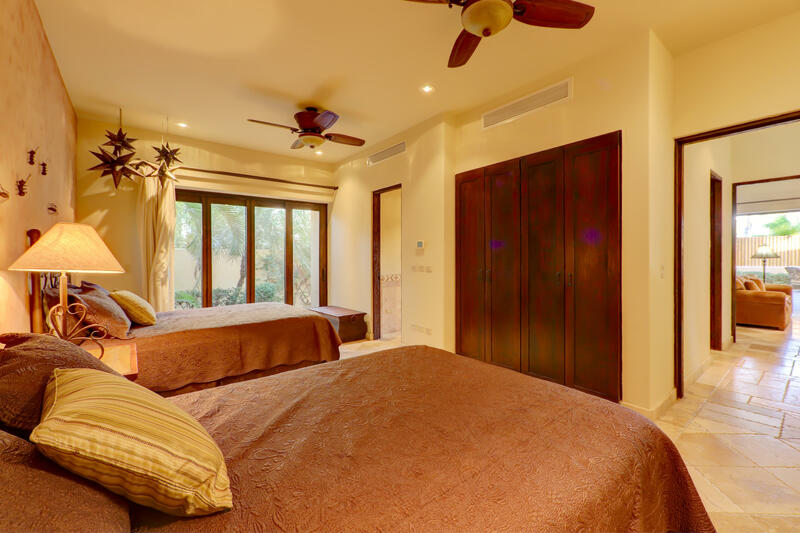 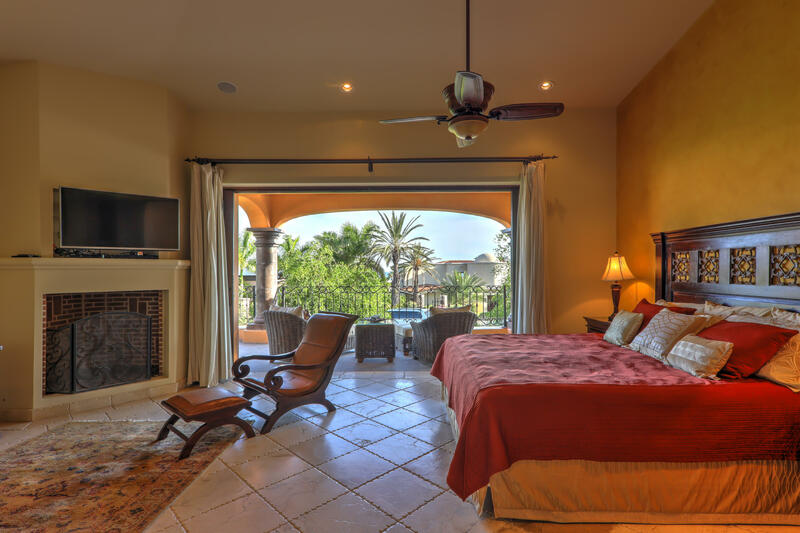 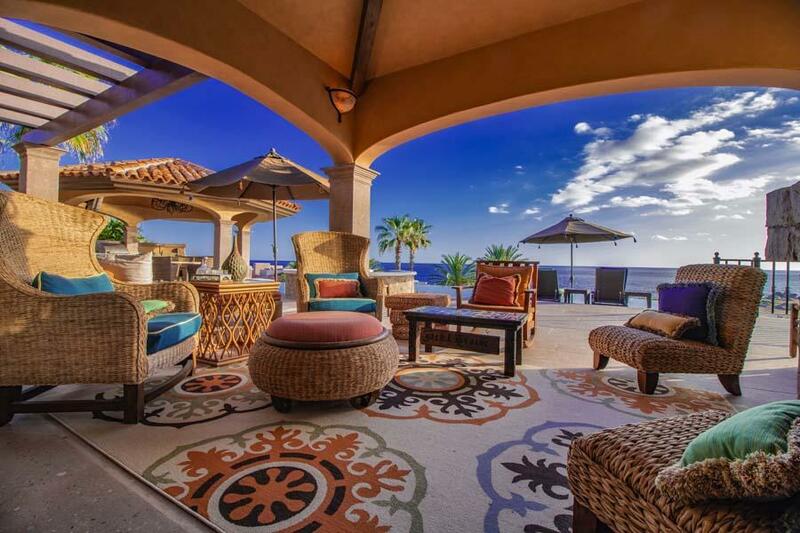 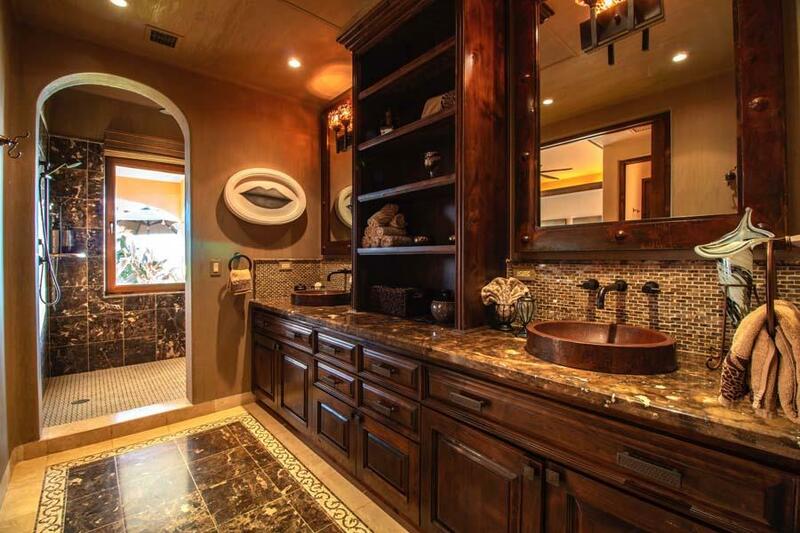 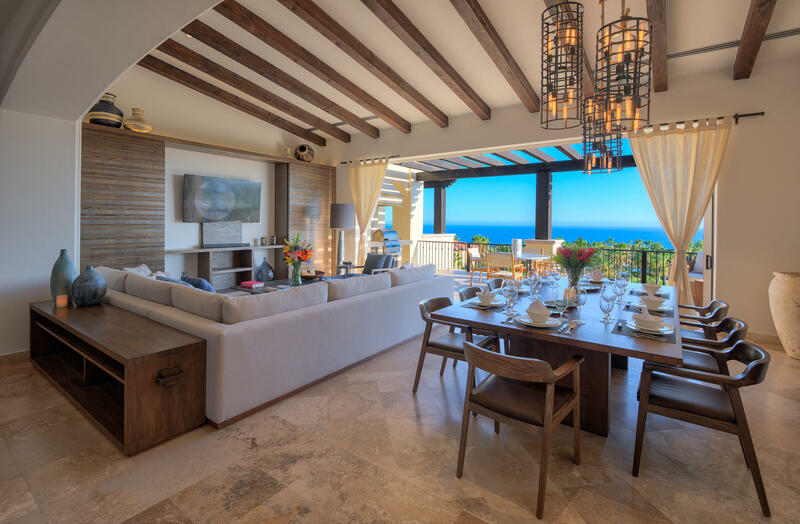 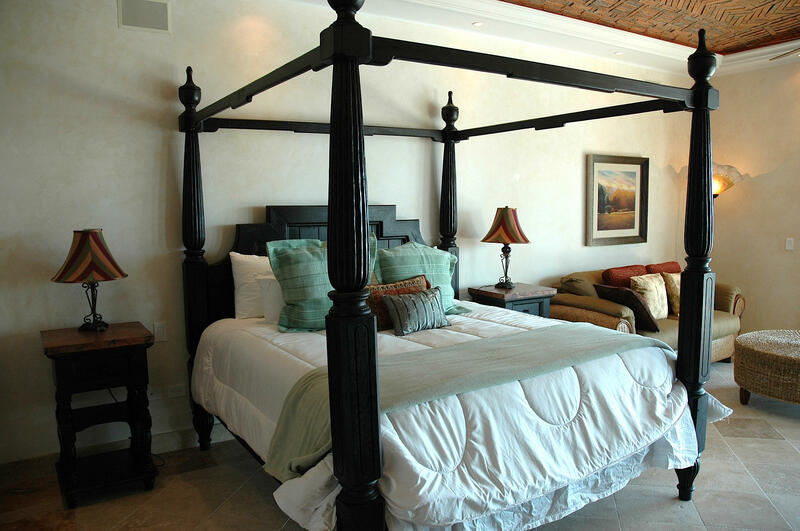 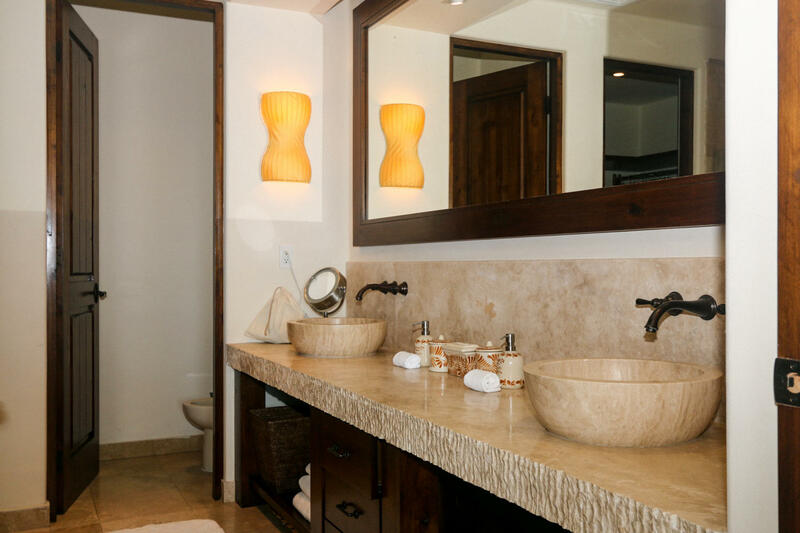 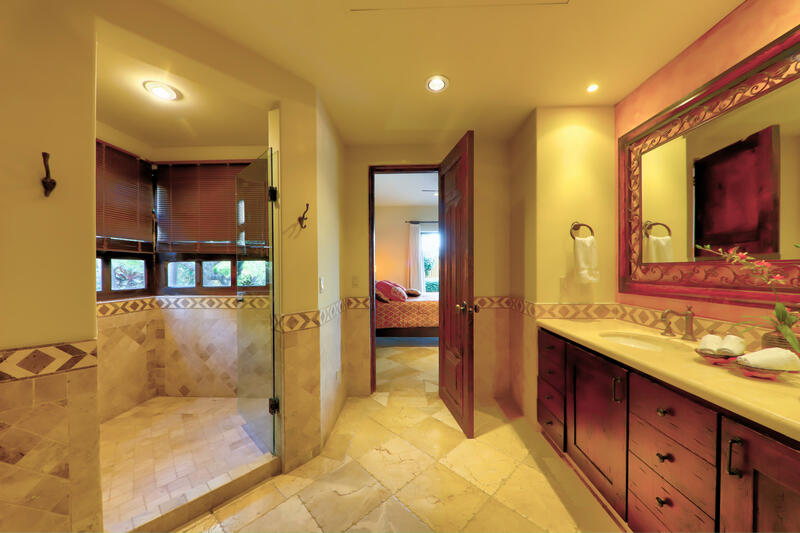 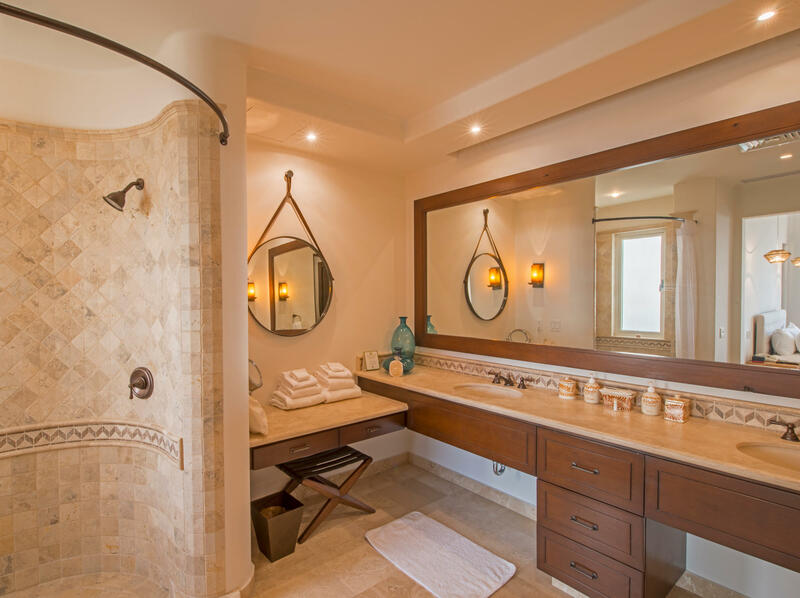 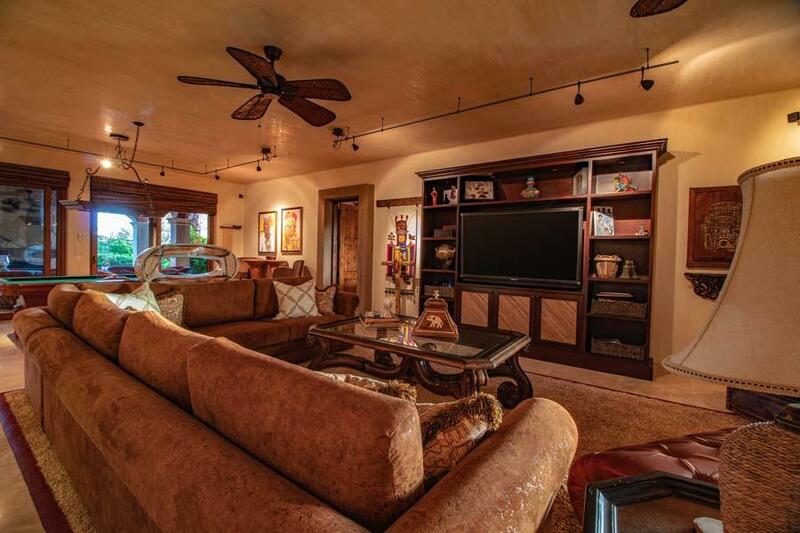 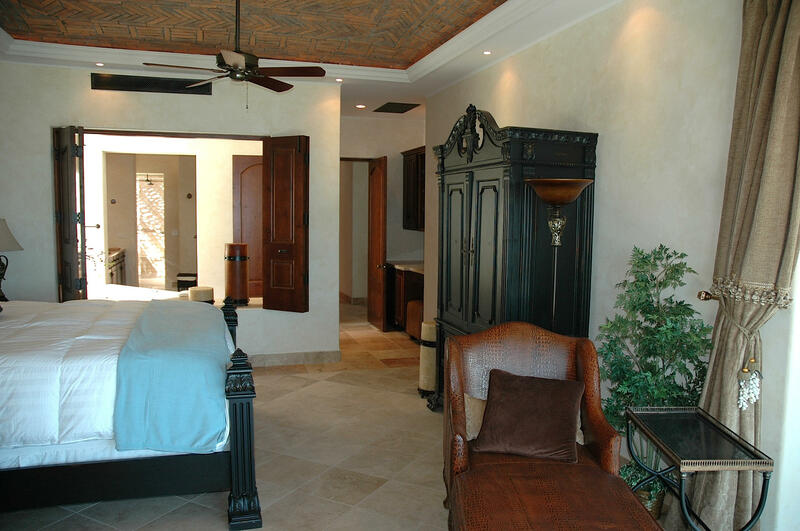 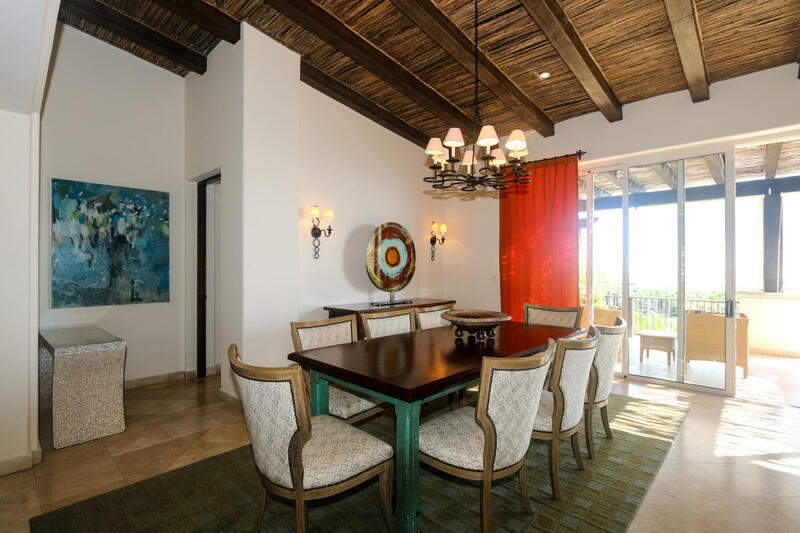 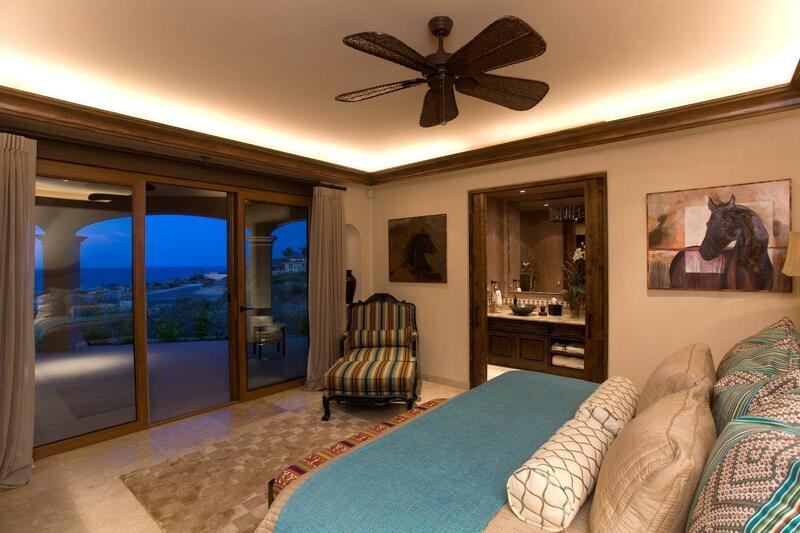 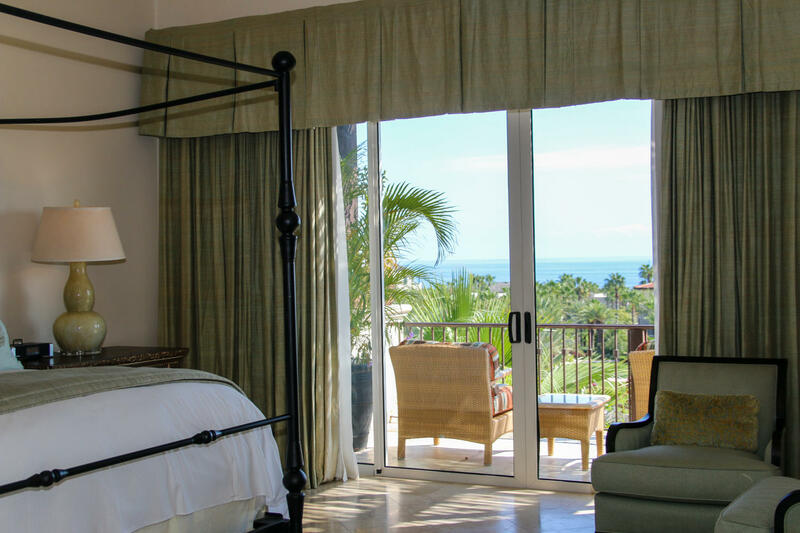 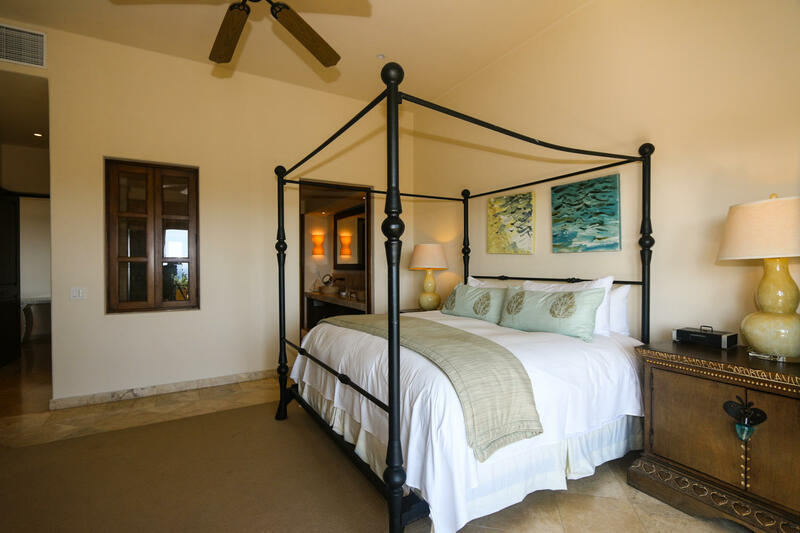 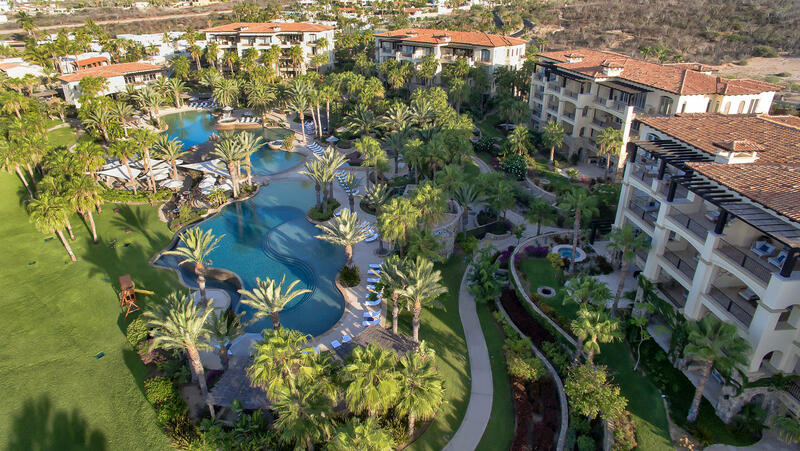 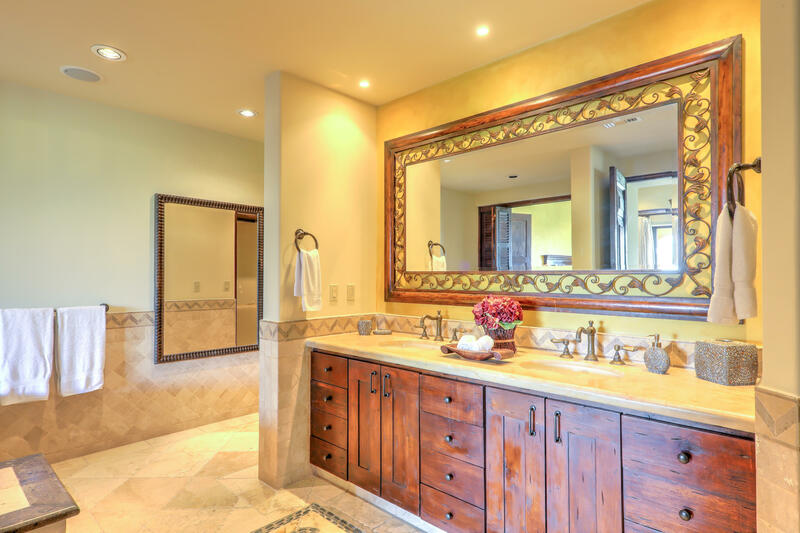 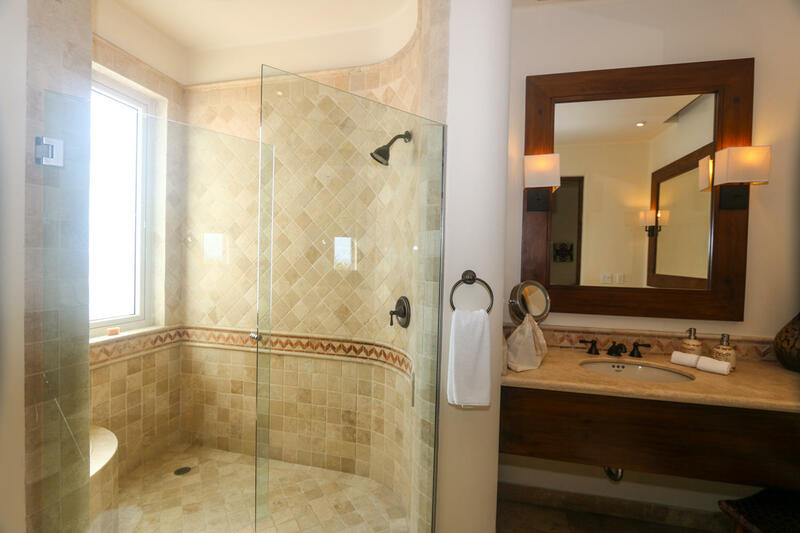 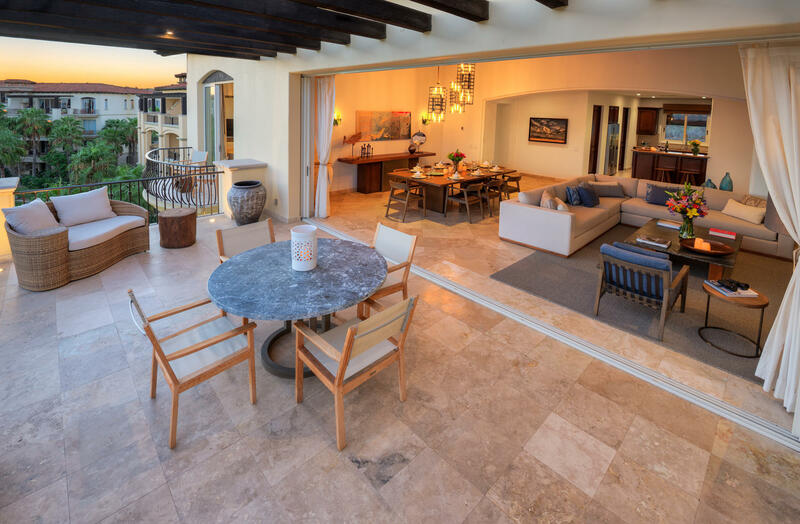 Lush furnishings, two car garage, extra storage, access to the private Punta Ballena Beach Club, tennis courts, walking paths, the Spa at Esperanza, elegant and casual dining and all the exciting nightlife of Cabo San Lucas. Description: Esperanza's Private Residences is proud to offer this spectacular garden level residence. 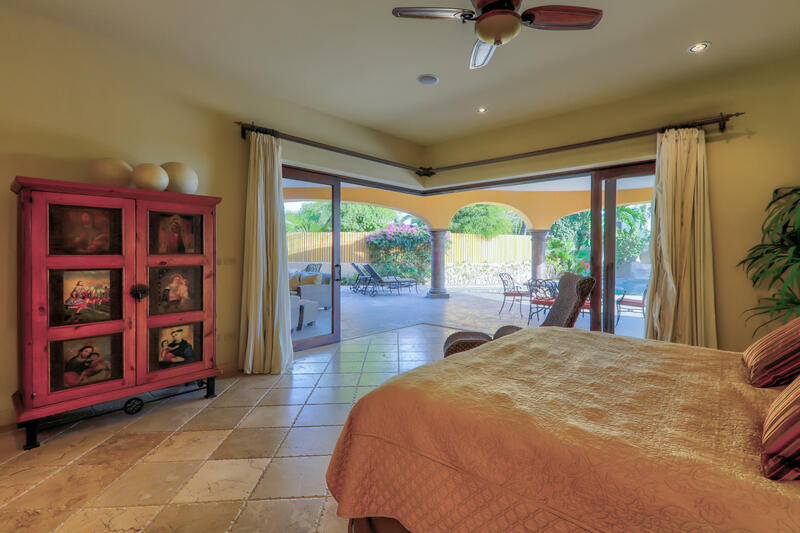 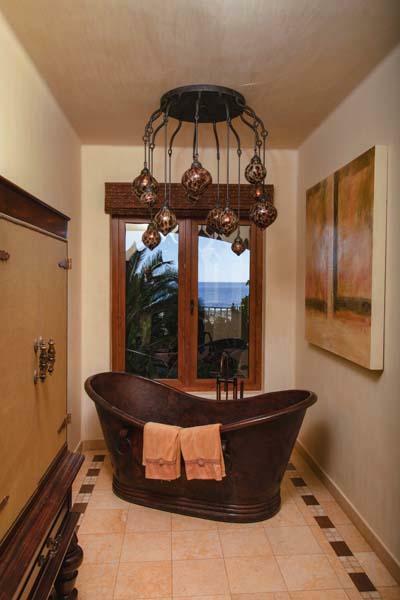 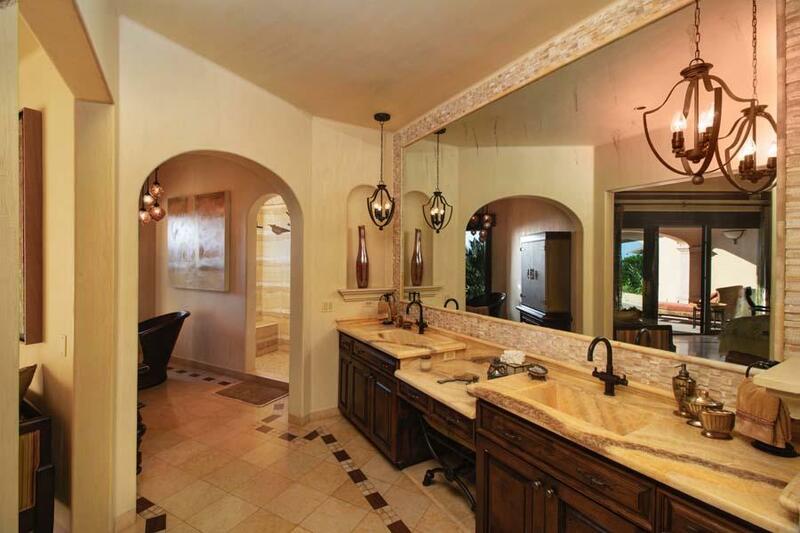 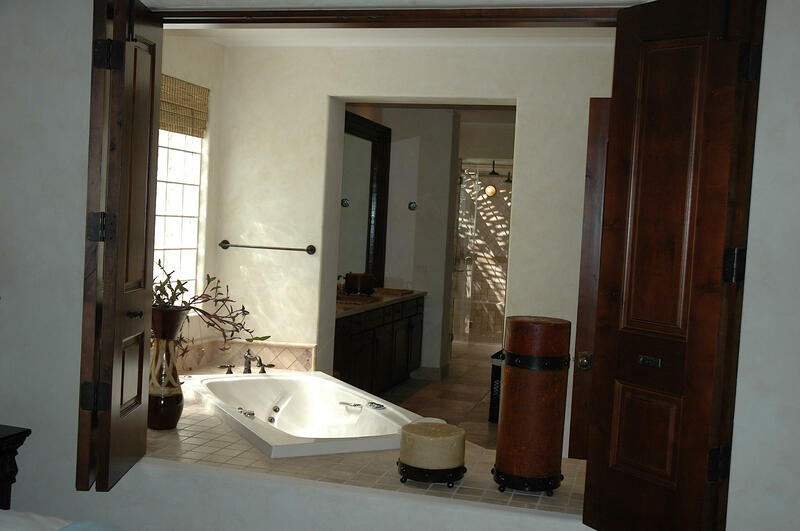 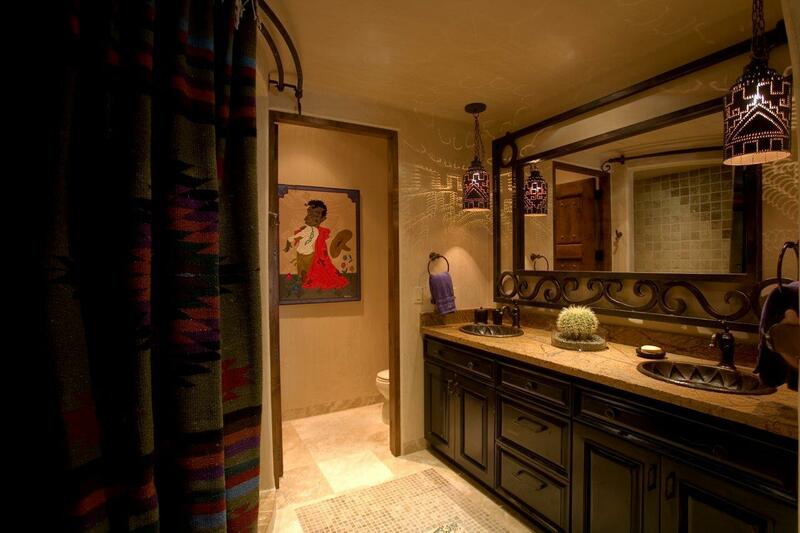 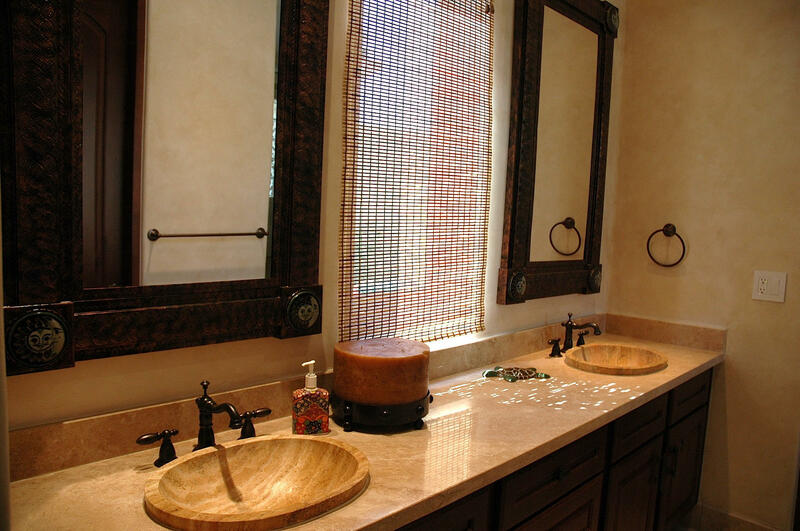 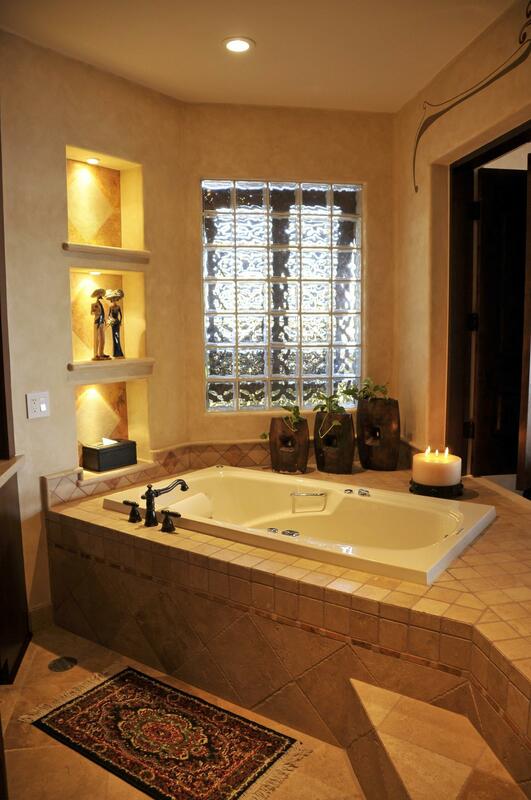 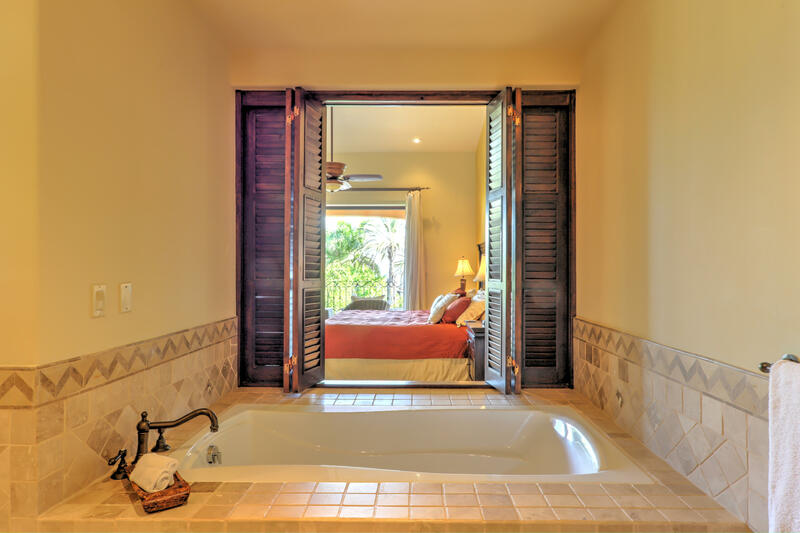 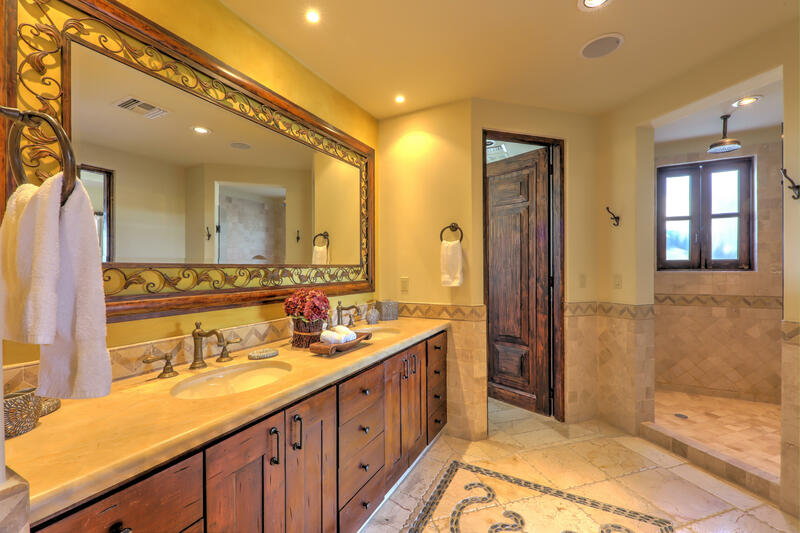 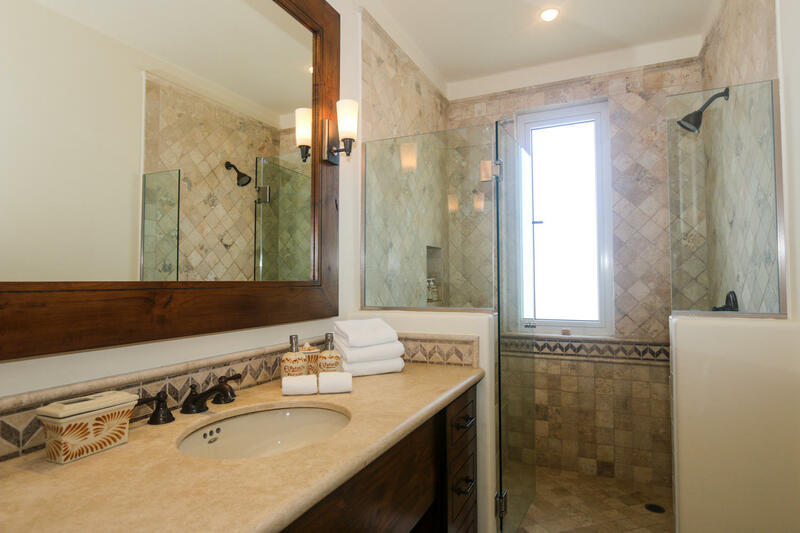 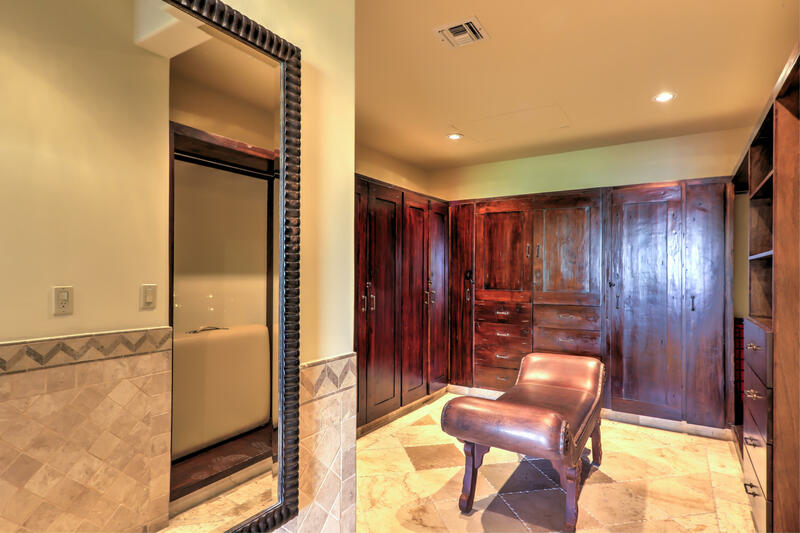 Large sliding pocket doors open up to a beautiful garden oasis and private jacuzzi. 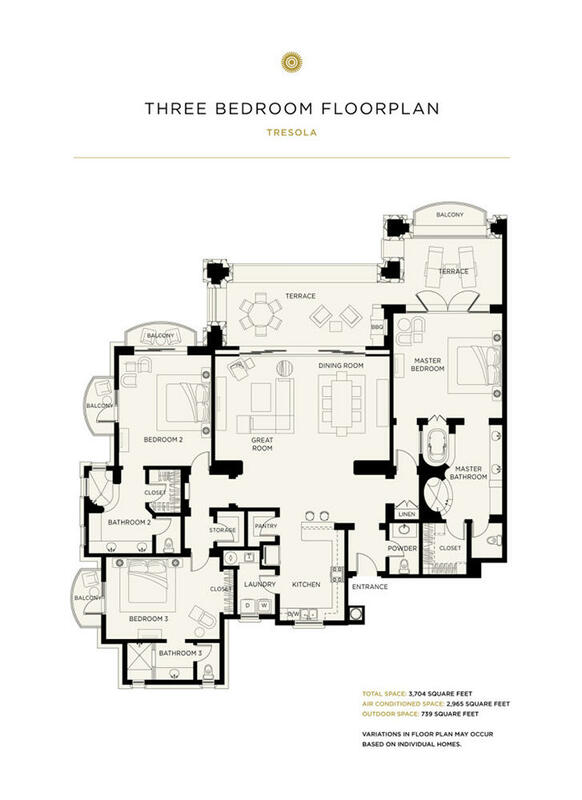 This beautiful 3 bedroom residence offers a spacious floor plan that lives like a home, and features lofty 12' beamed ceilings and comes fully equipped with GE Profile appliances. 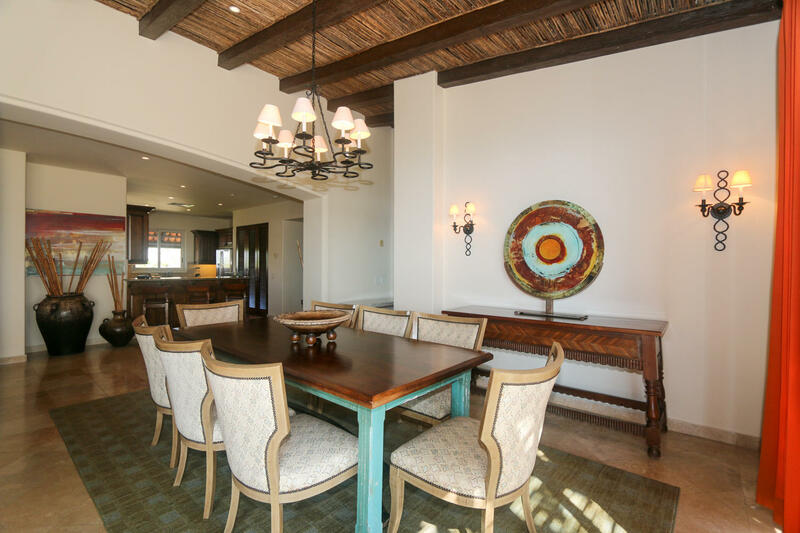 Enjoy high quality interior finishes and furnishings that are carefully selected to amplify the Esperanza experience and satisfy Auberge's high standards for comfort and quality. 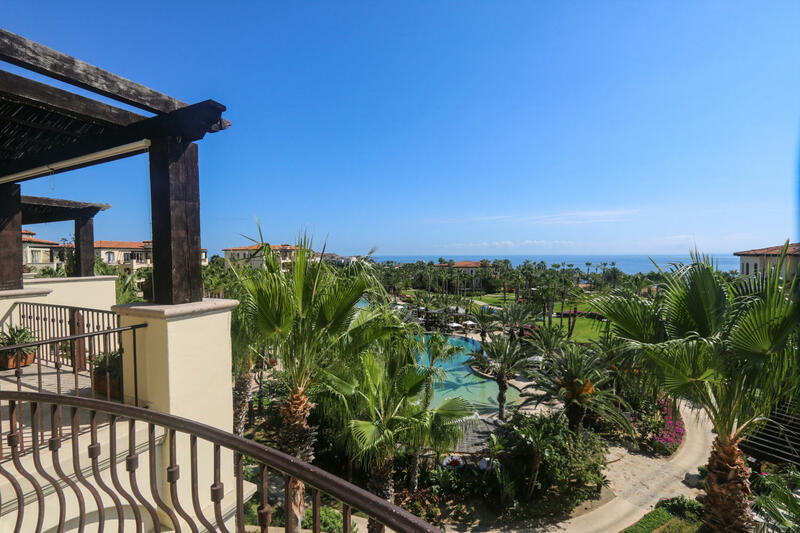 Rest assured knowing that completely everything is taken care of by Auberge's team of experts, this condo is 100% turn key and includes all of the amenities, services and privileges that Esperanza is renowned for. 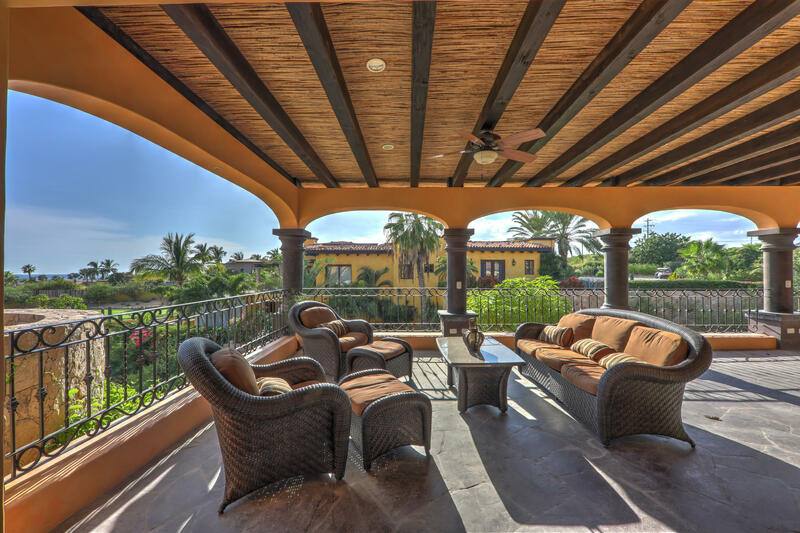 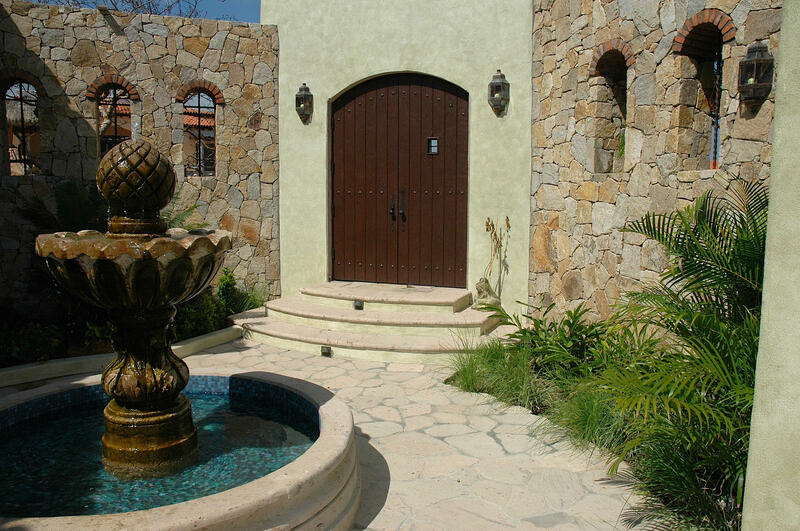 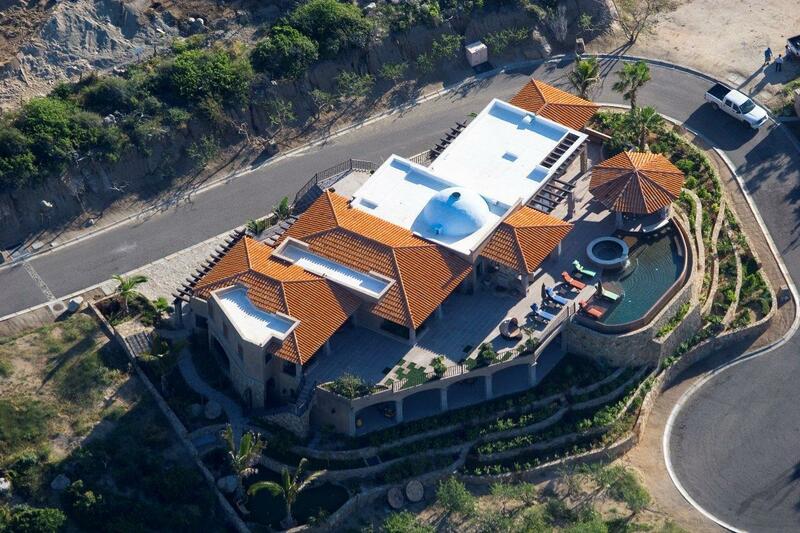 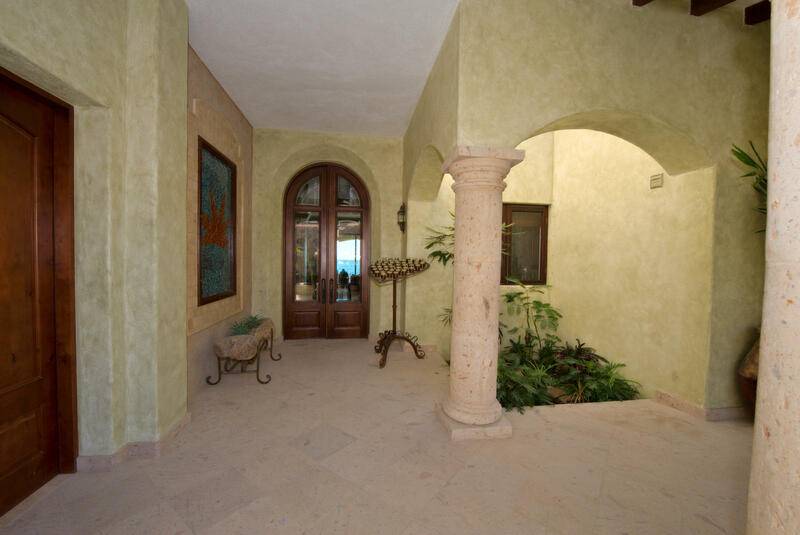 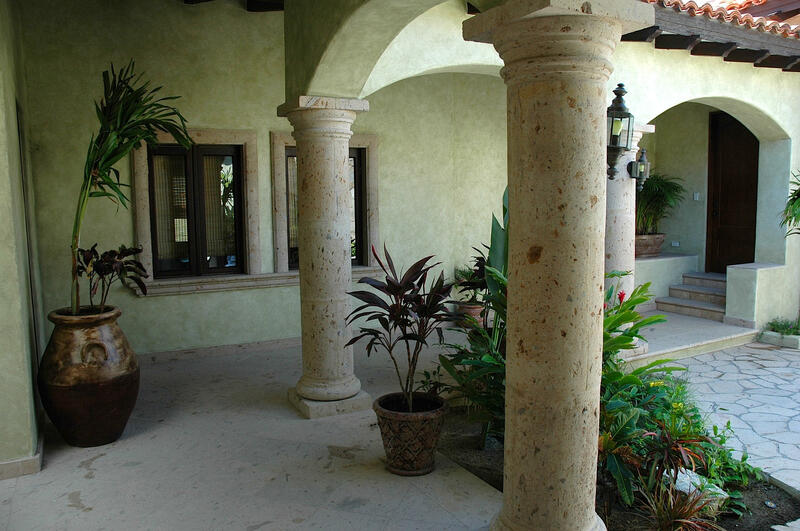 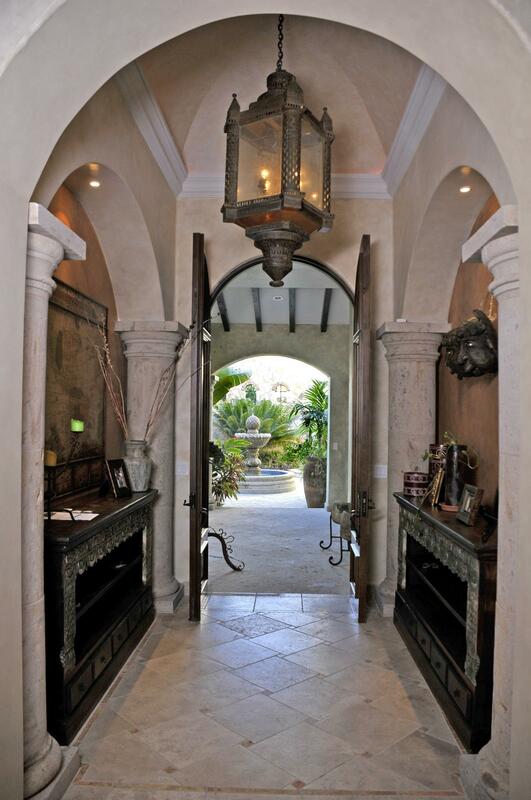 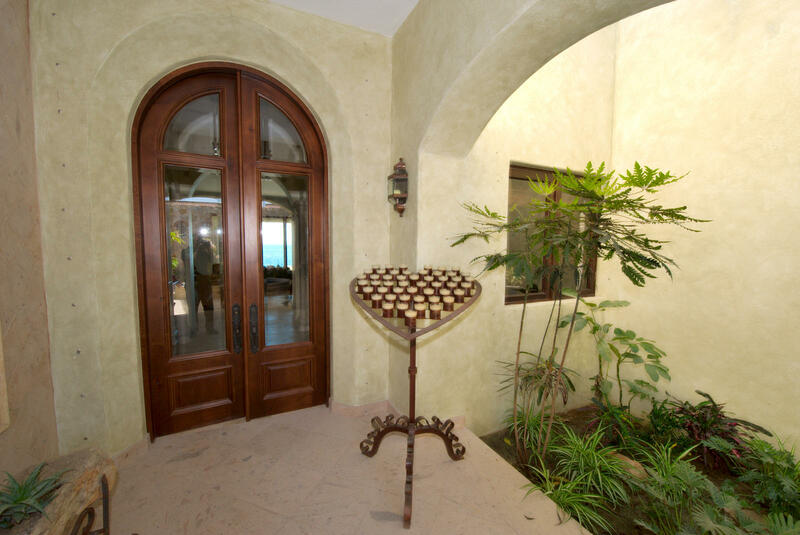 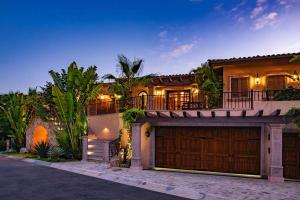 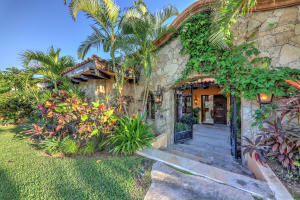 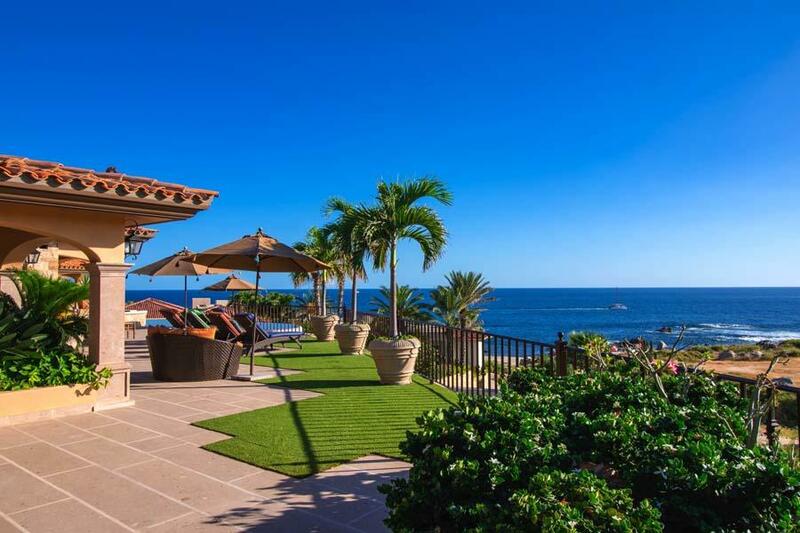 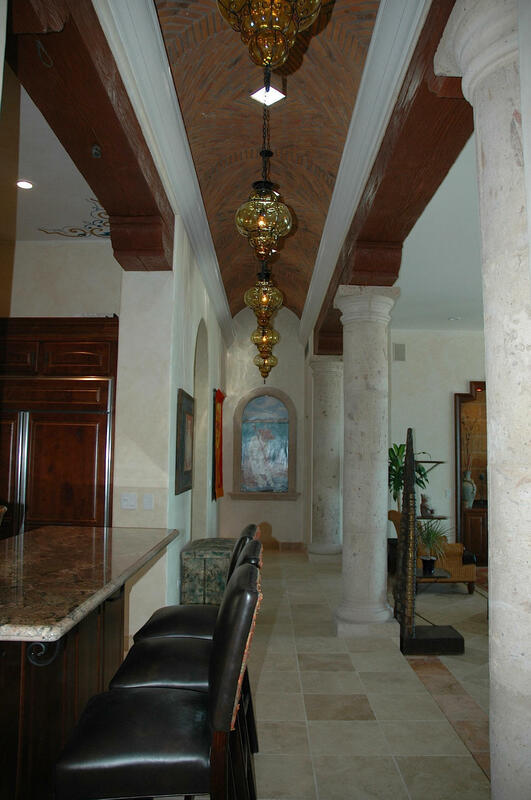 Description: Esperanza's Private Residences is proud to offer this spectacular second floor residence. 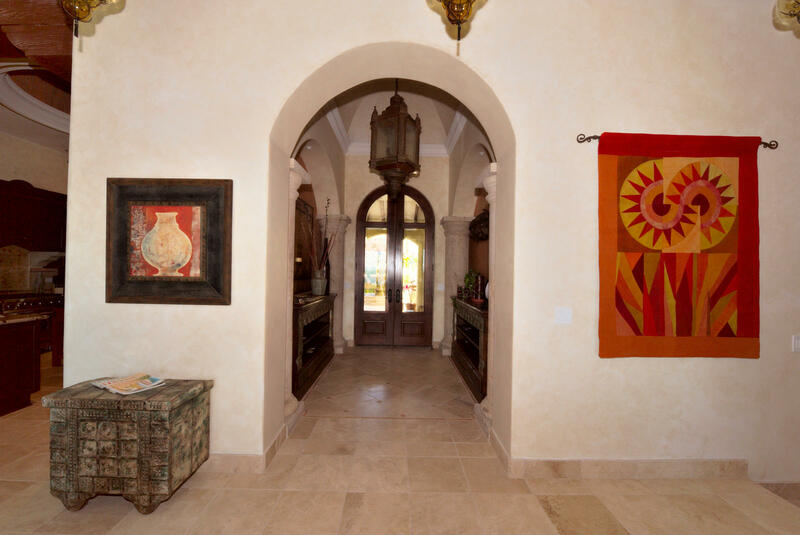 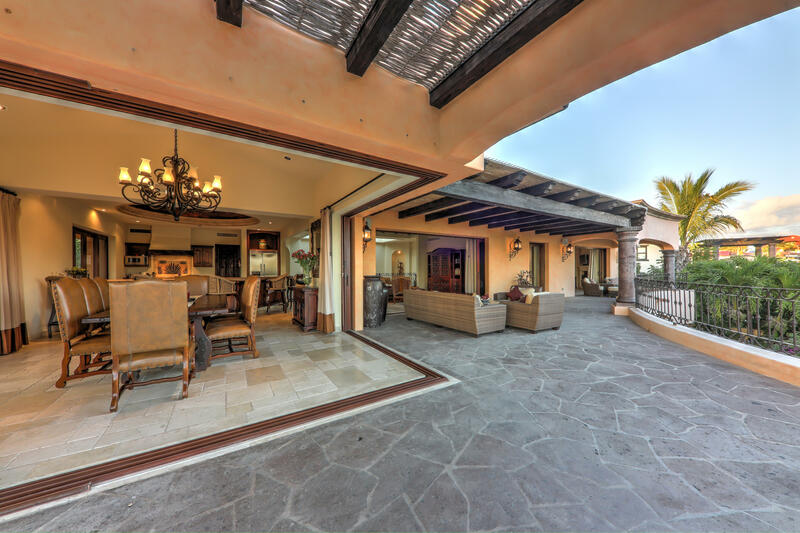 Large sliding pocket doors open up to an expansive terrace that was designed to entertain. 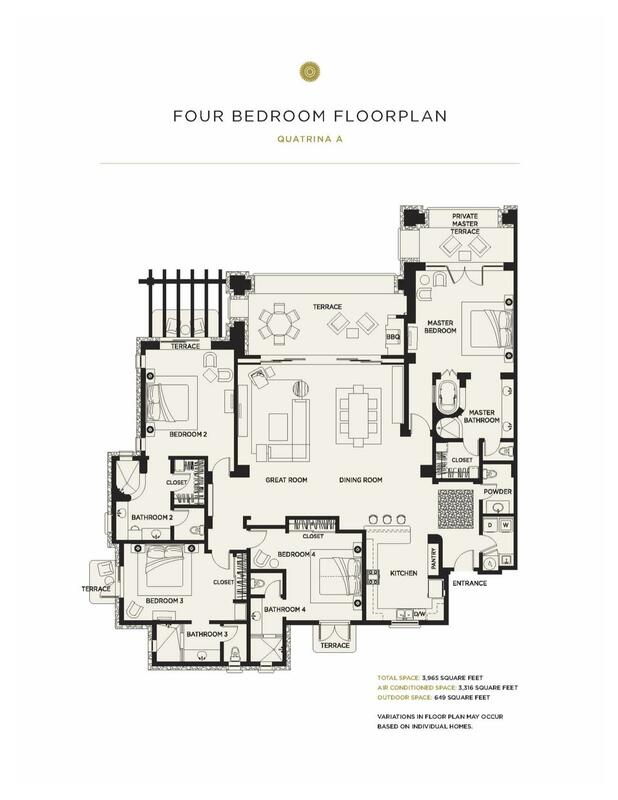 This beautiful 3 bedroom residence offers a spacious floor plan that lives like a home, and features lofty 12' beamed ceilings and comes fully equipped with GE Profile appliances. 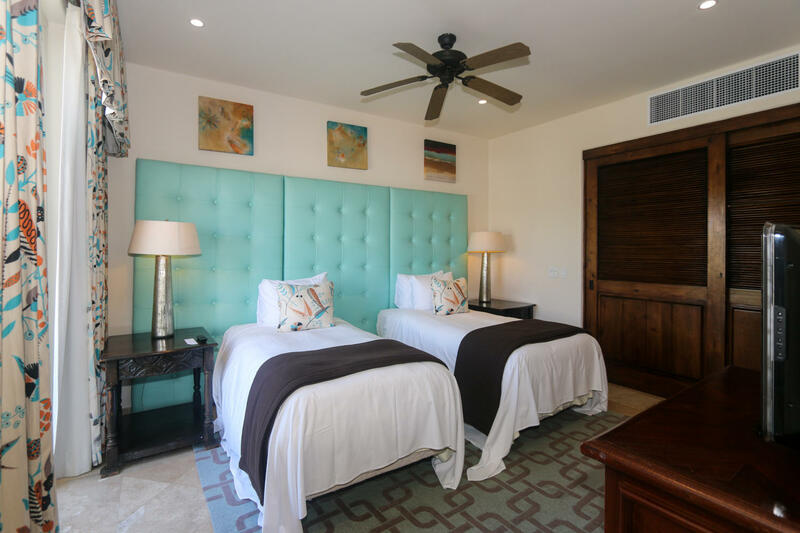 Enjoy high quality interior finishes and furnishings that are carefully selected to amplify the Esperanza experience and satisfy Auberge's high standards for comfort and quality. 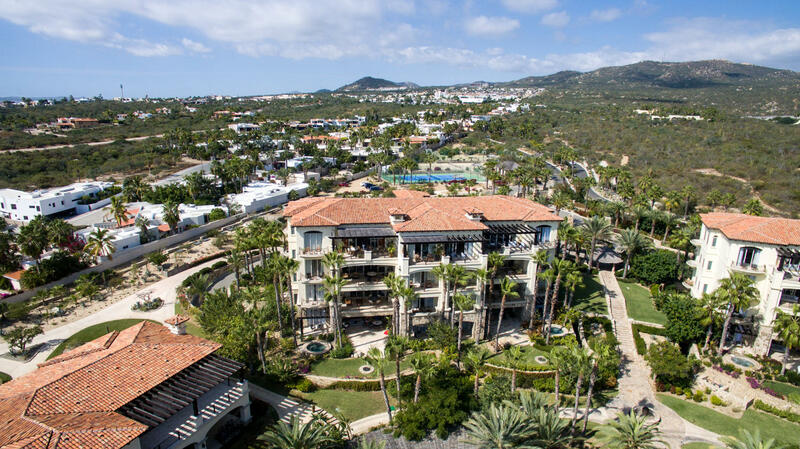 Rest assured knowing that completely everything is taken care of by Auberge's team of experts, this condo is 100% turn key and includes all of the amenities, services and privileges that Esperanza is renowned for. 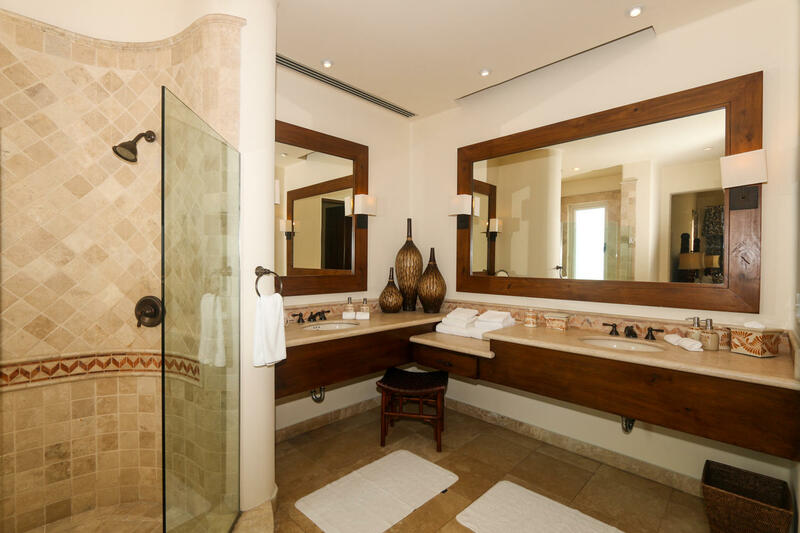 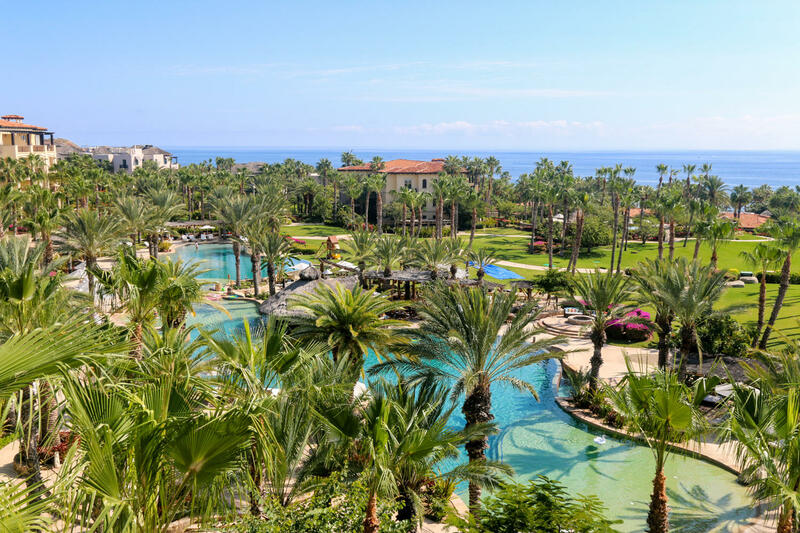 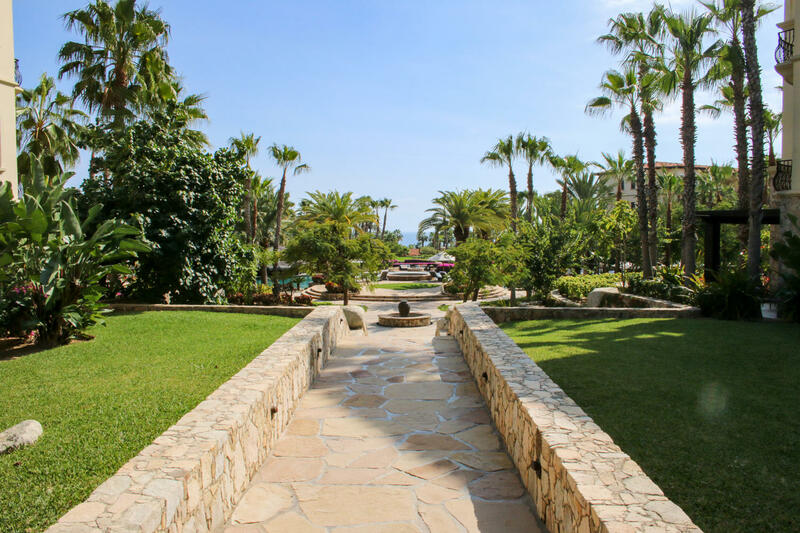 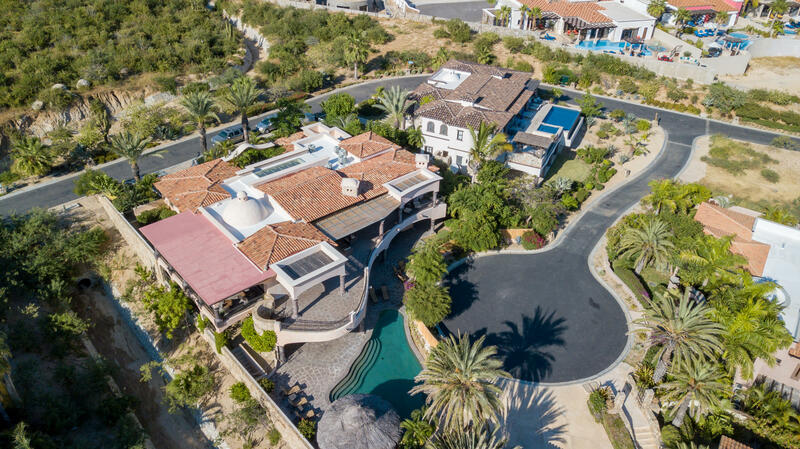 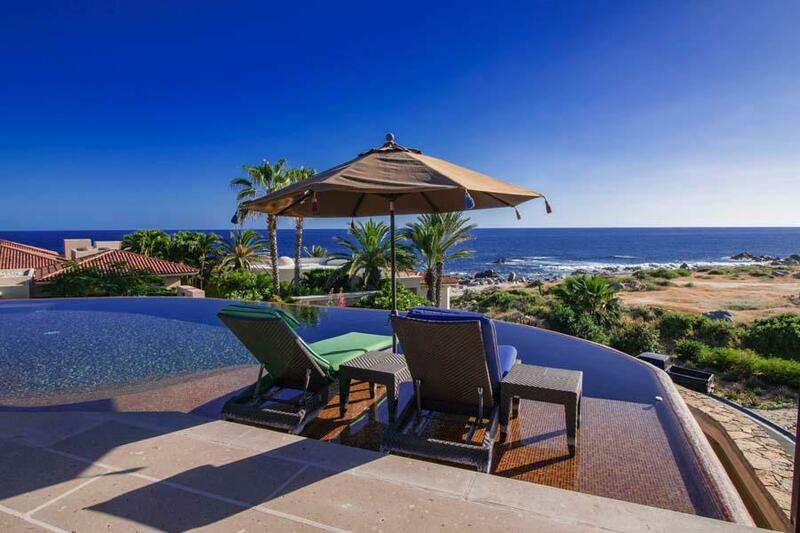 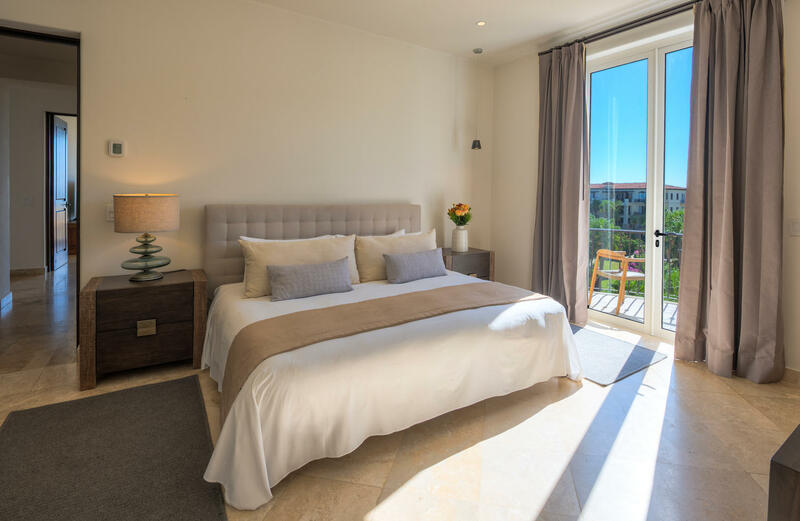 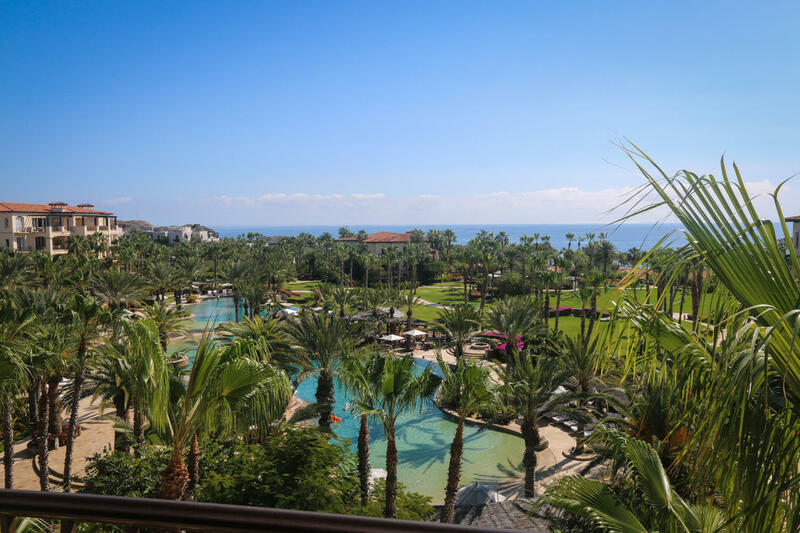 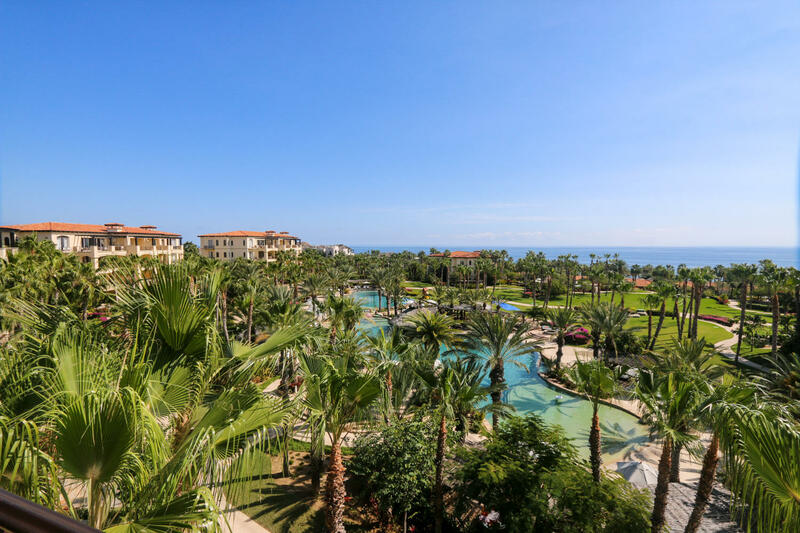 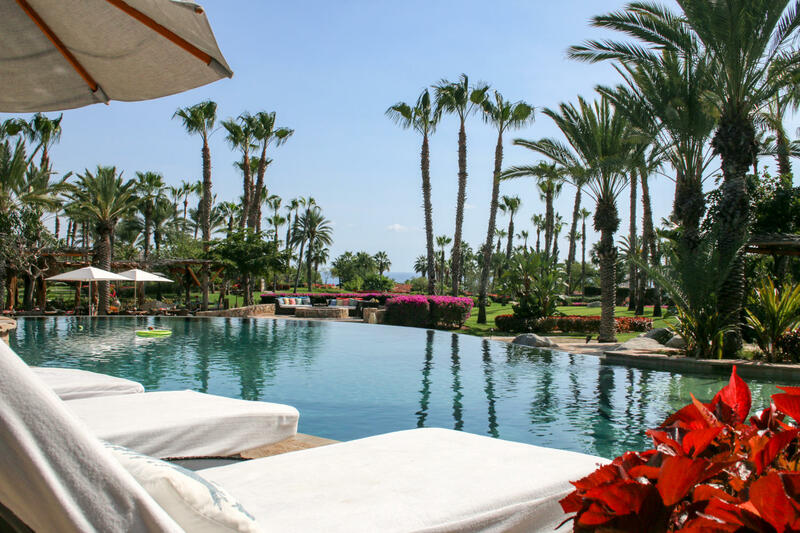 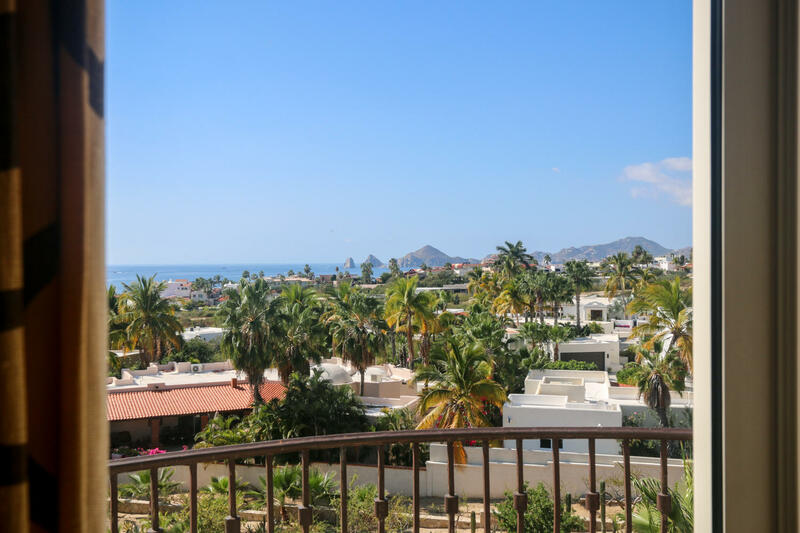 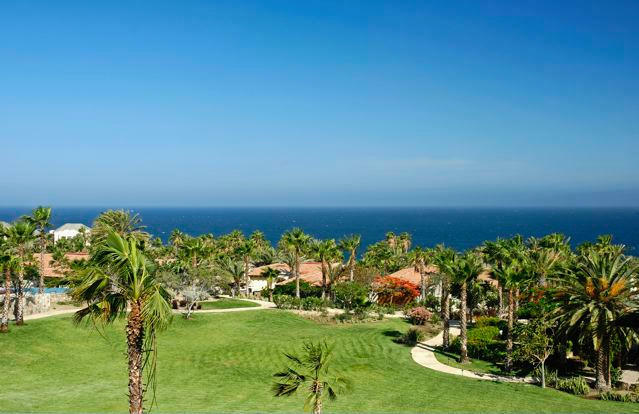 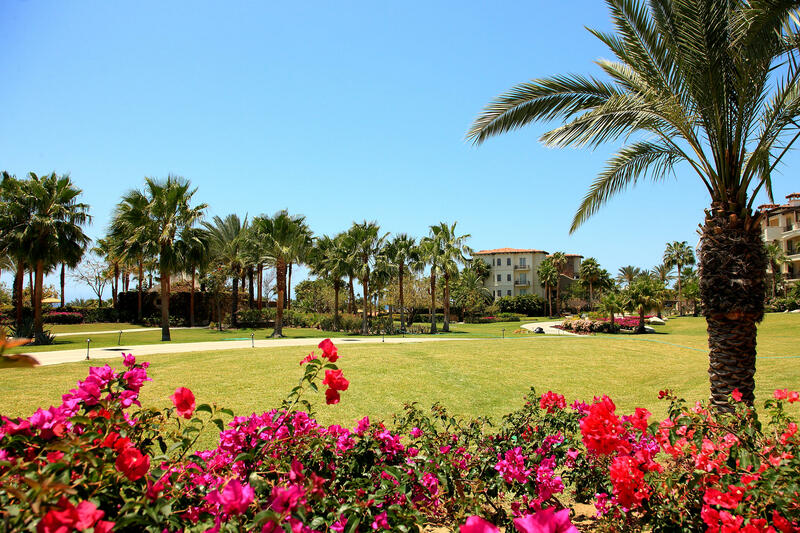 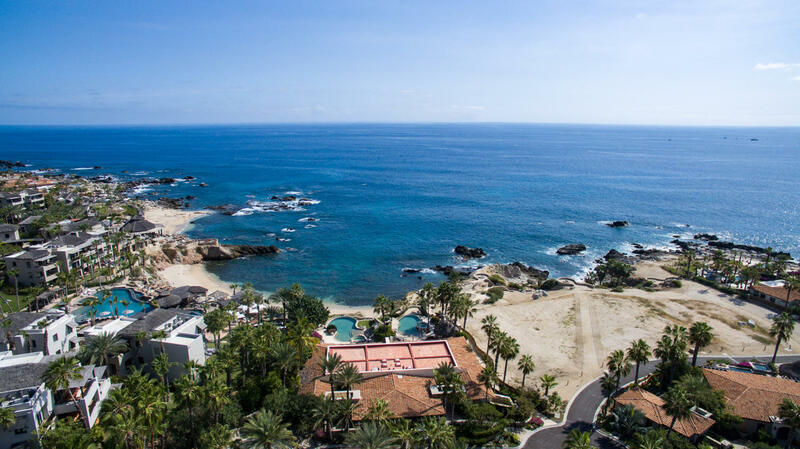 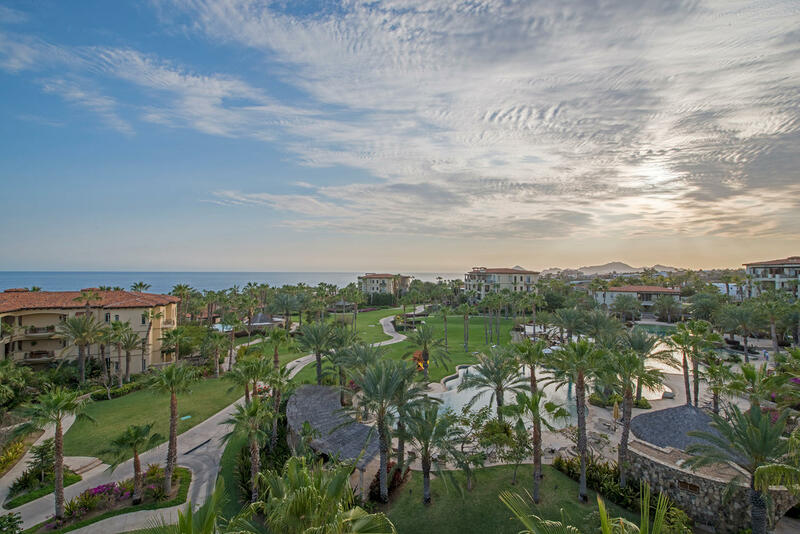 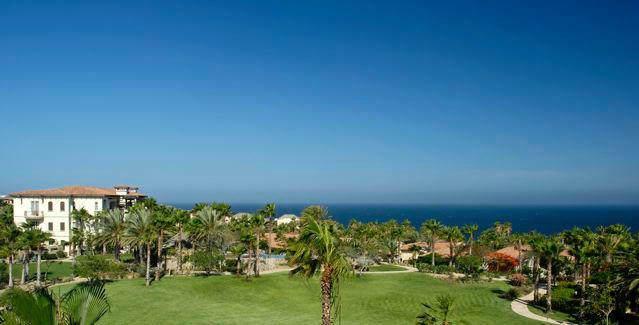 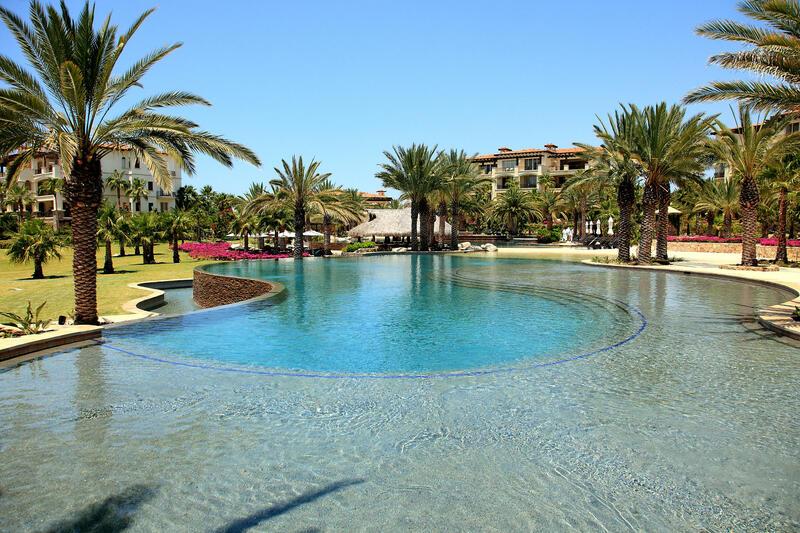 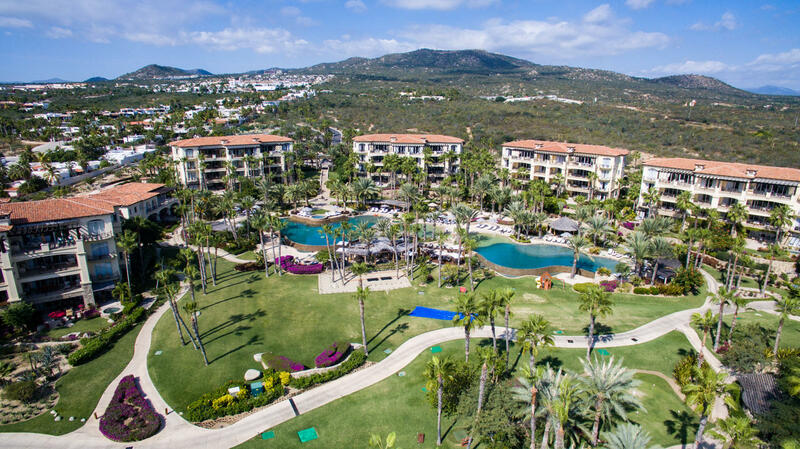 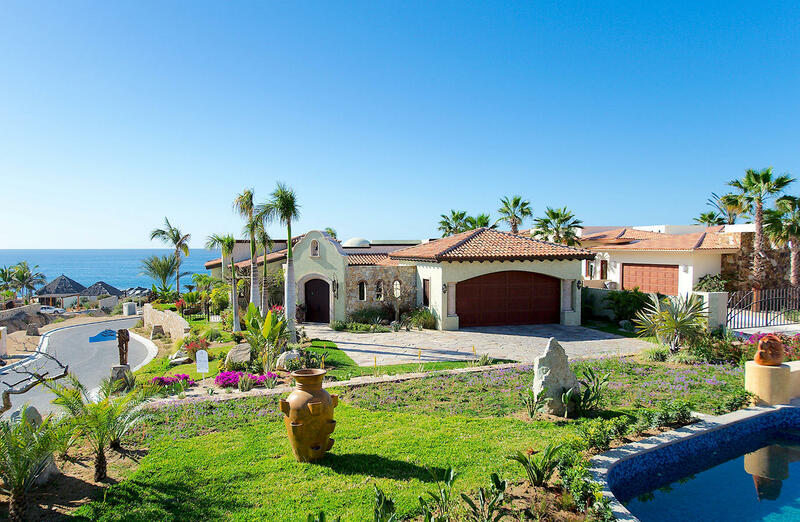 Description: La Residencia is located in one of the most private and exclusive residential communities in Los Cabos, Punta Ballena is known for having the most beautiful sense of arrival and a phenominal variety of amenities. 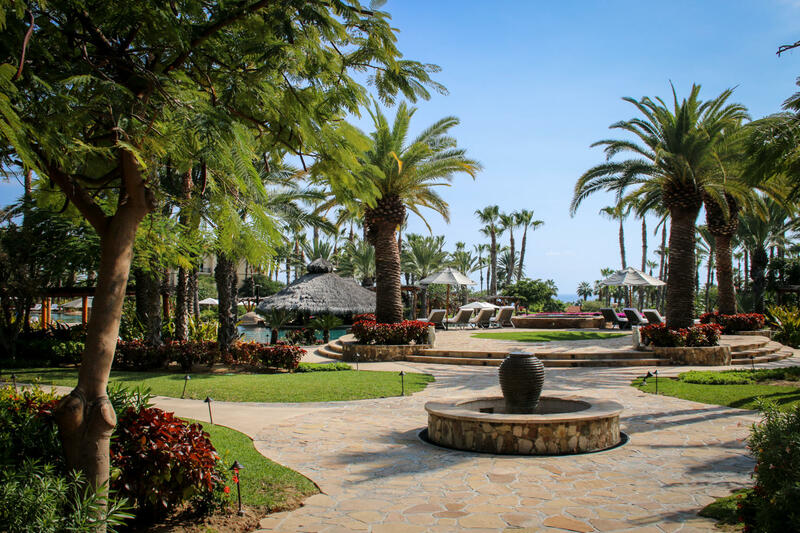 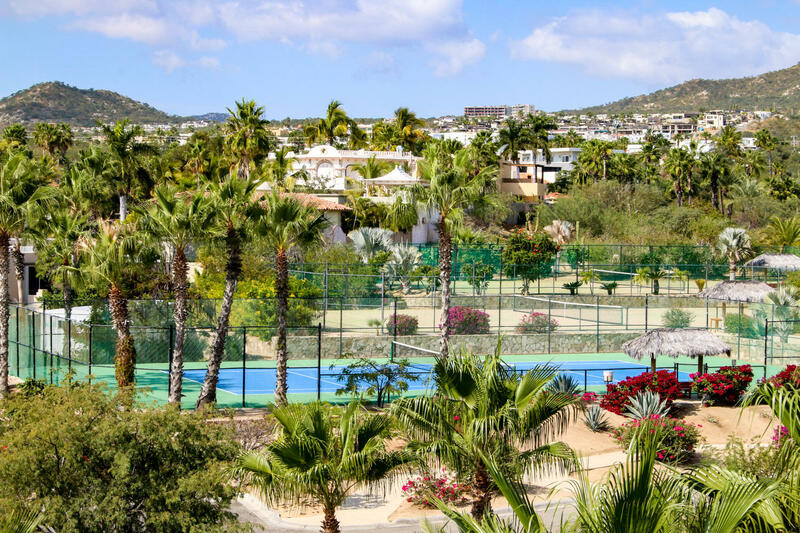 With more than two miles of walking paths, private tennis courts and an exclusive residents only beach club, Punta Ballena is the ultimate luxury living. 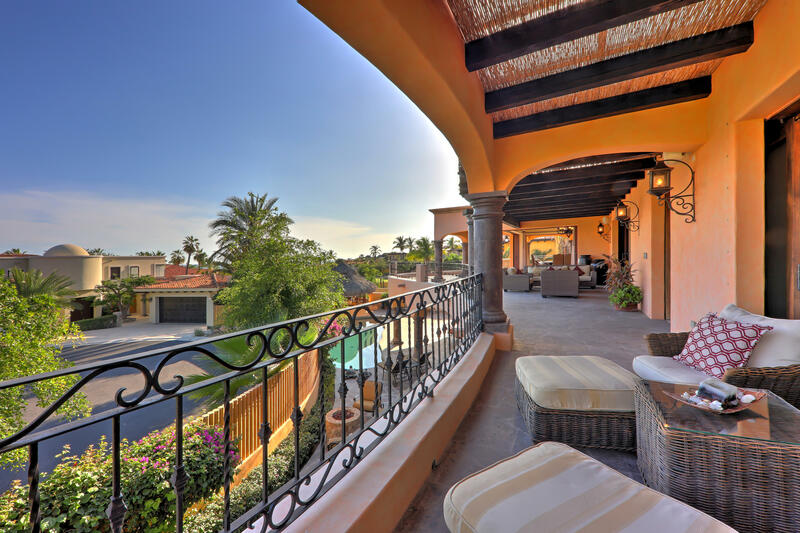 Enjoy ocean views and indoor/outdoor living as this two-story home opens to an expansive upper terrace. 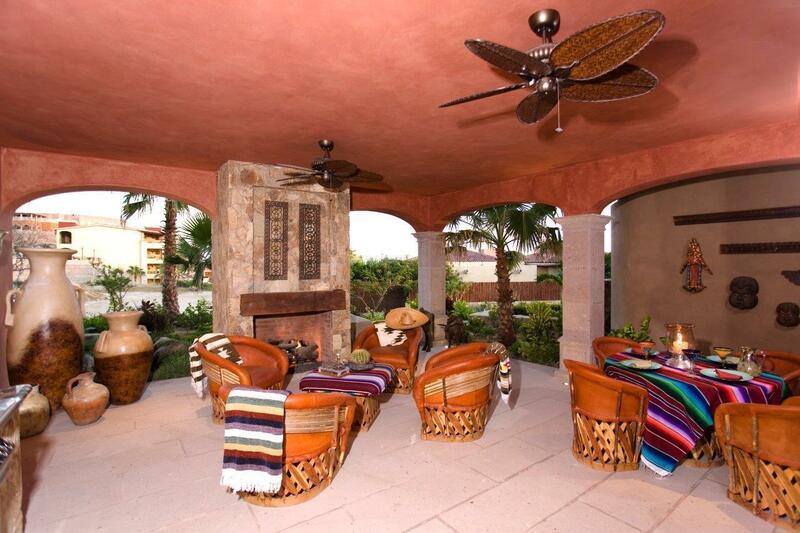 This home is perfect for outdoor entertaining as it features a large, 1,606.04 sq. 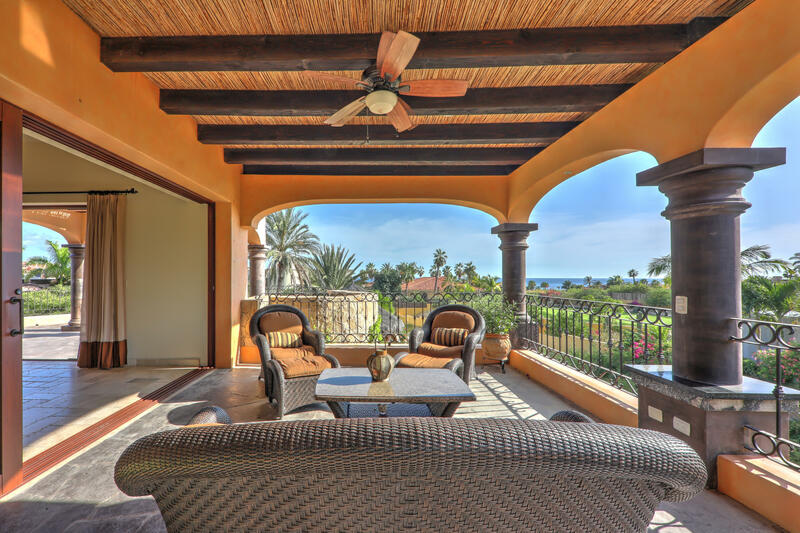 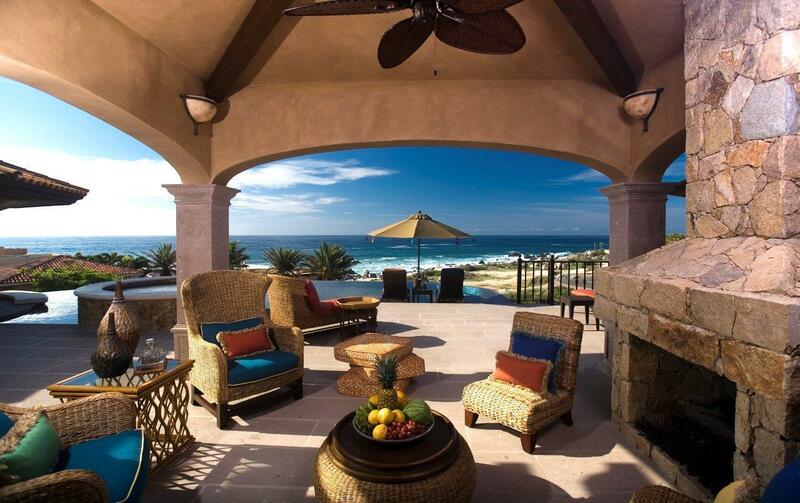 ft. patio, a private pool, and a palapa area with a built-in seating area and grill.Take delight in ocean views from this 5 bedroom, 5 bathroom home with 5,734.65 sq. 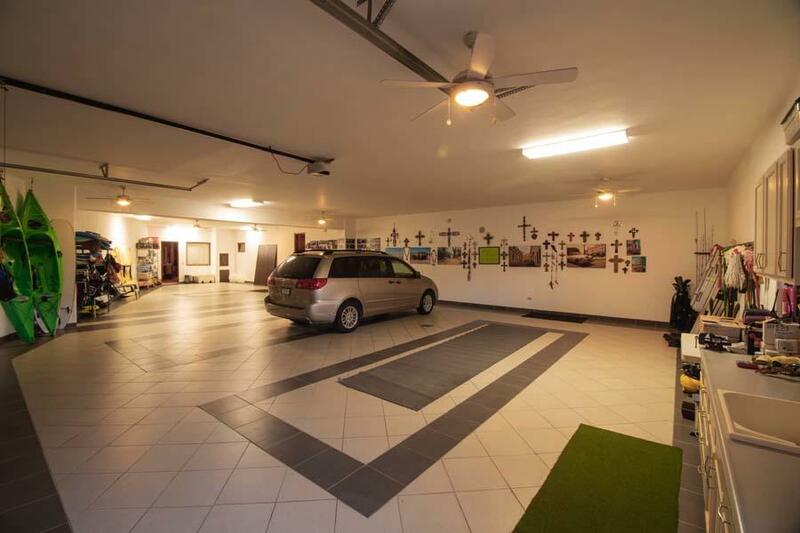 ft. of air conditioned living space. 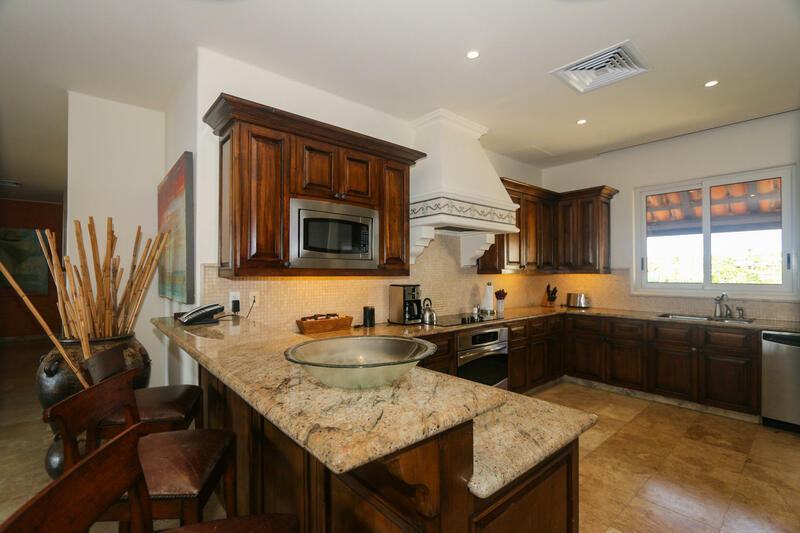 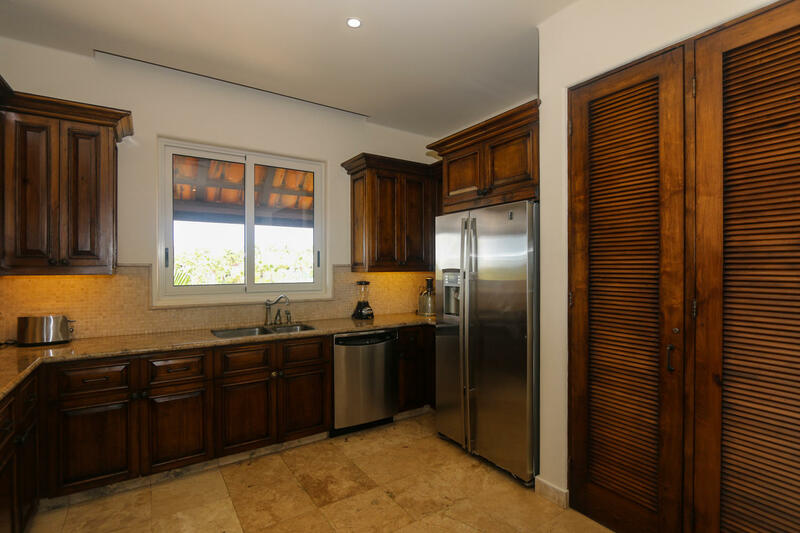 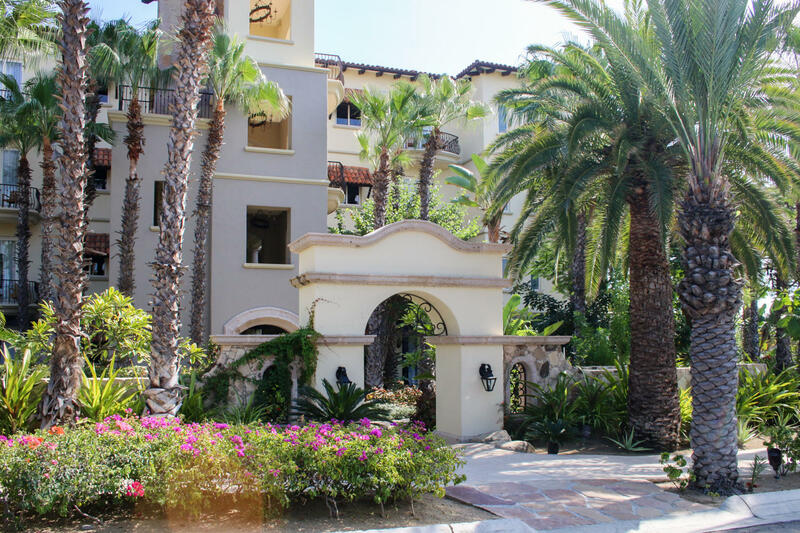 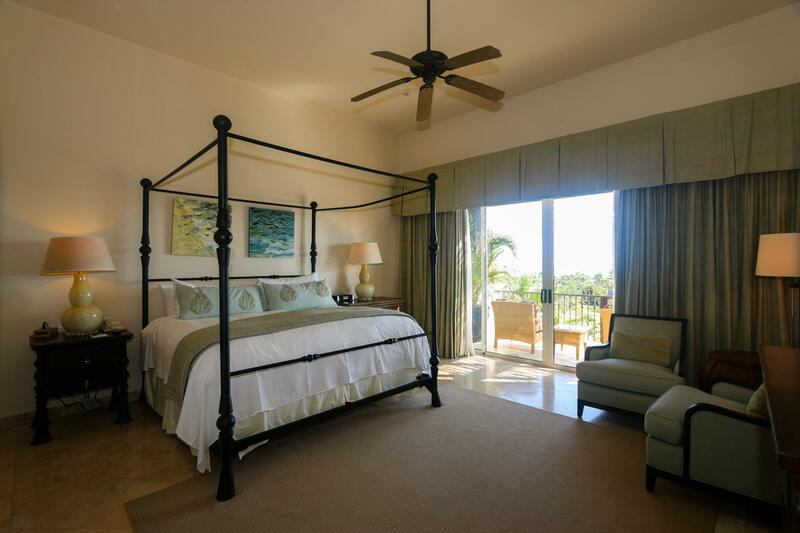 Description: This garden level, large 4 br/4.5 condo is truly a small luxury home with unparalleled amenities in the Exclusive Auberge Private Residences at Esperanza. 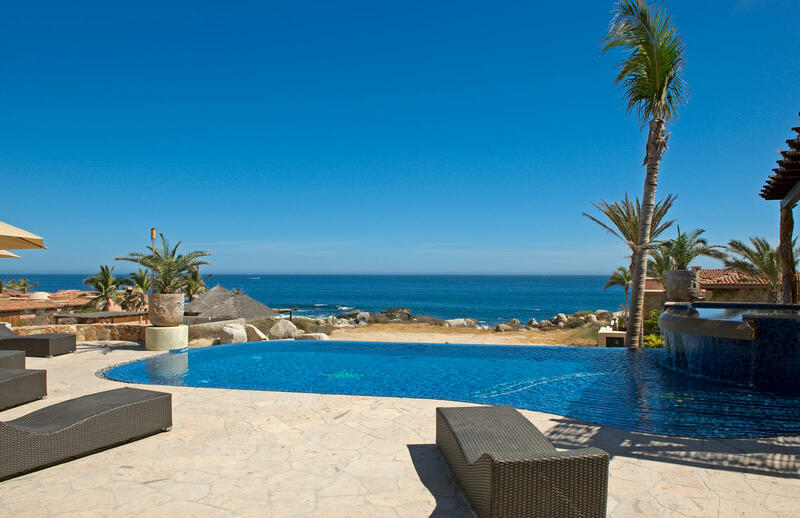 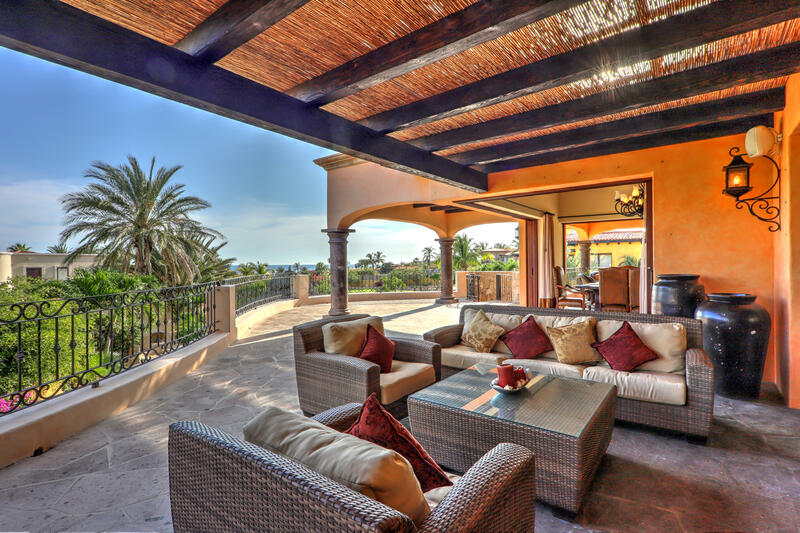 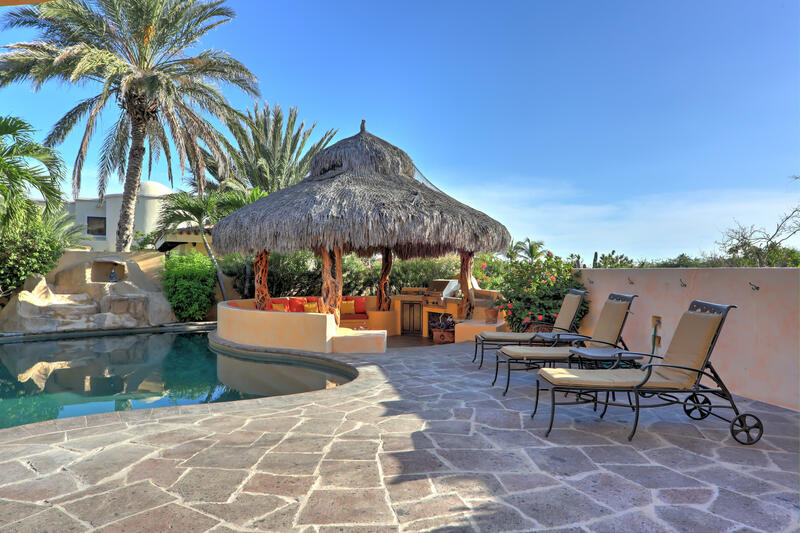 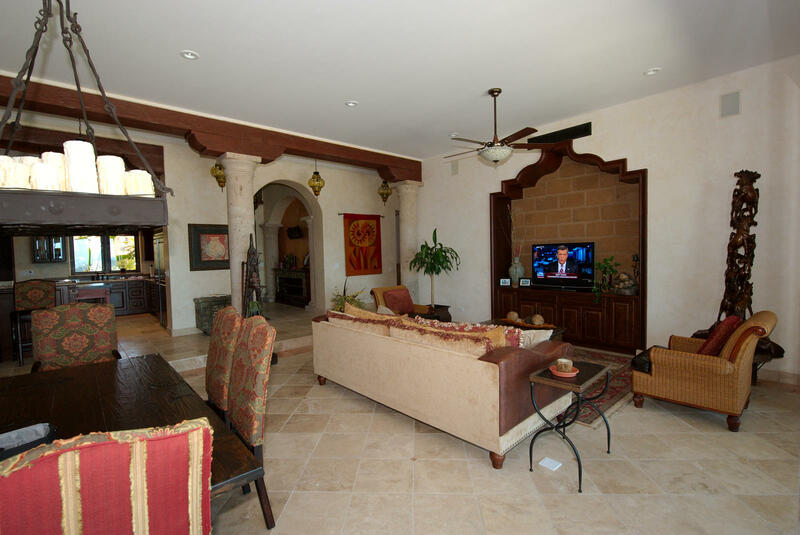 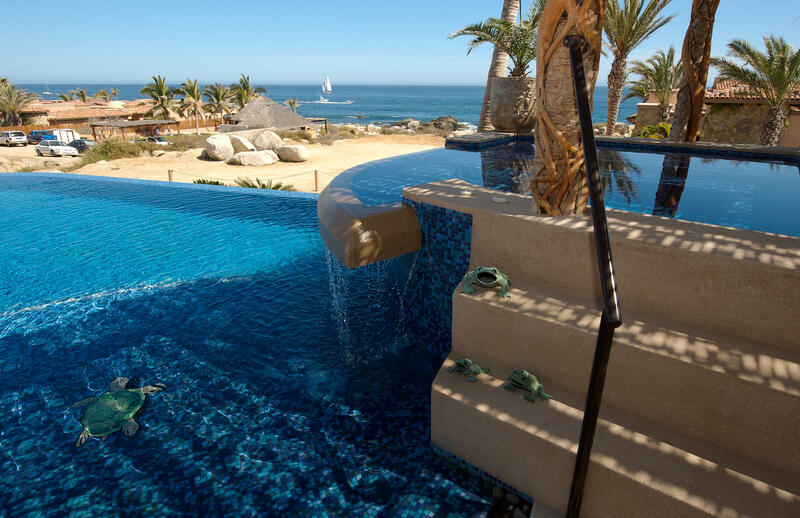 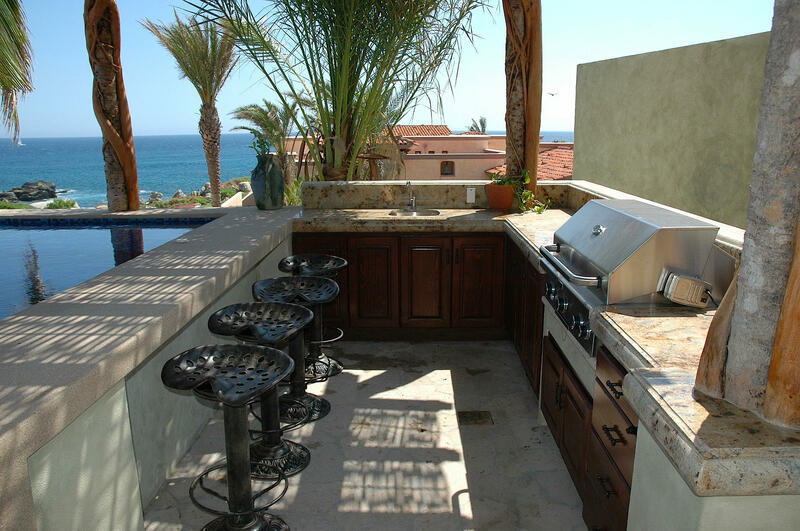 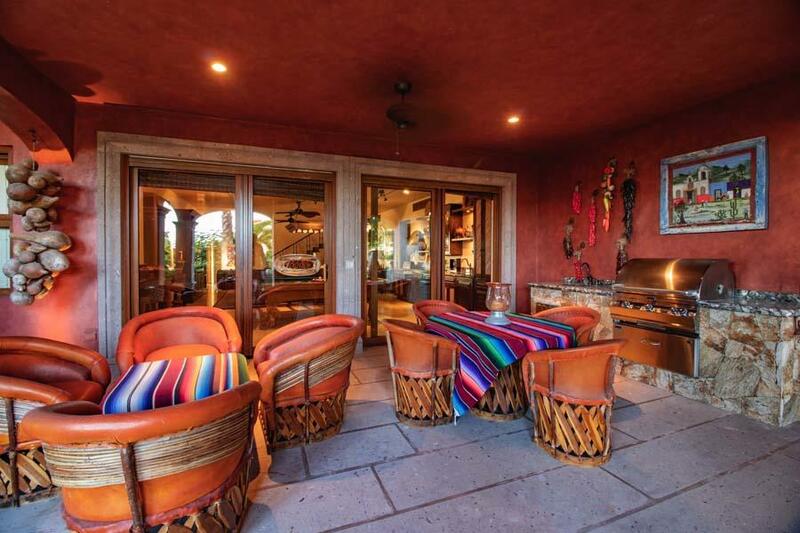 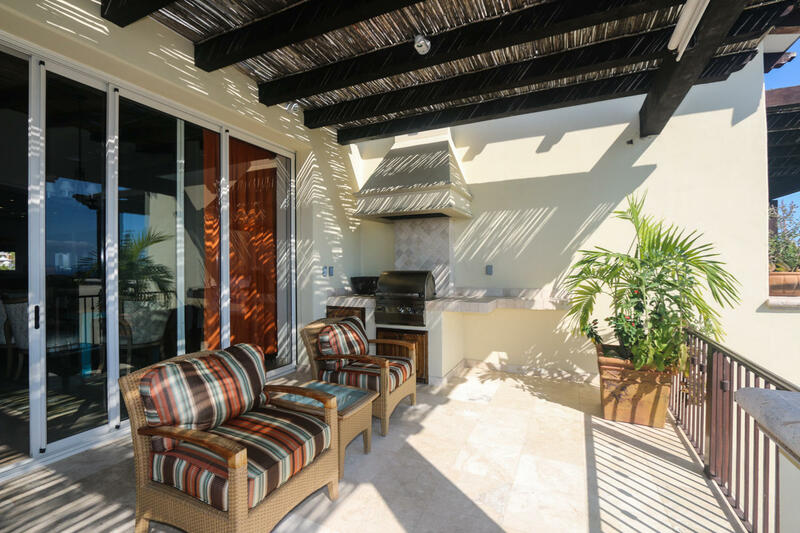 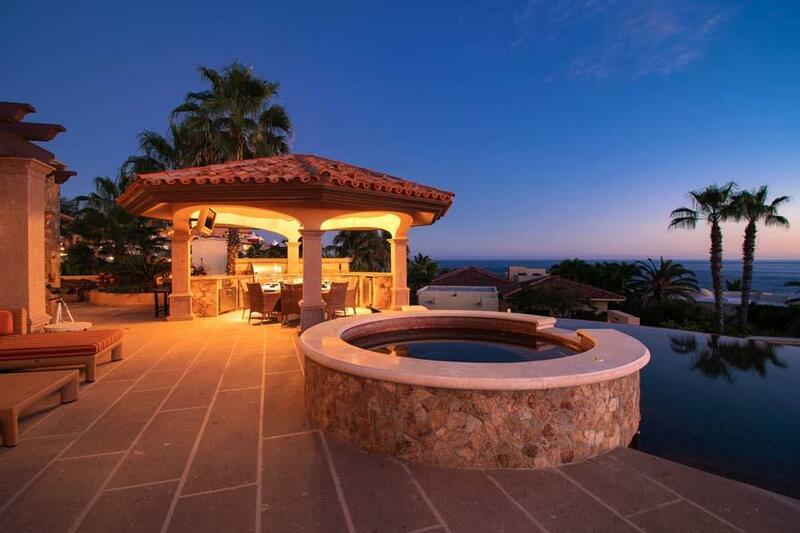 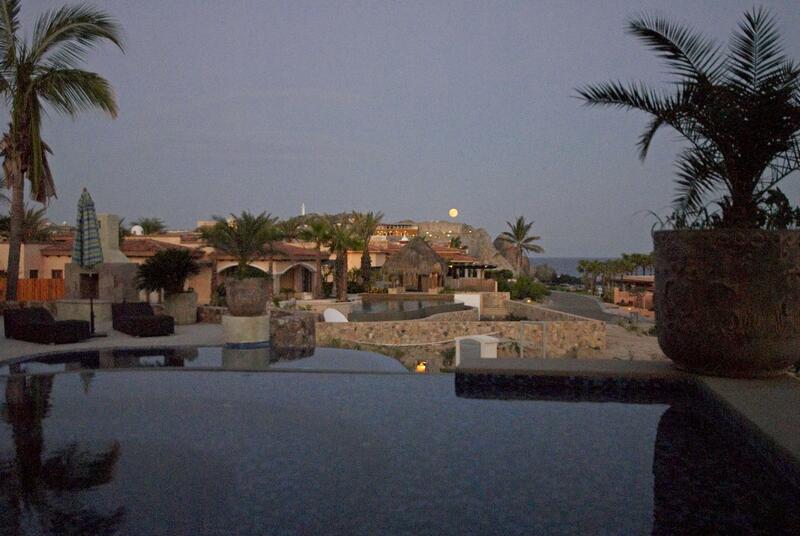 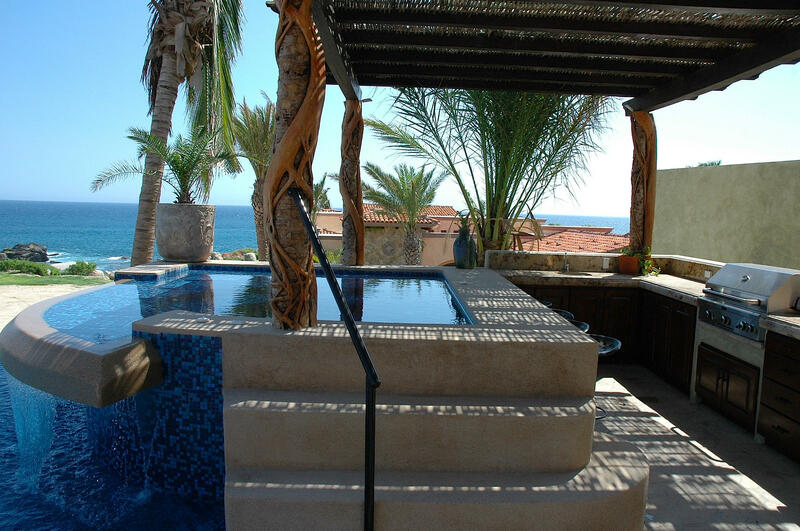 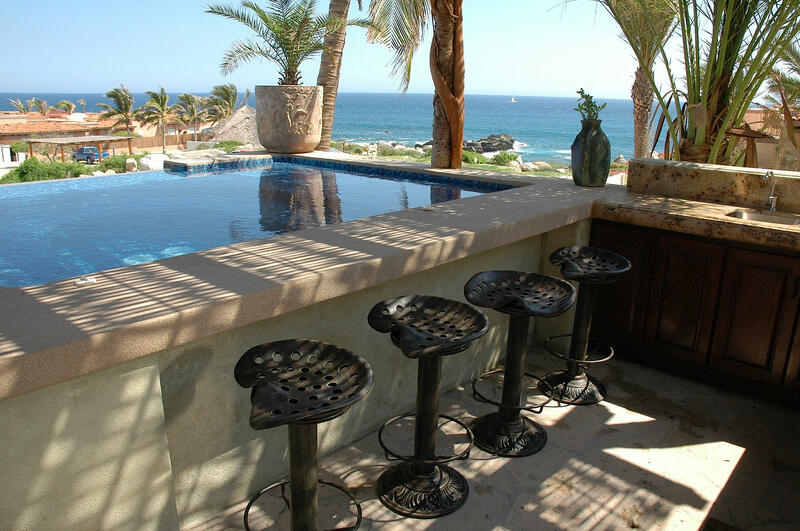 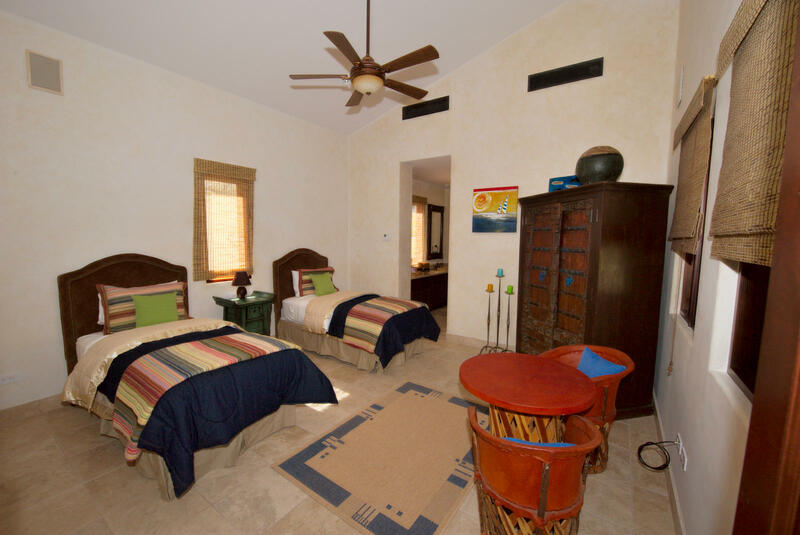 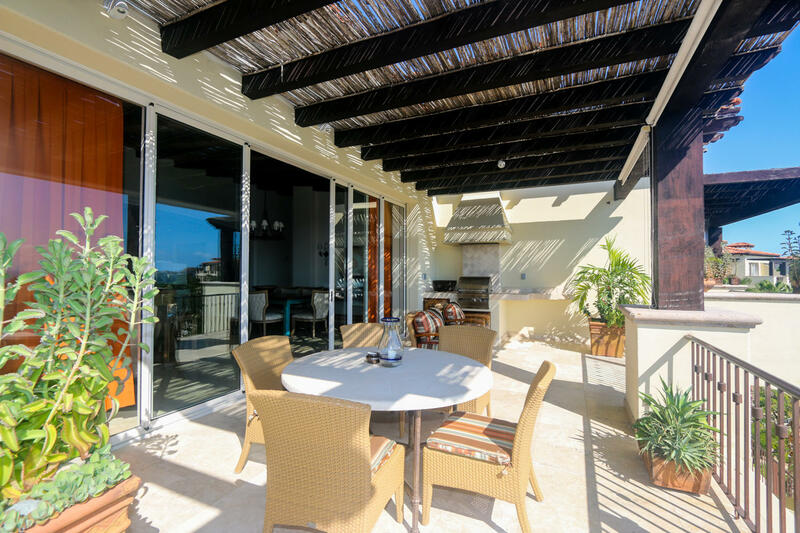 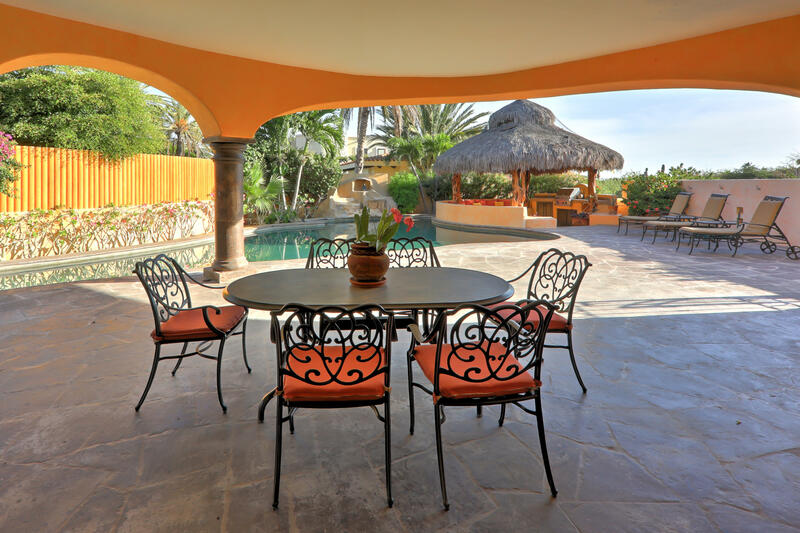 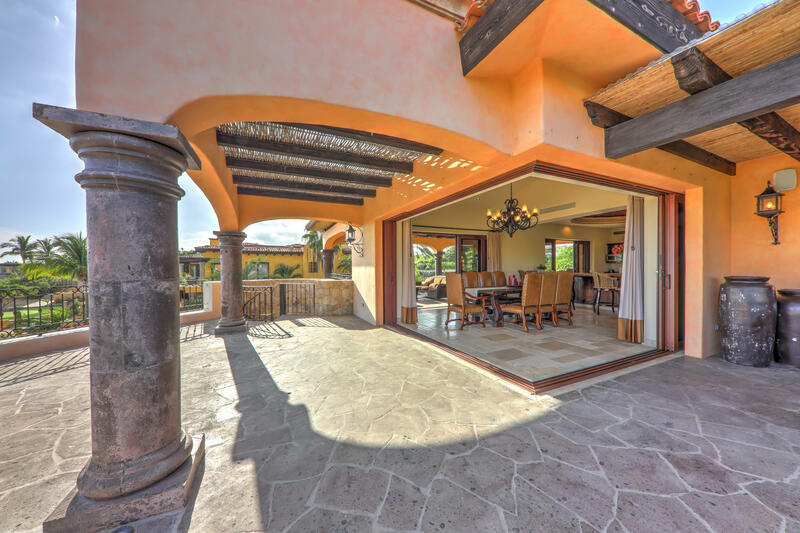 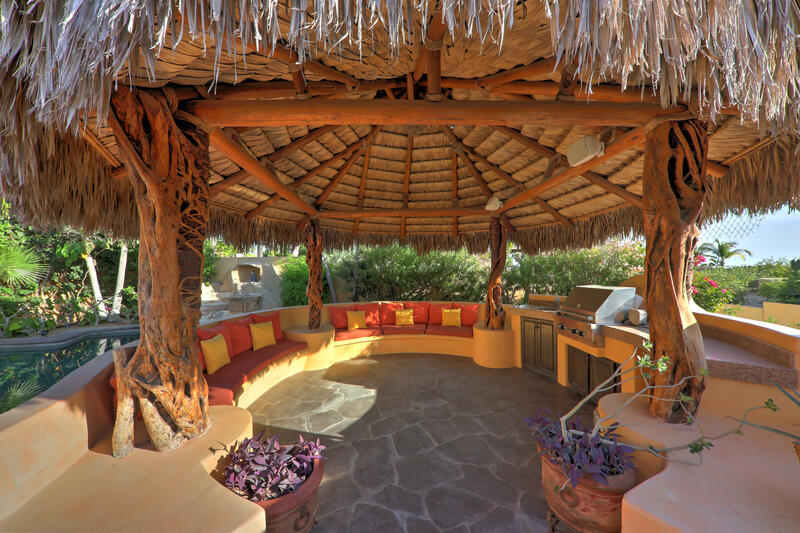 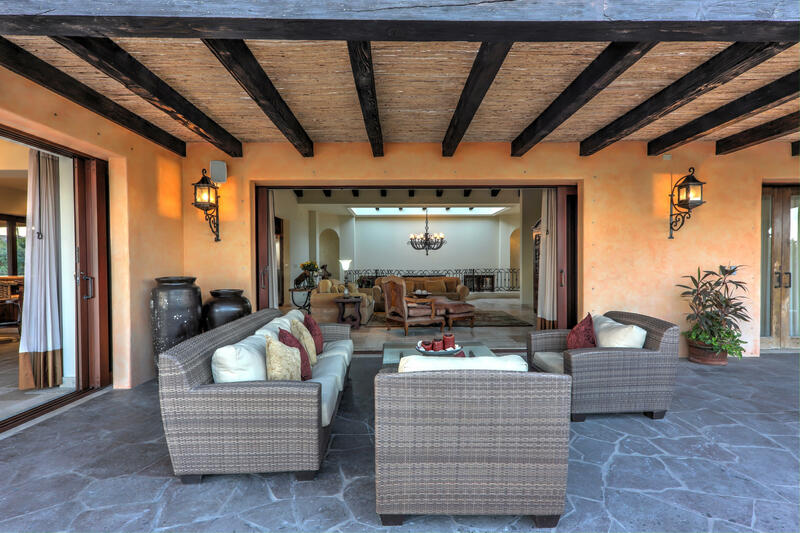 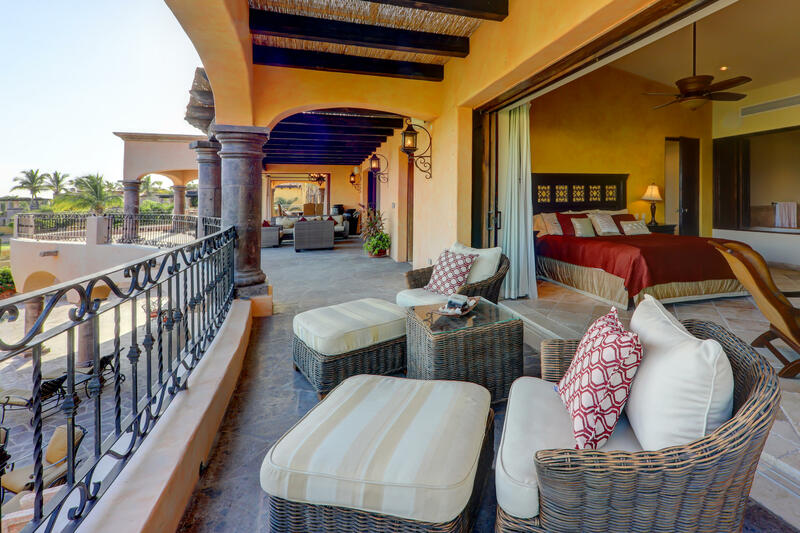 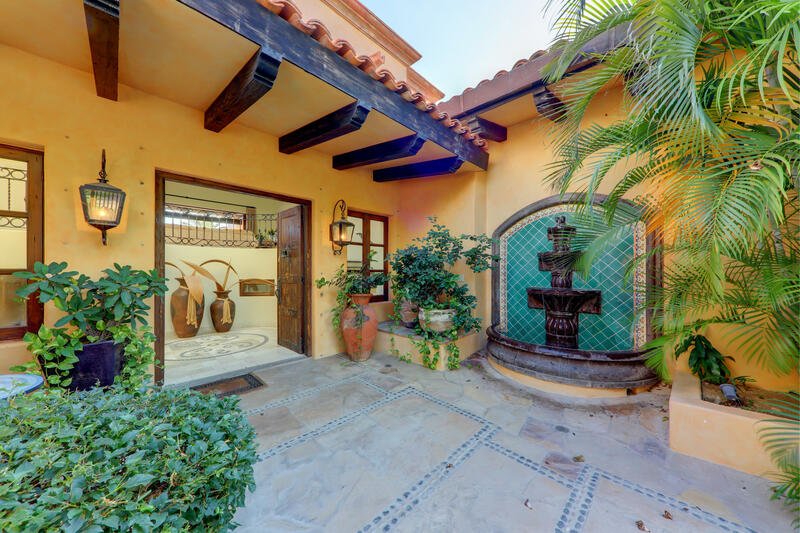 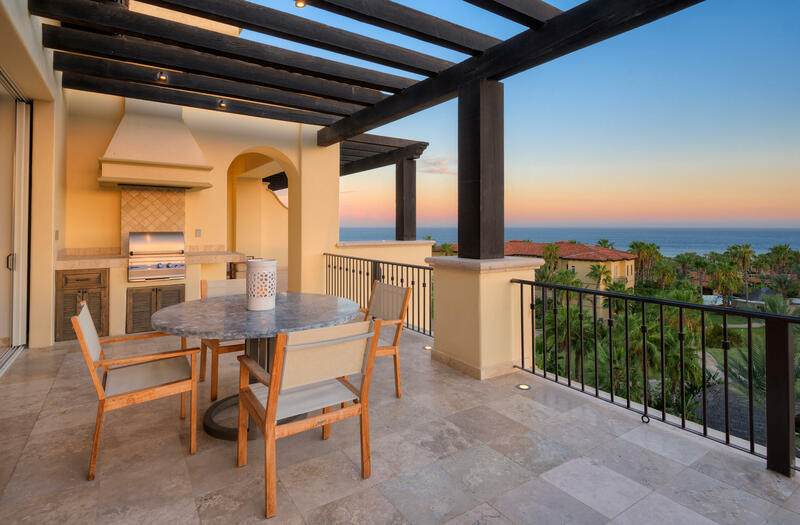 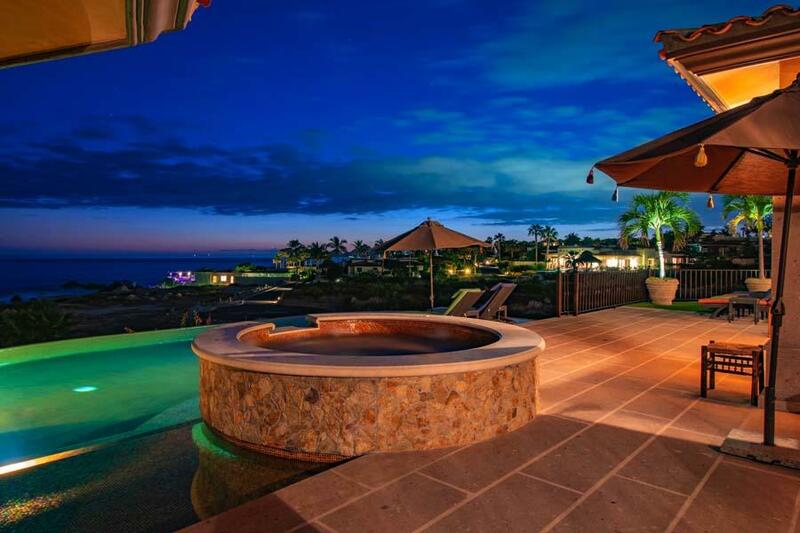 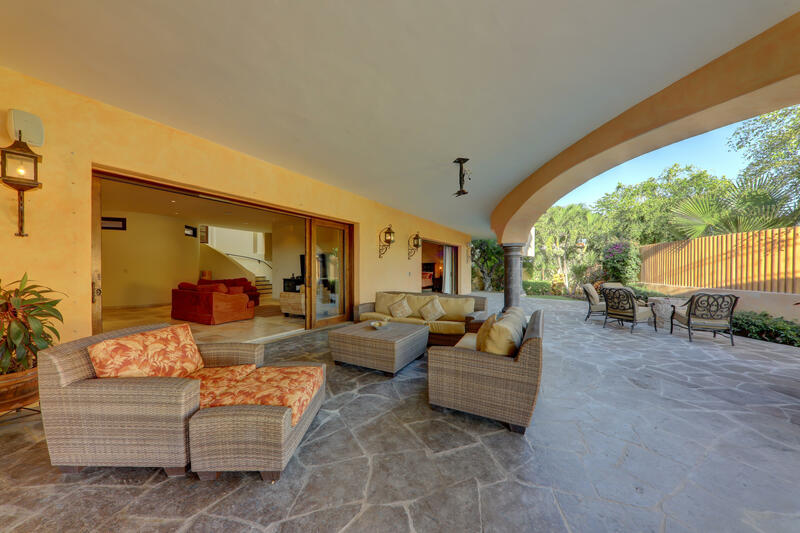 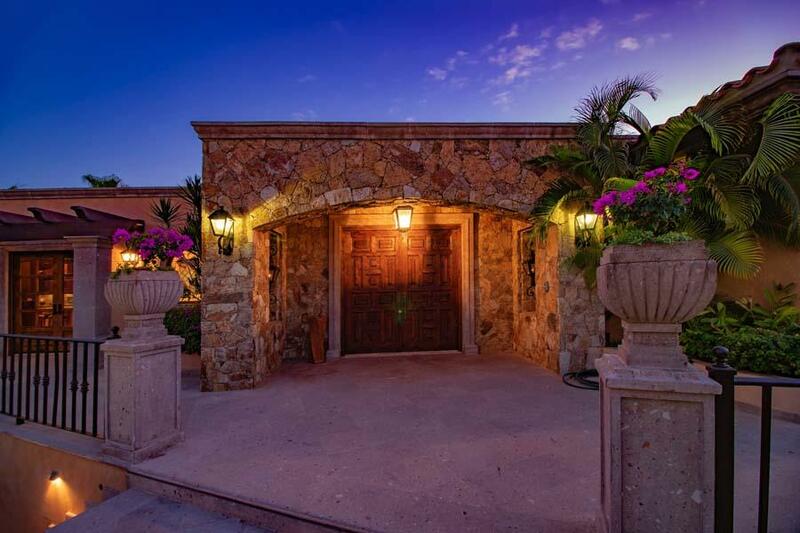 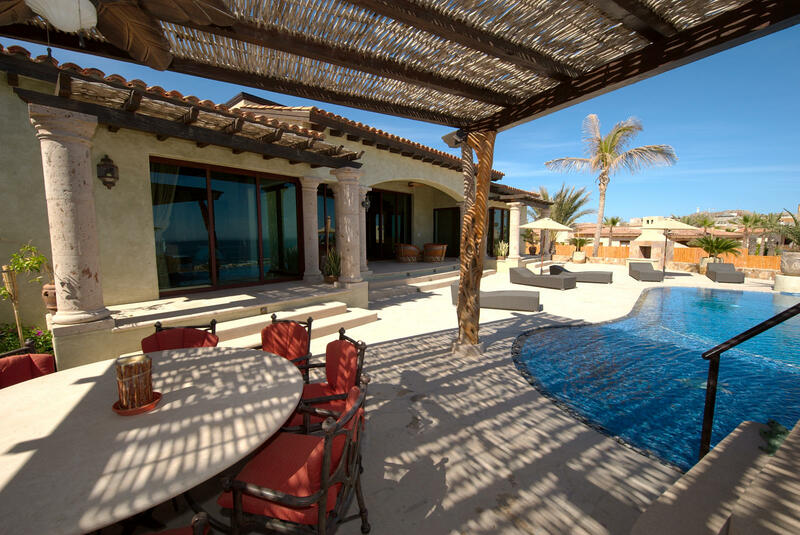 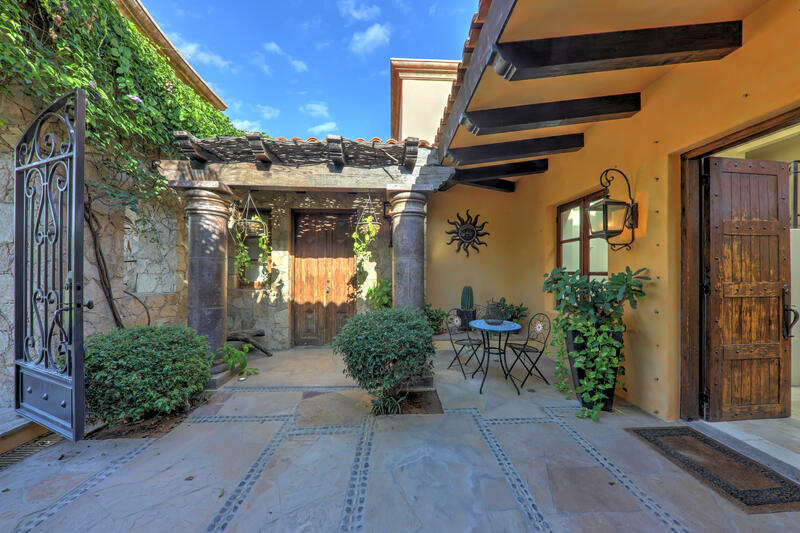 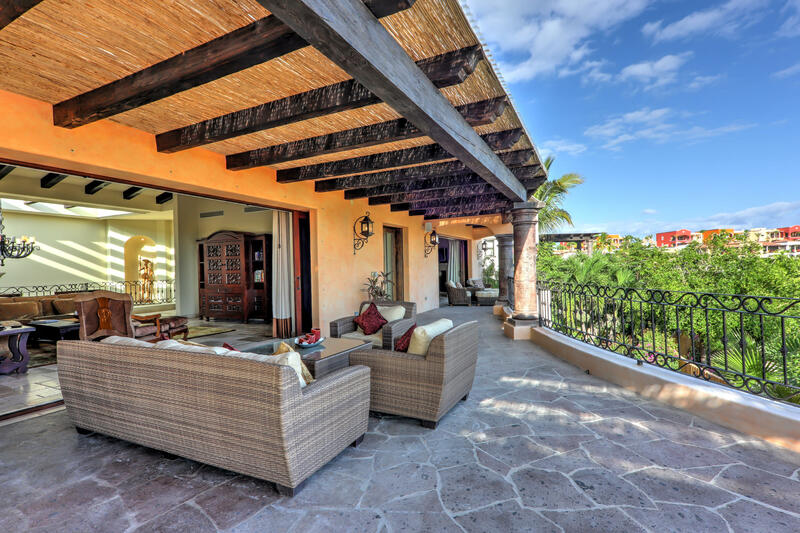 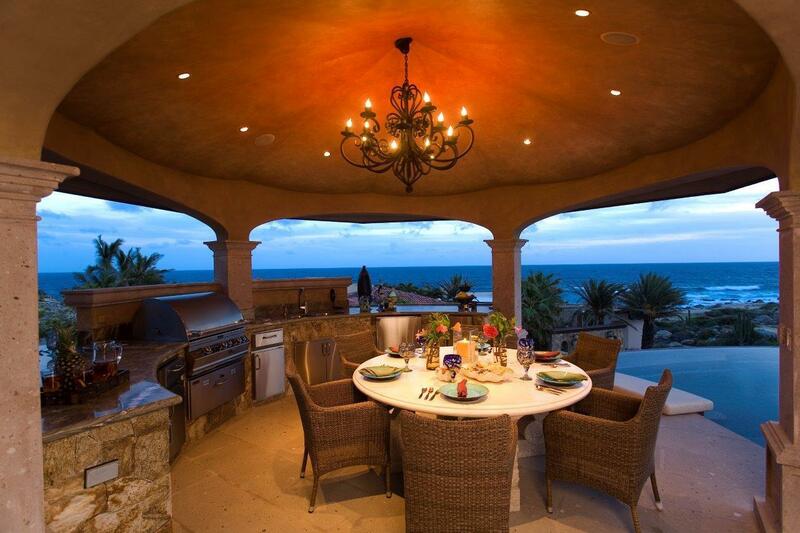 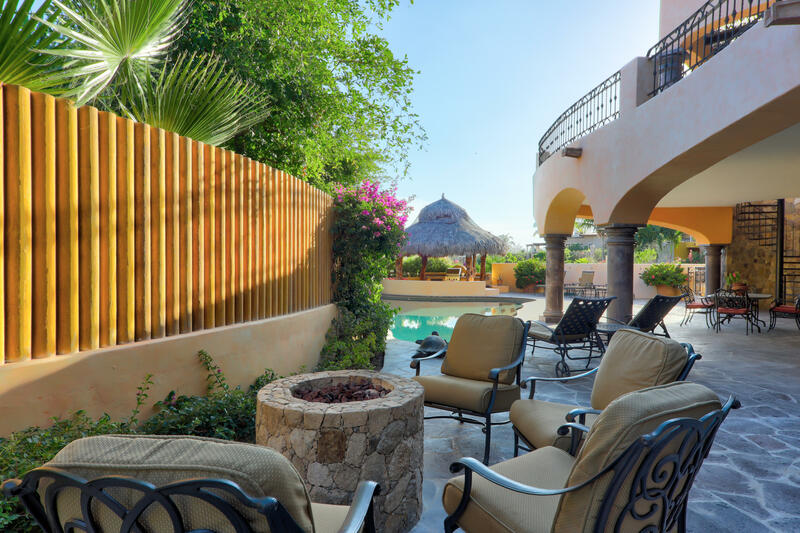 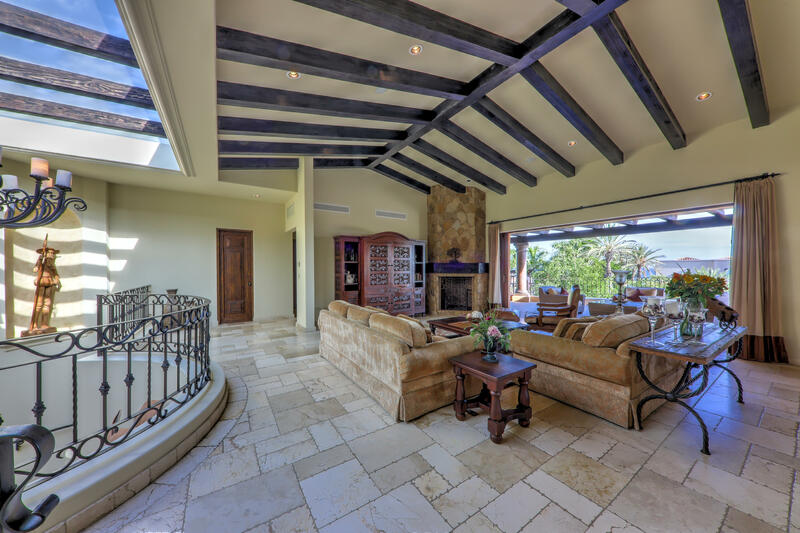 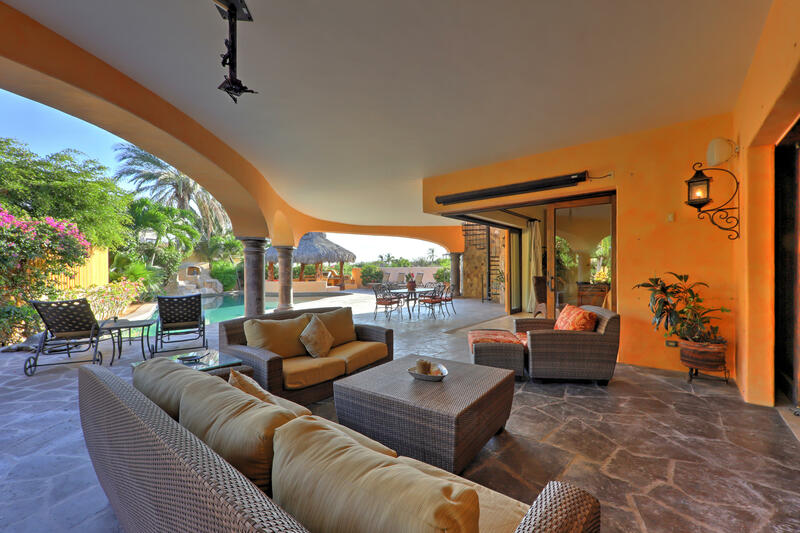 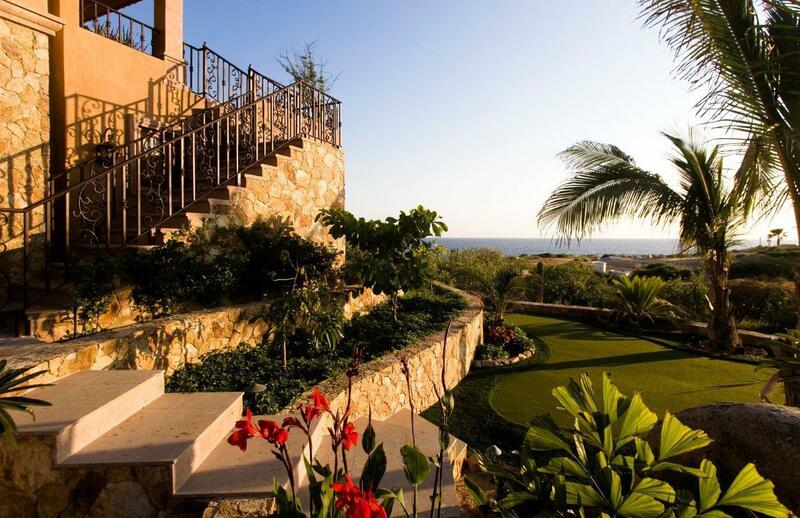 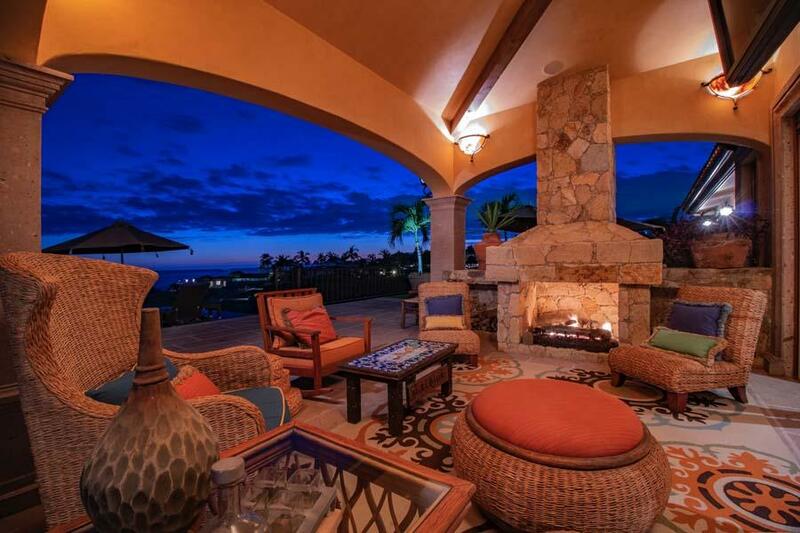 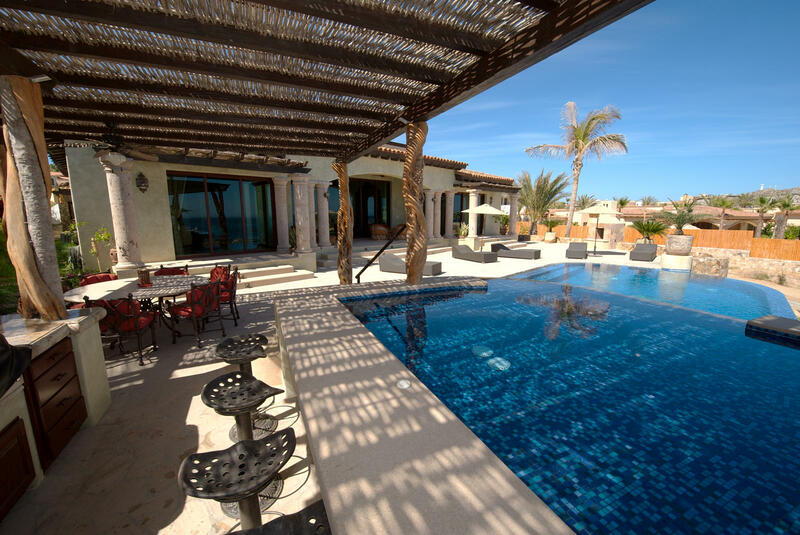 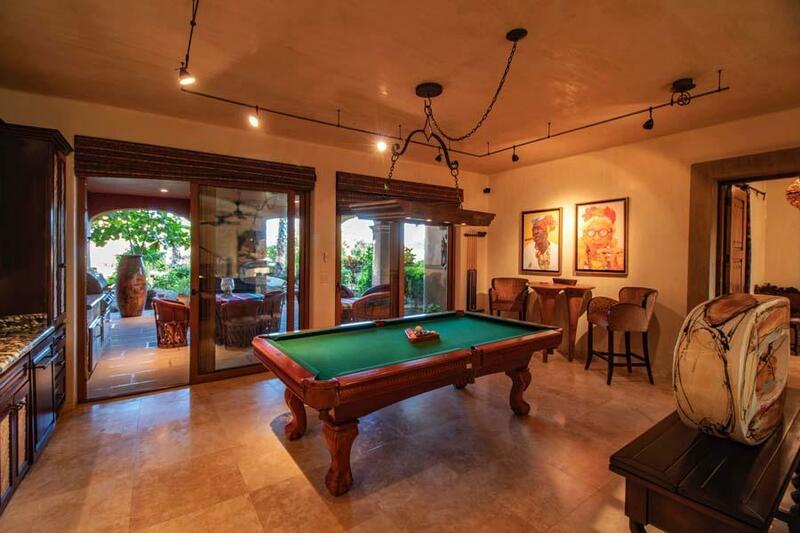 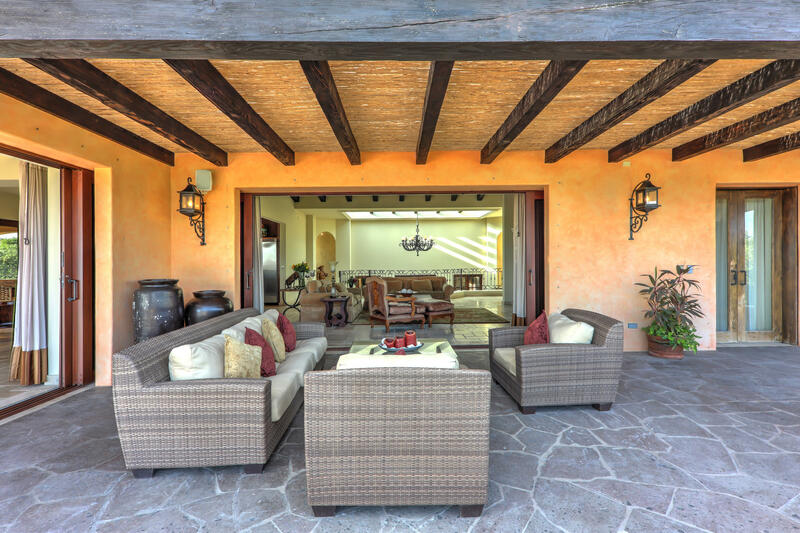 With a private yard, spacious covered terrace, built in BBQ and a private fire pit and whirlpool Jacuzzi, it is perfect for entertaining or enjoying the quiet sunset evenings in Los Cabos. 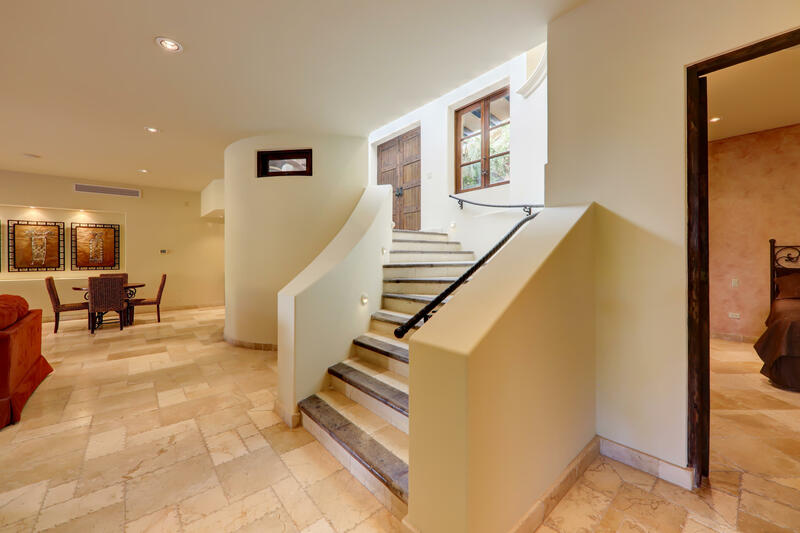 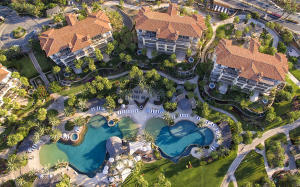 Enjoy the amenities of the Private Residences such as award winning spa, four pools , fitness facility, owners lounge, tykes' room, kids playground, tennis courts, putting green, five restaurants, dedicated underground parking with storage, and 24 hour security just to name a few. 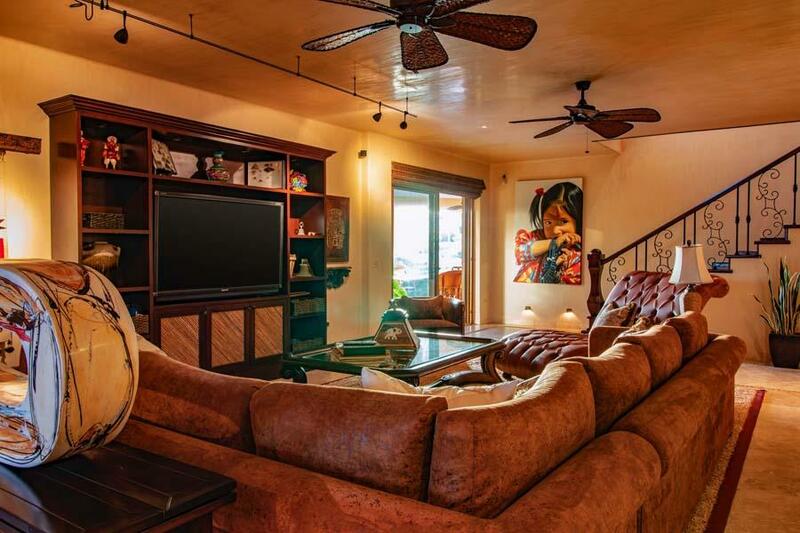 Fully furnished- or not- price reduced if you choose to furnish yourself. 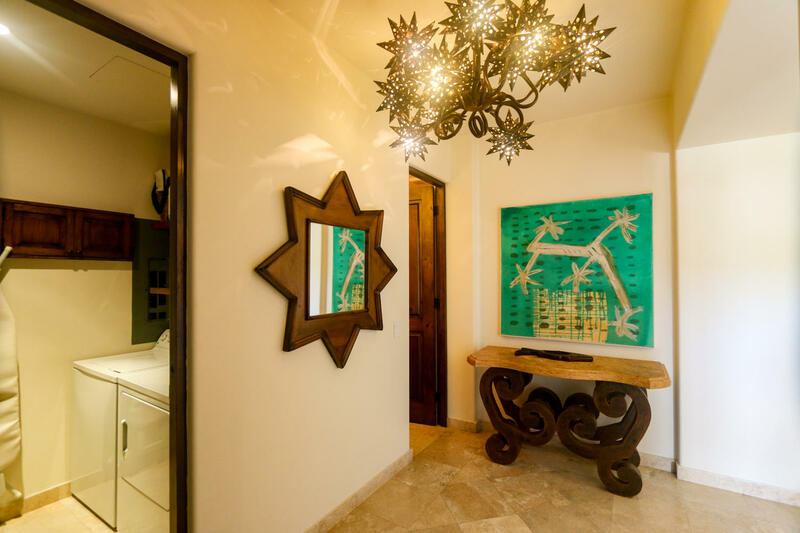 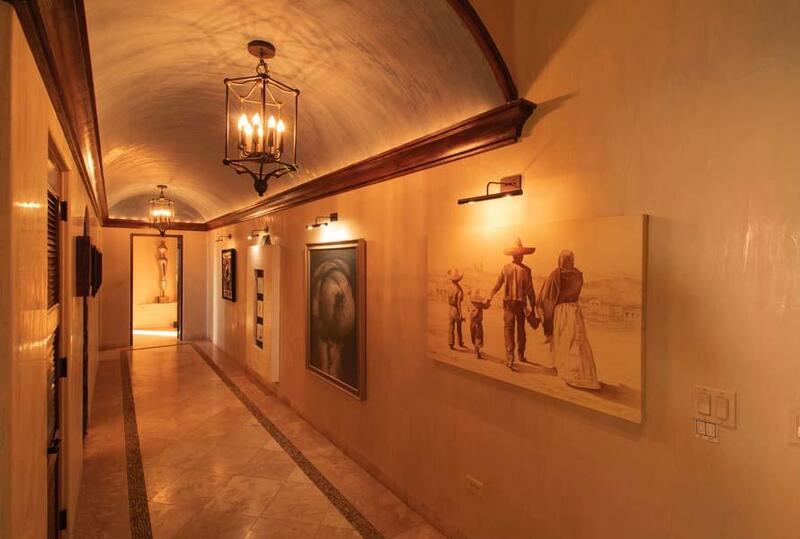 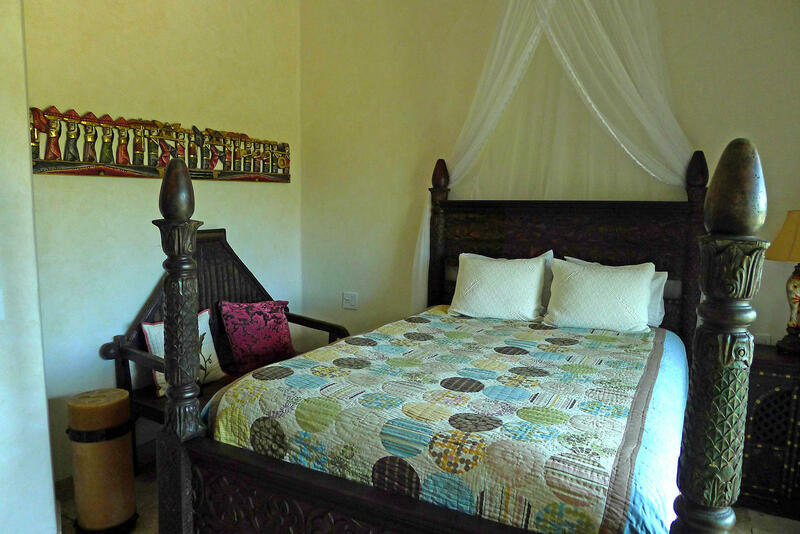 Description: Esperanza's Private Residences is proud to offer this spectacular 3rd floor residence. 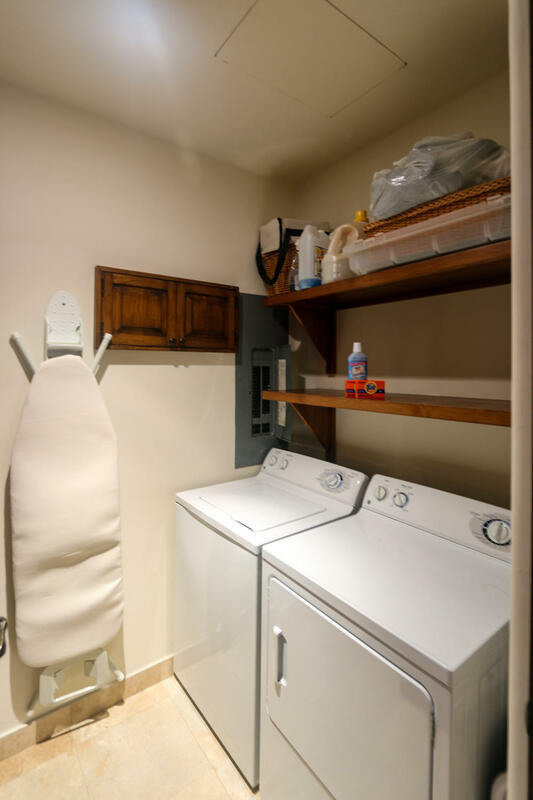 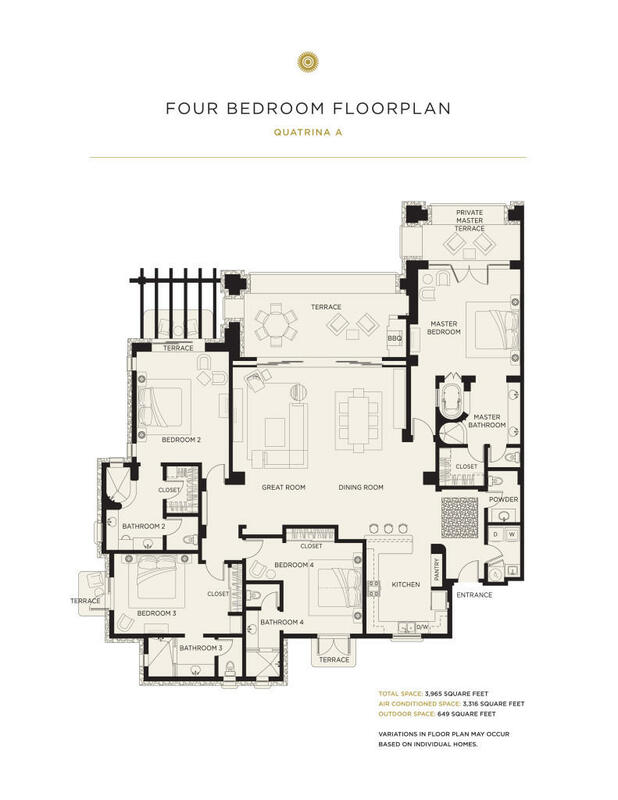 This beautiful 3 bedroom residence offers a spacious floor plan that lives like a home, and features lofty 12' beamed ceilings and comes fully equipped with GE Profile appliances. 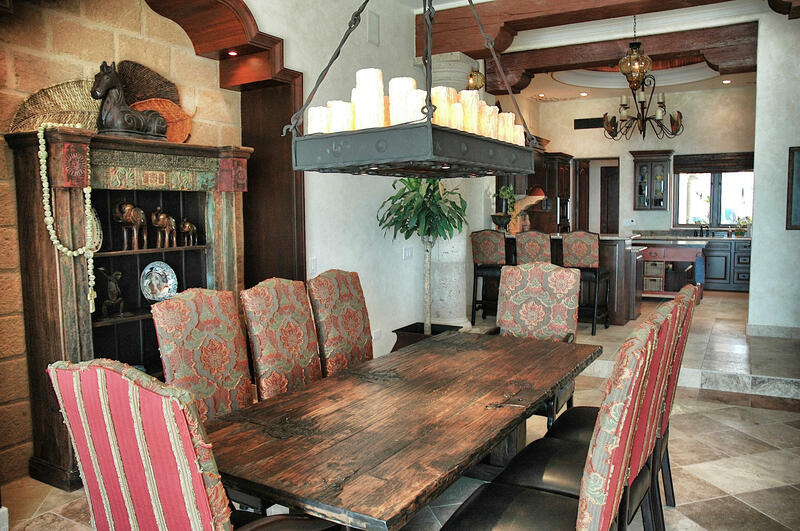 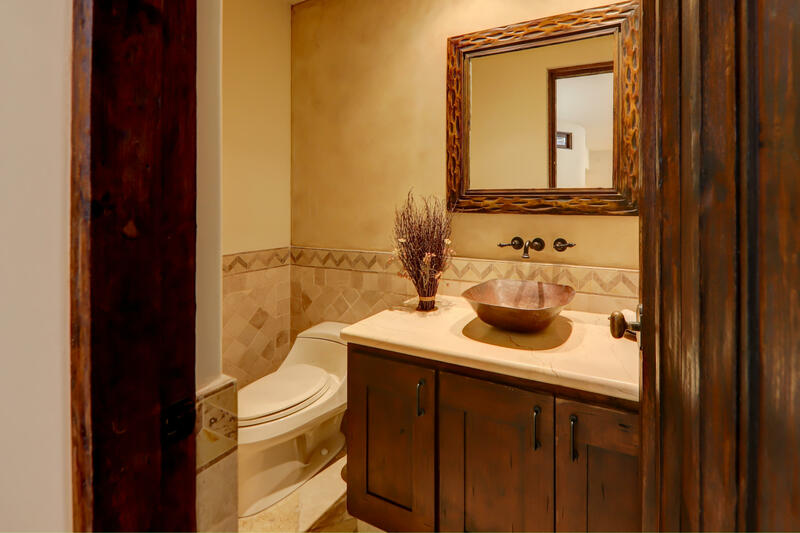 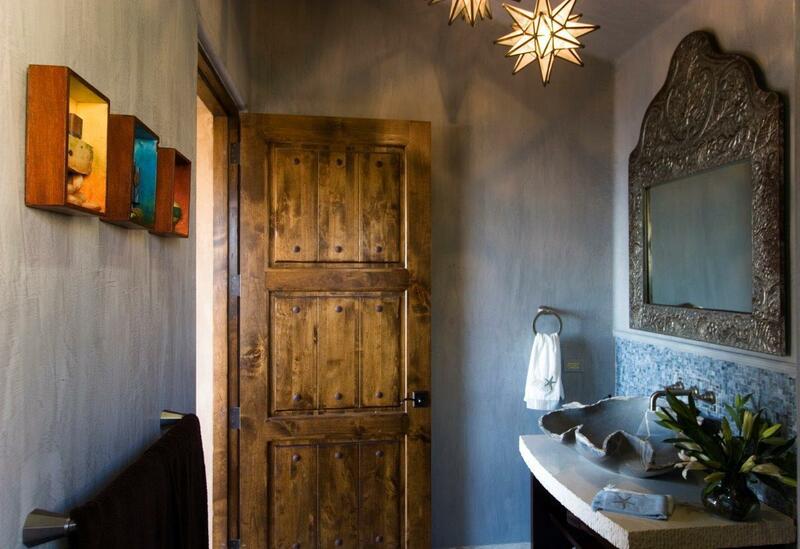 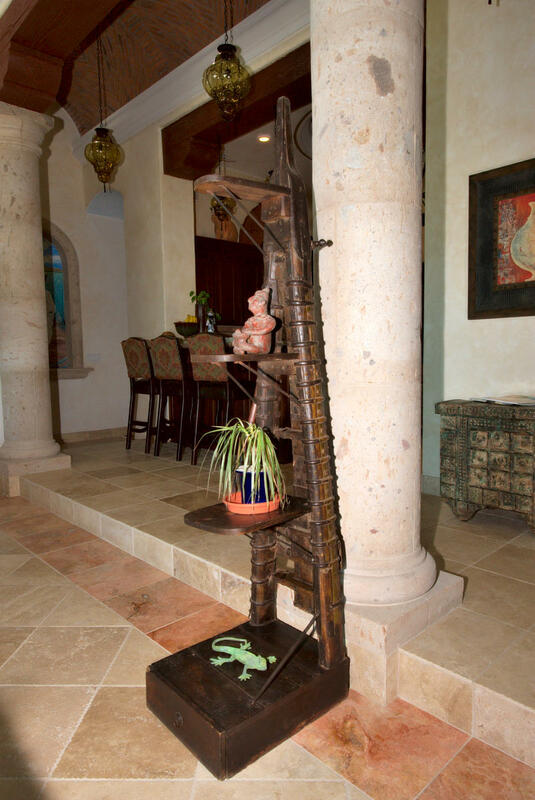 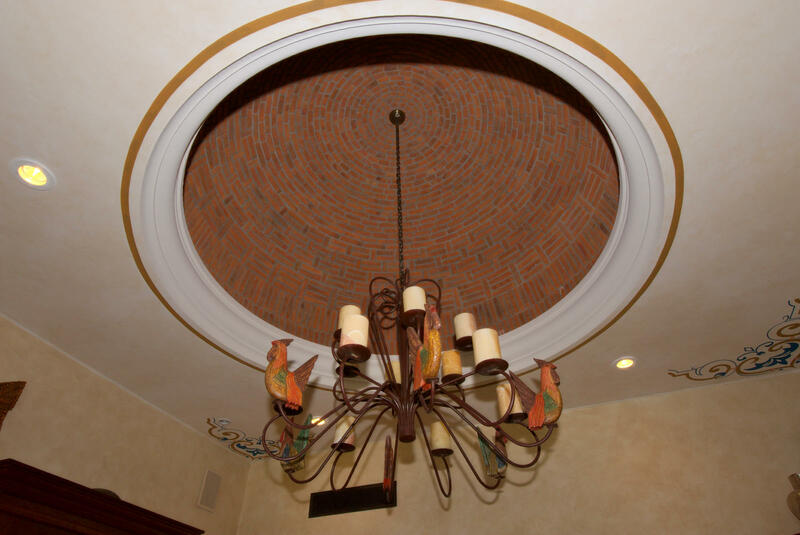 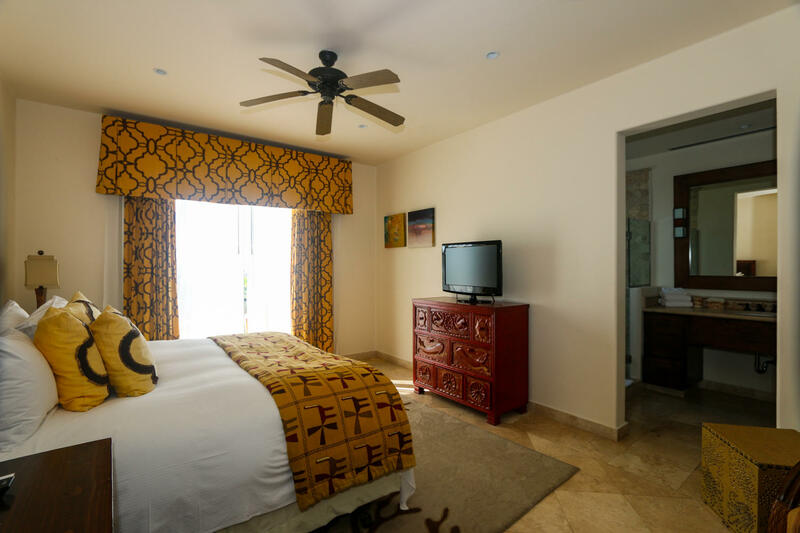 Enjoy high quality interior finishes and furnishings that are carefully selected to amplify the Esperanza experience and satisfy Auberge's high standards for comfort and quality. 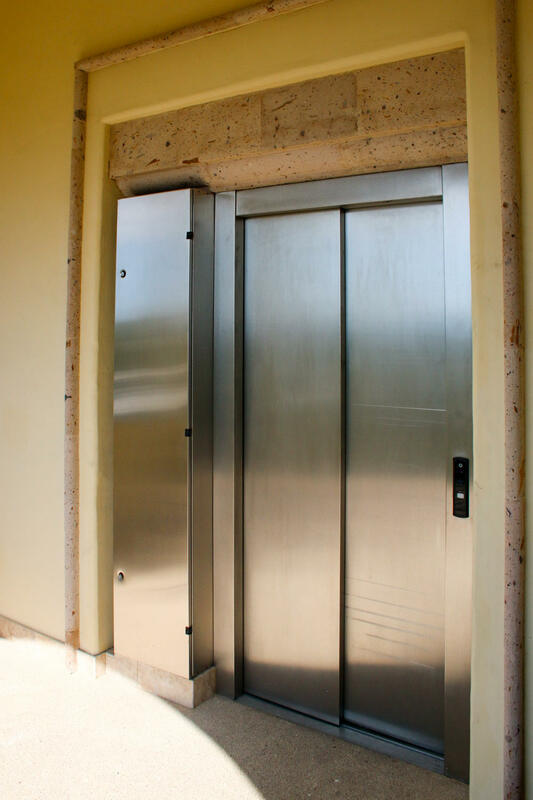 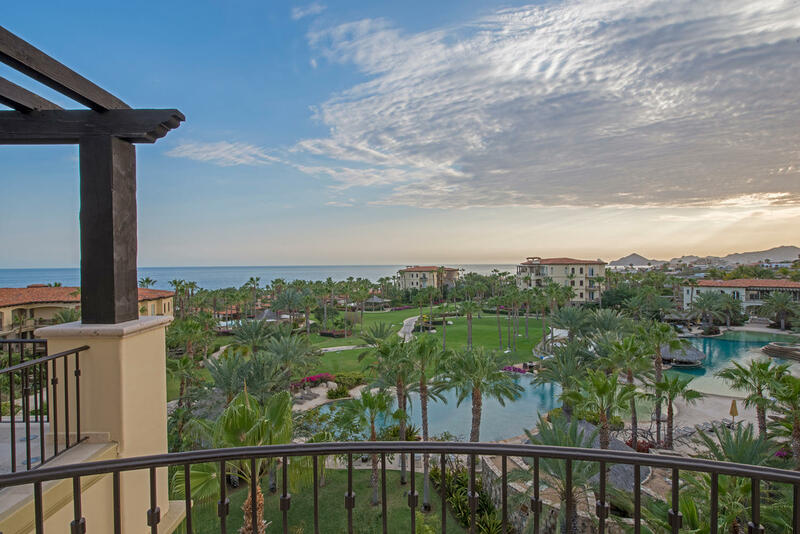 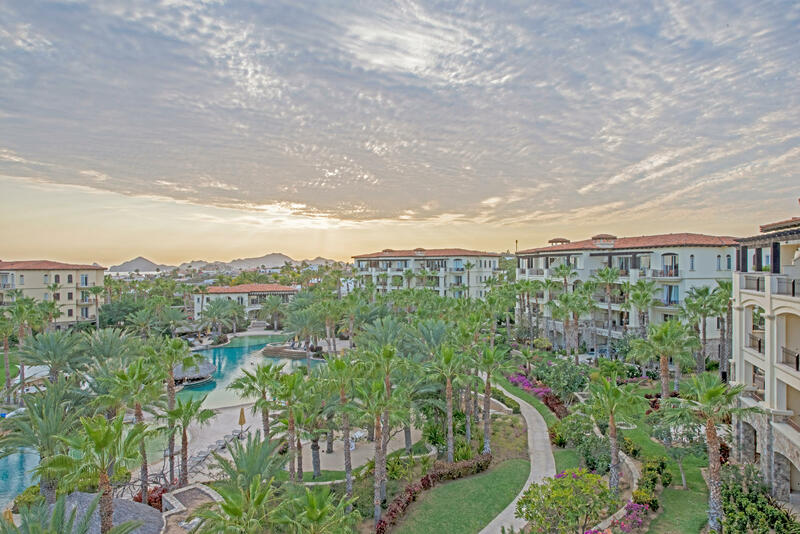 Rest assured knowing that completely everything is taken care of by Auberge's team of experts, this condo is 100% turn key and includes all of the amenities, services and privileges that Esperanza is renowned for.